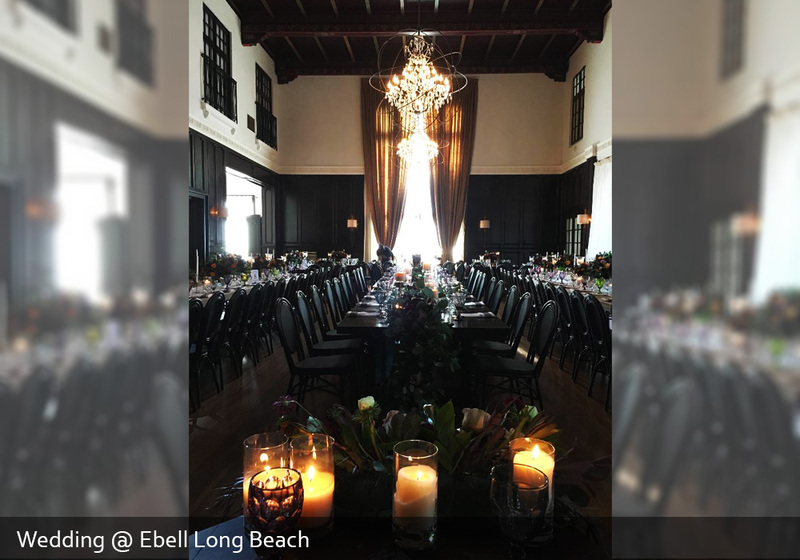 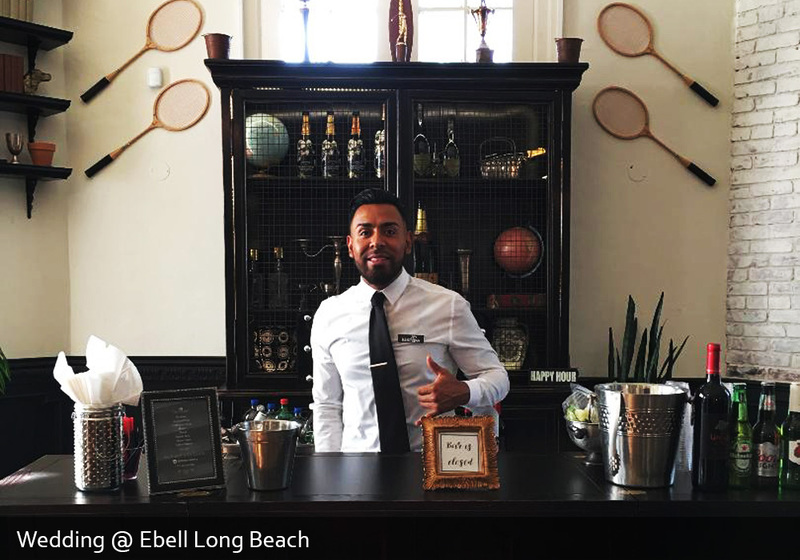 With its decades-long legacy, the venue has been officially designated as historic venue in Long Beach. 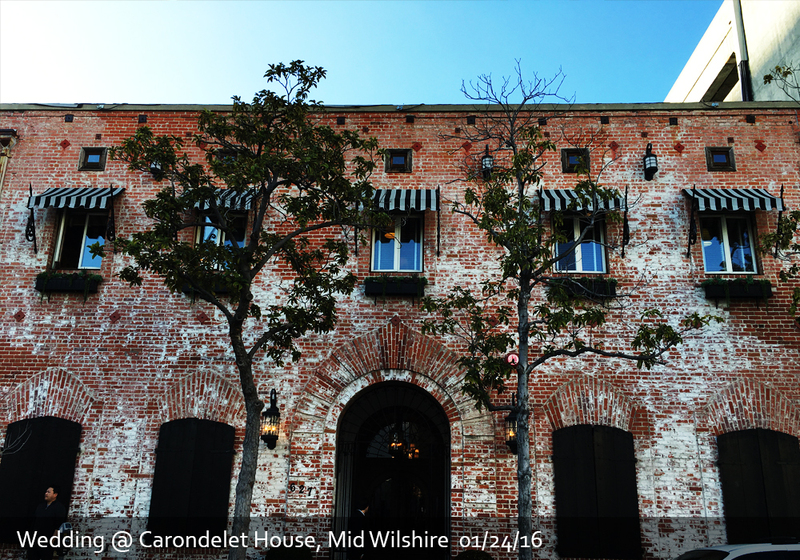 It has distinctive architectural features, and it is prime example of the Spanish-Revival design favored during the 1920's. 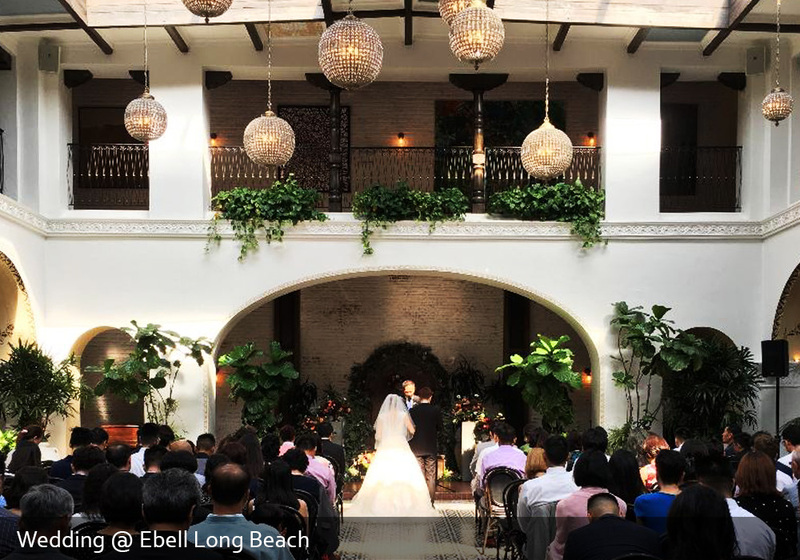 Featuring the characteristic red-tile roof and a soaring intricately sculpted portico makes a dramatic statement and beautiful backdrop for photographs. 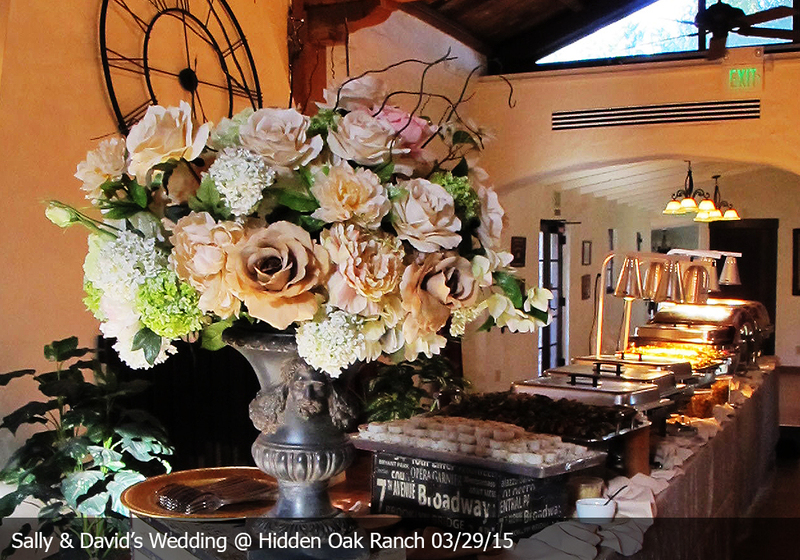 The Chapel is tastefully designed with stone and polished wood, is nestled alongside our private lake. 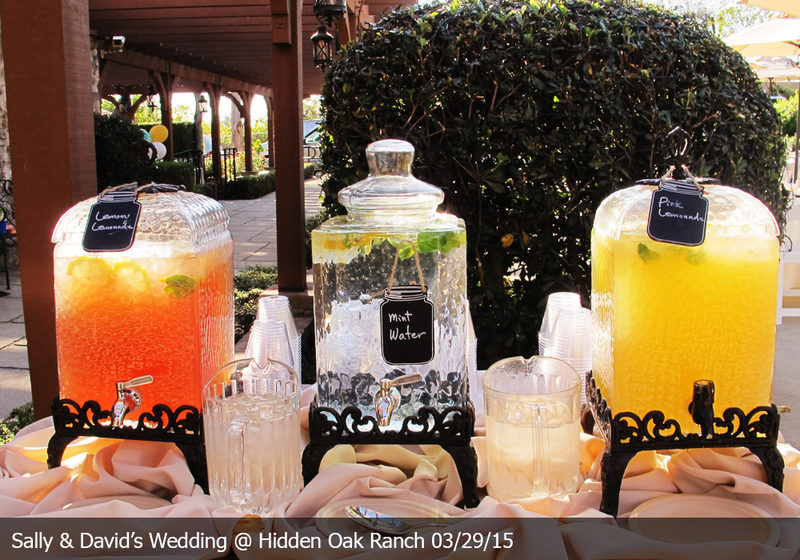 Lush vegetation, fountains and rose garden create a warm and inviting feel for arriving guests. 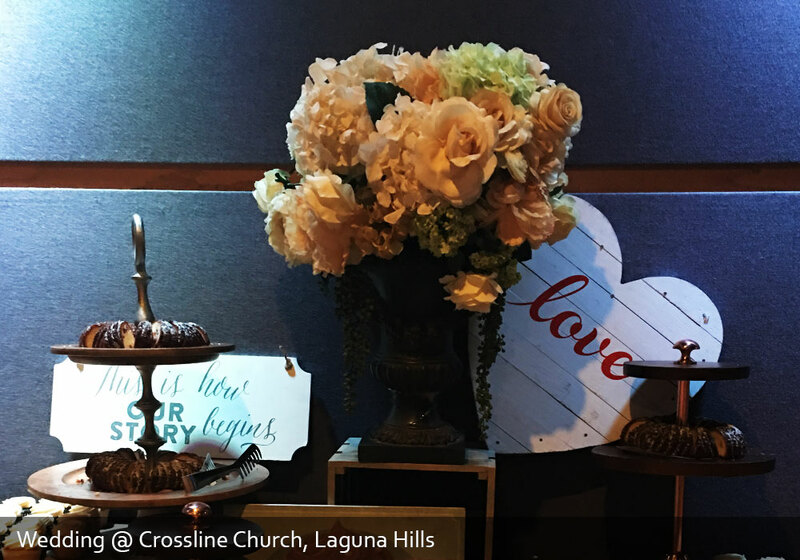 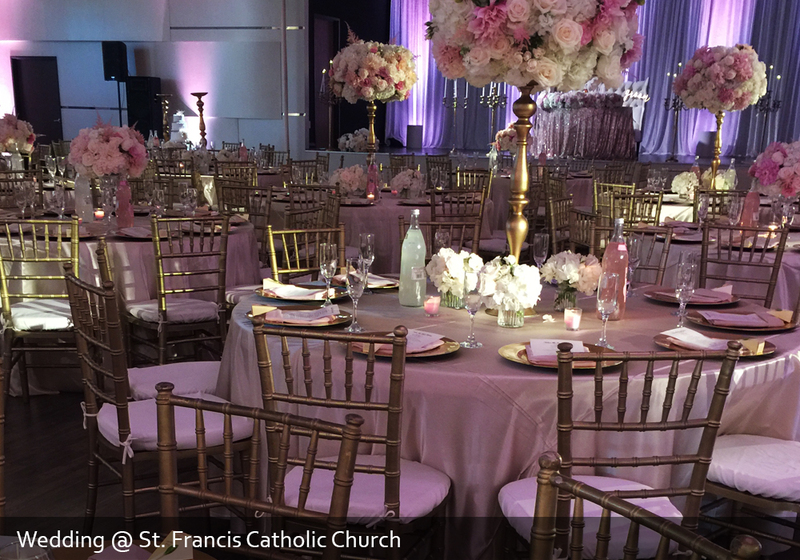 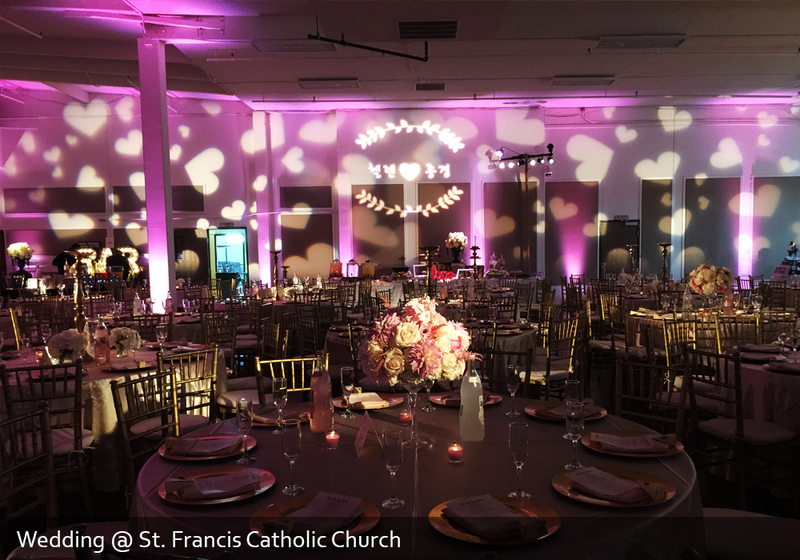 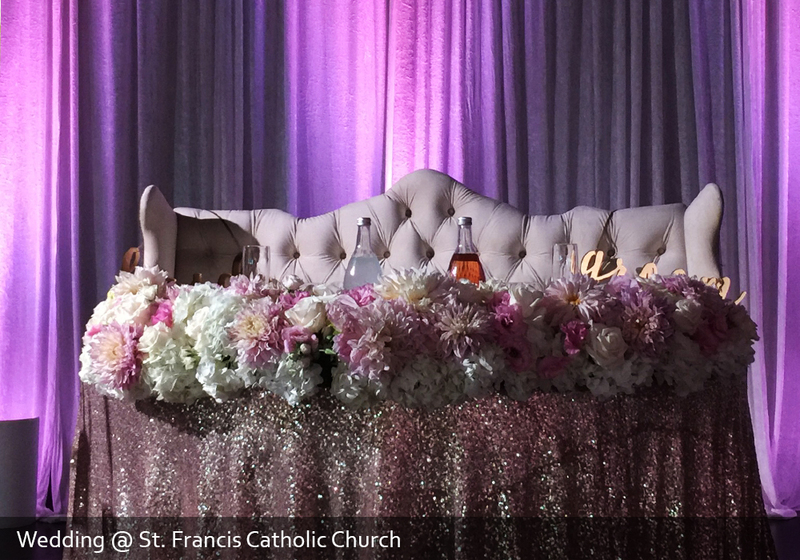 In the Worship Center, ideal for the modern wedding, artful custom lighting coupled with elegant design and dramatic aisle present an unforgettable setting for the most special day. 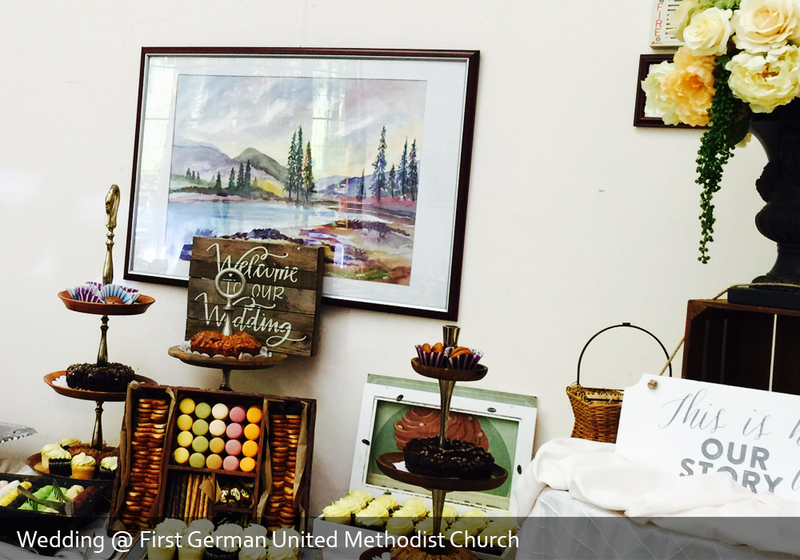 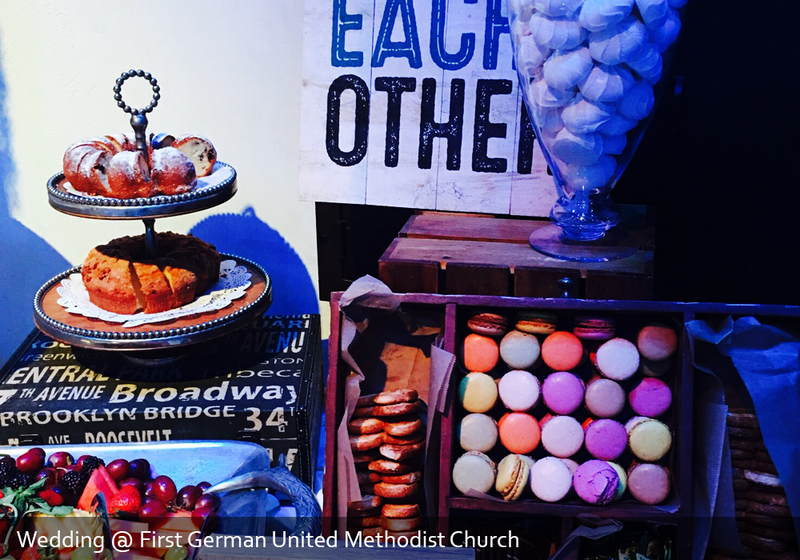 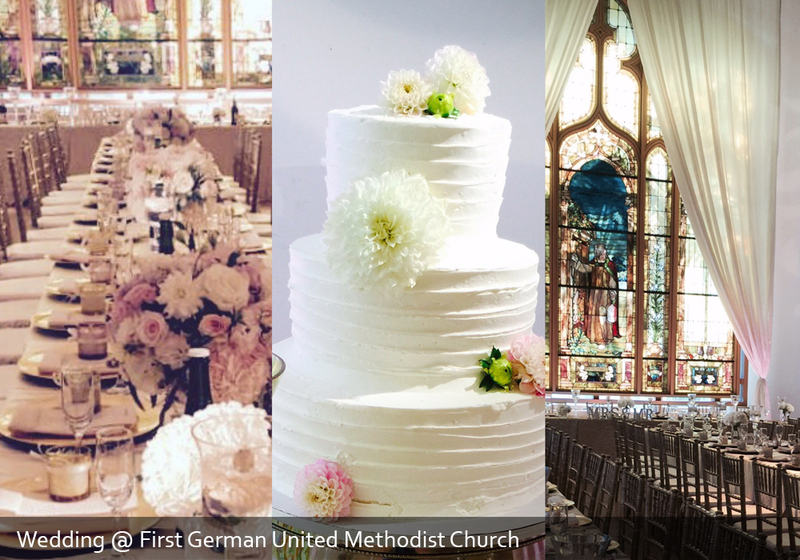 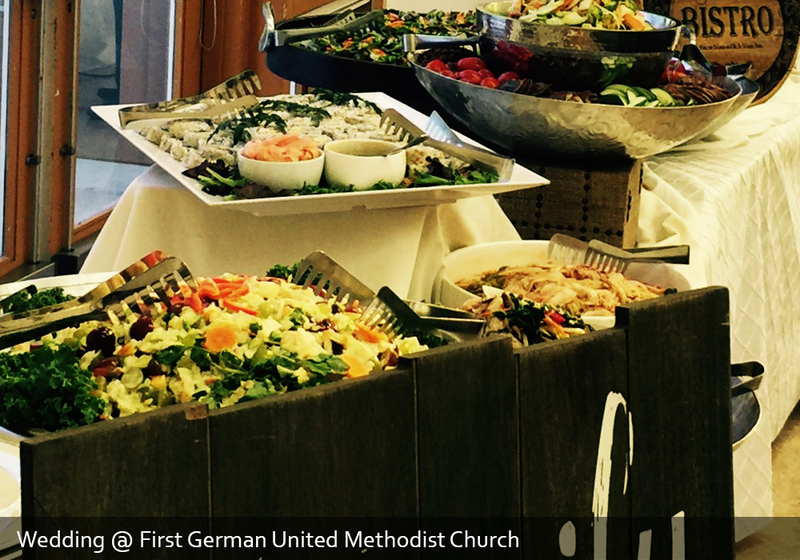 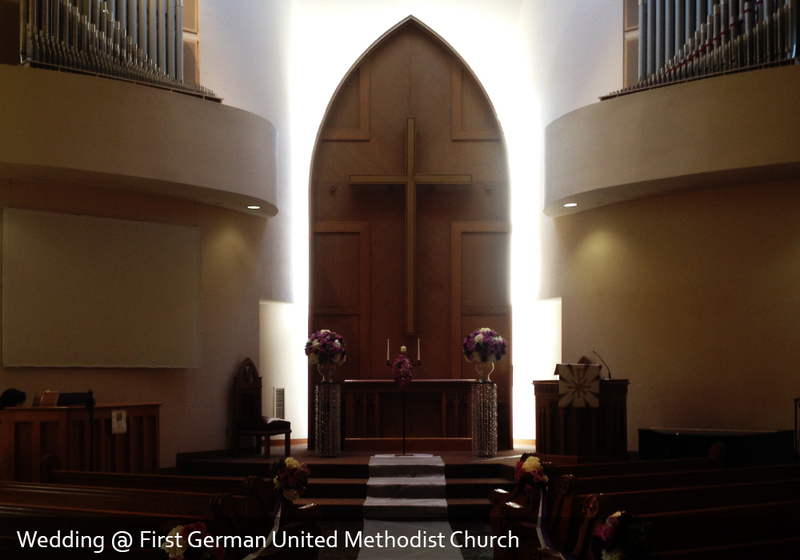 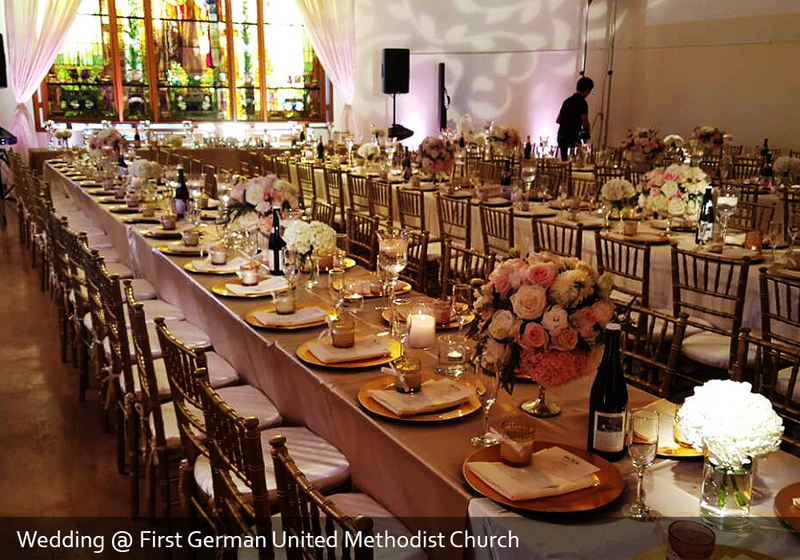 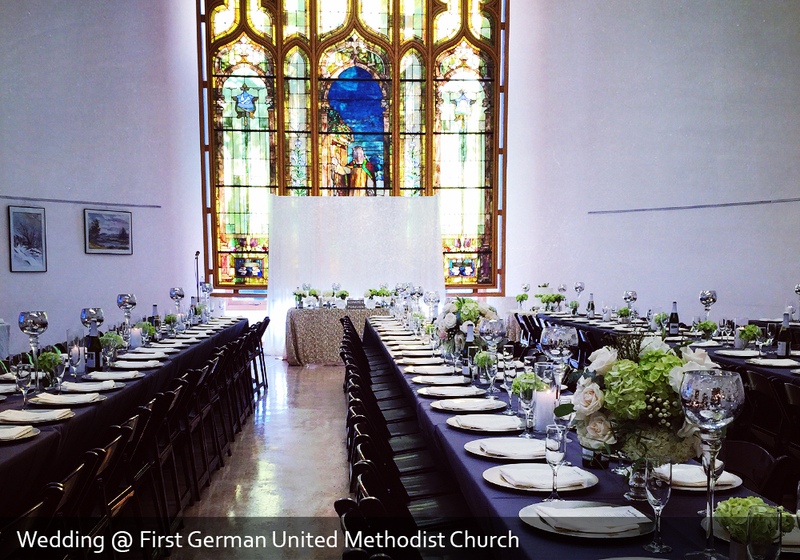 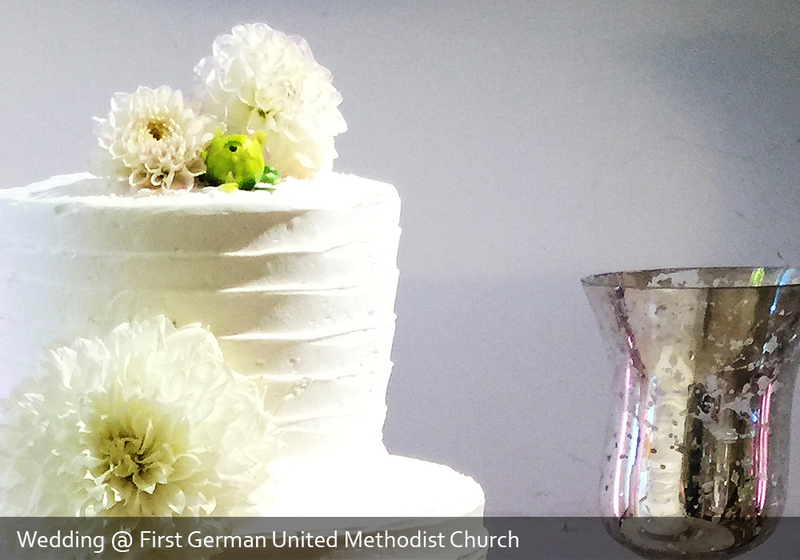 It was marvelous experience working at First German United Methodis Church in the City of Glendale. 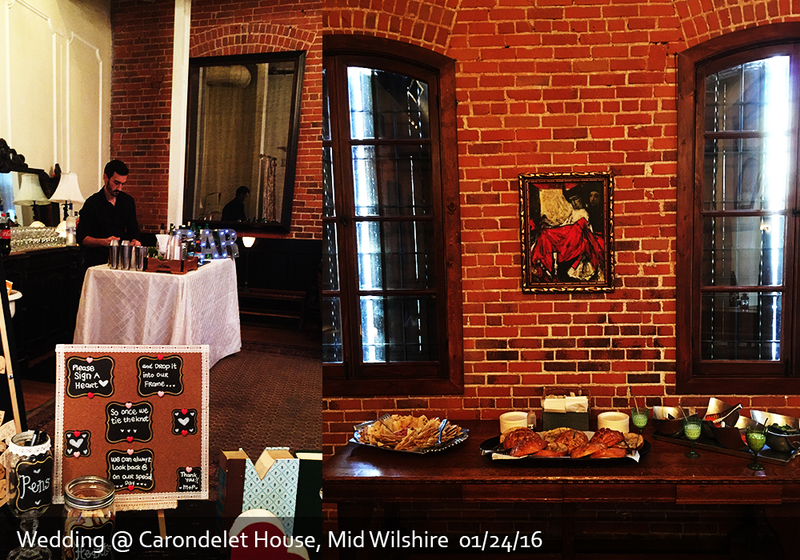 It is lovely venue with genuine, heartfelt warmth. 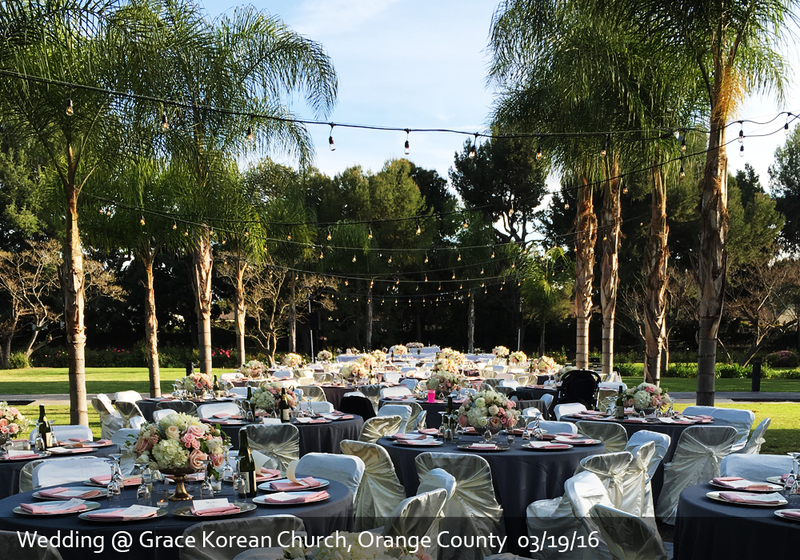 It is a beautiful and memorable setting for a wedding. 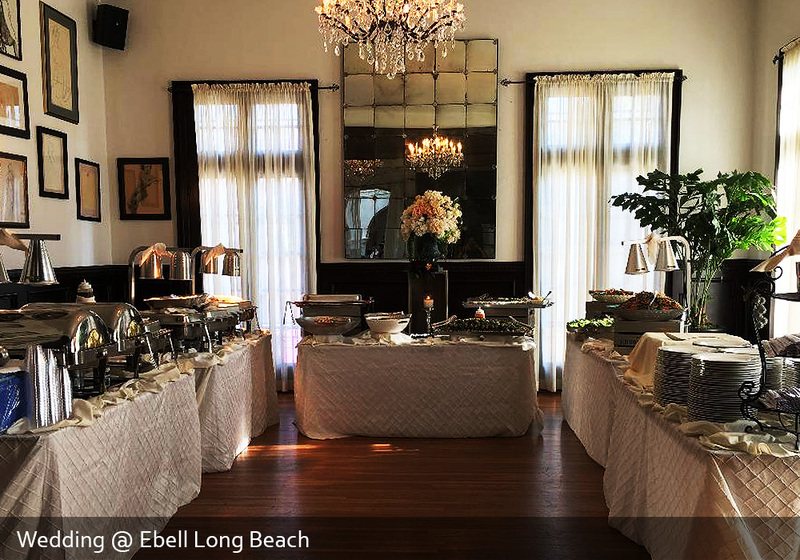 The staff would make you feel that you chose the absolutely right place to prepare for your new life together, and we would love to work again at this venue. 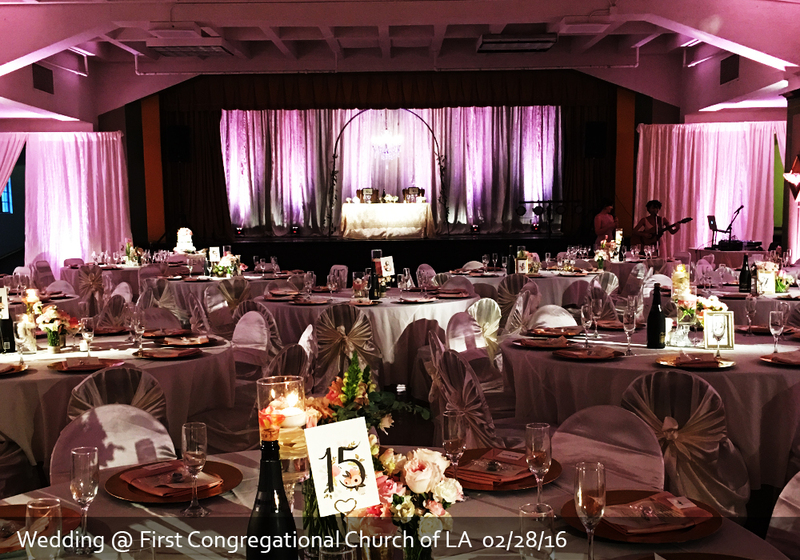 They promise to do the best to make sure that the preparations and the years ahead are blessed by your association with the church. 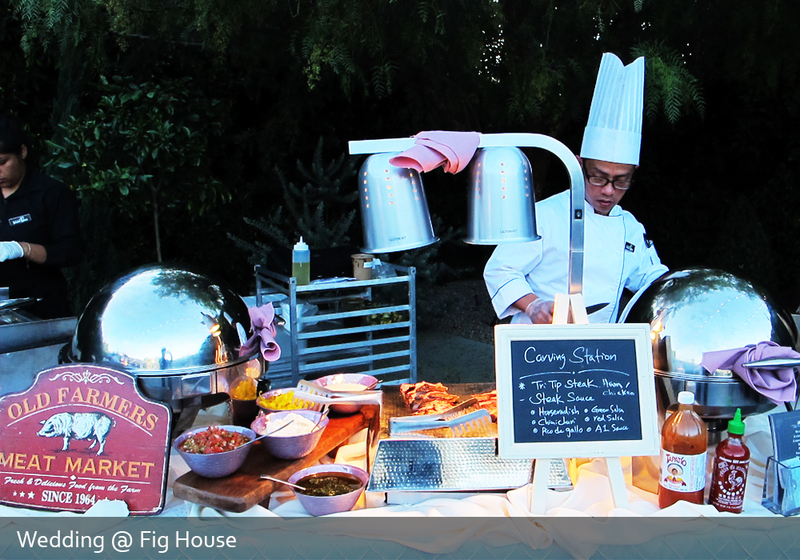 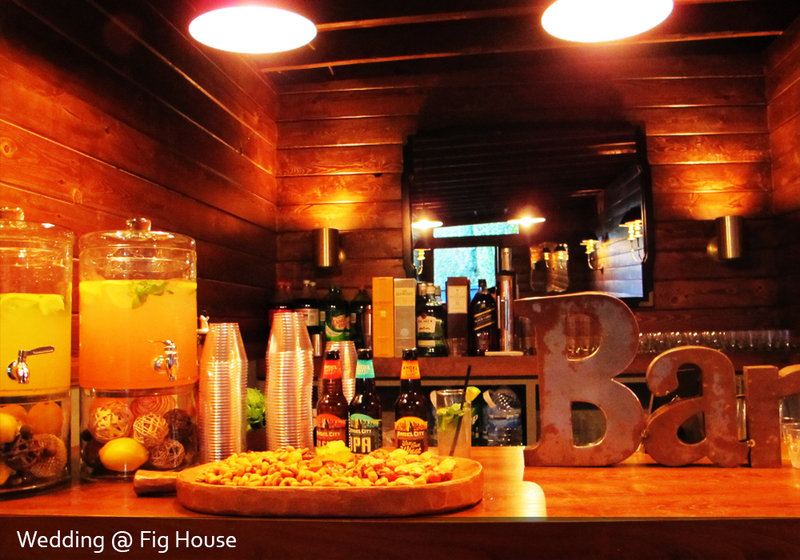 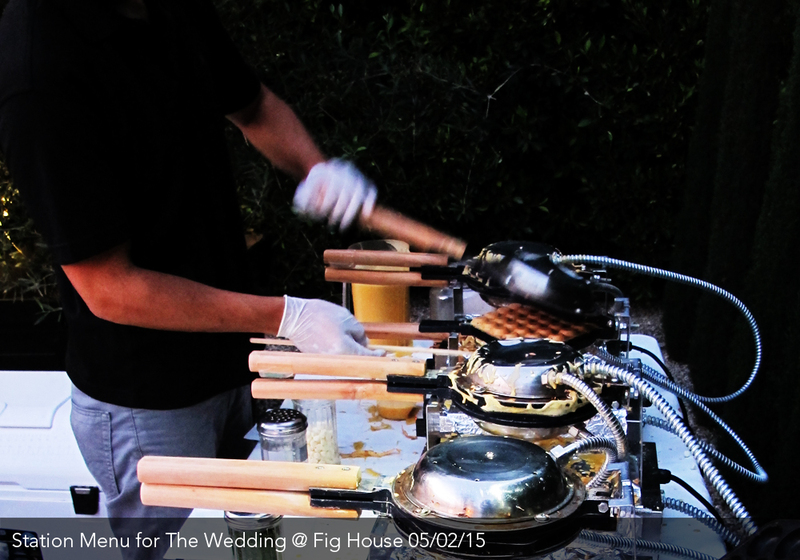 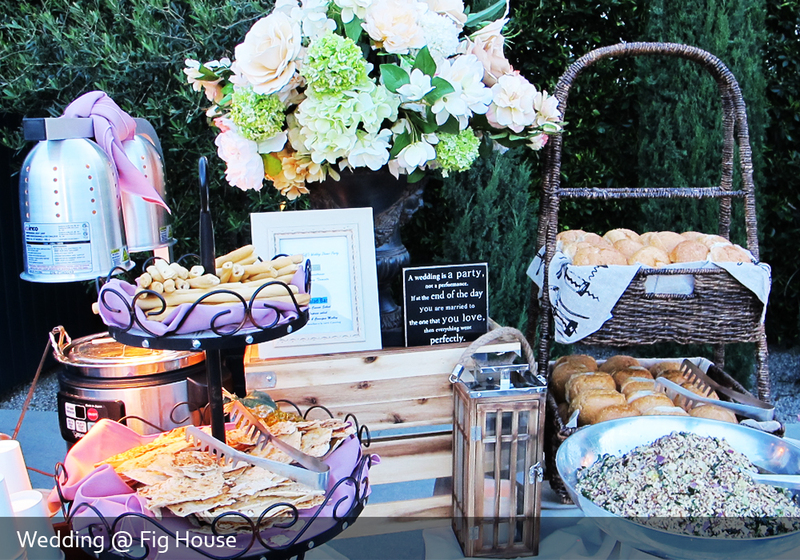 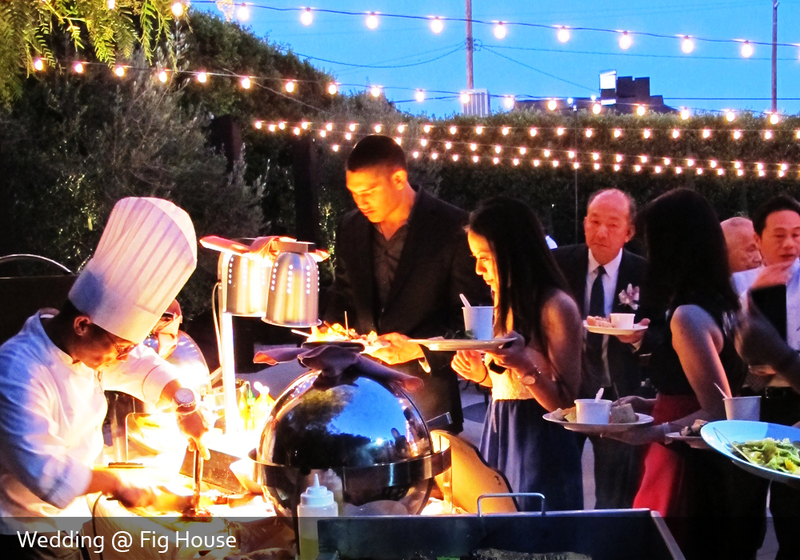 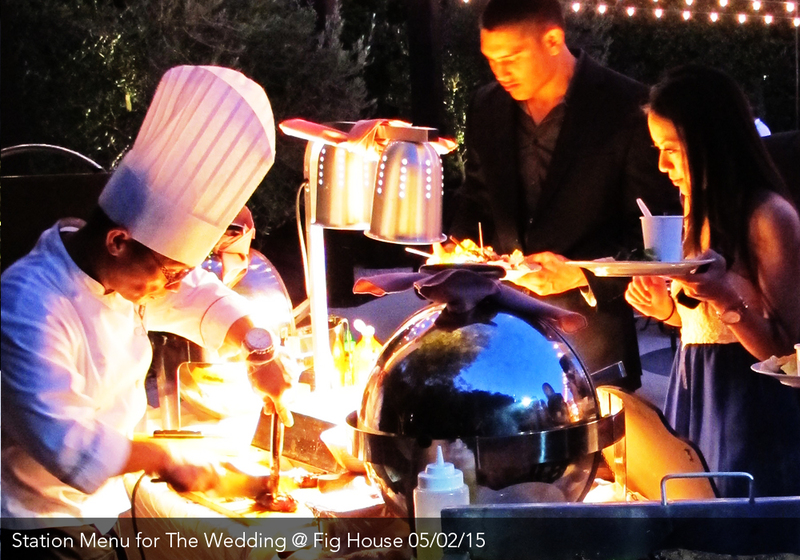 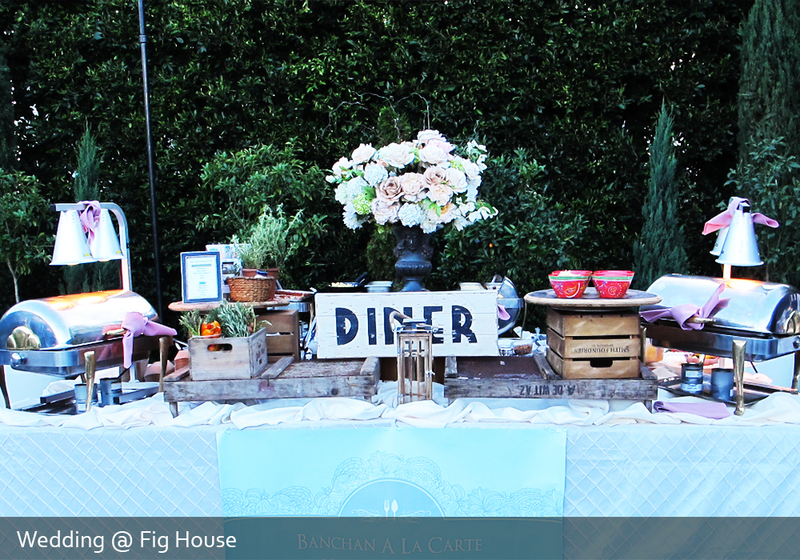 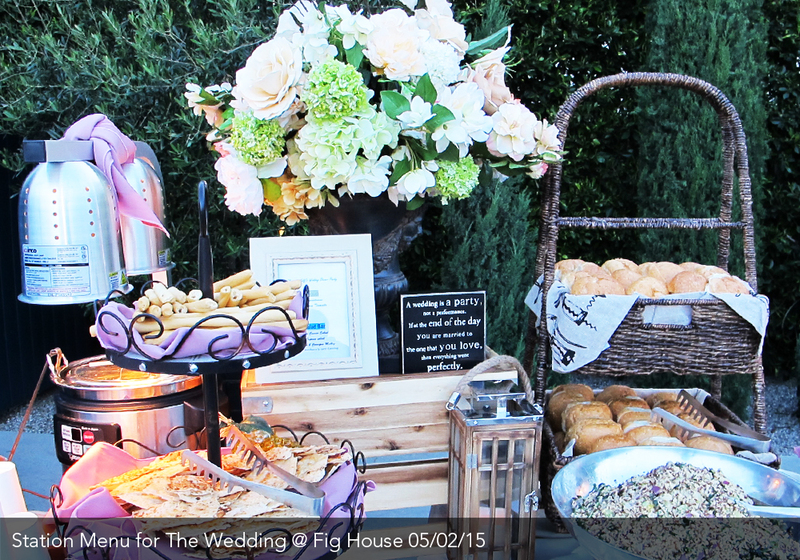 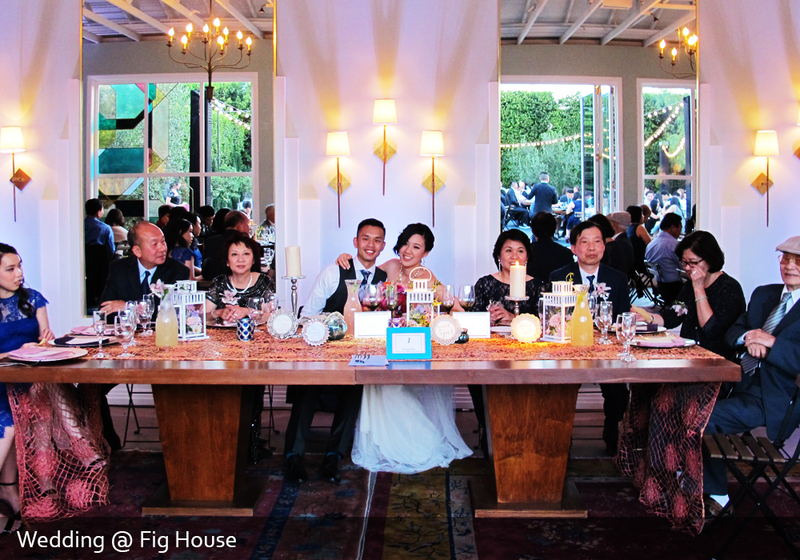 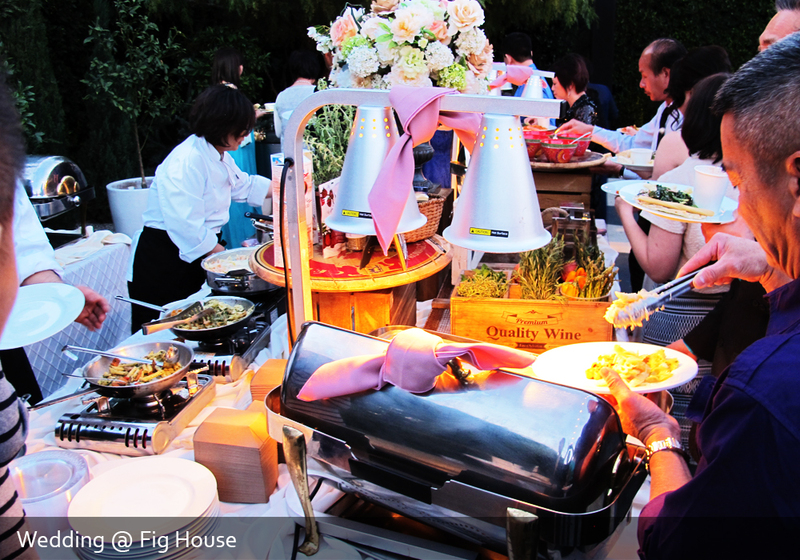 Nestled between downtown Los Angeles and Pasadena, in the heart of burgeoning Highland Park, Fig House is opened to private events, outdoor weddings, receptions, exhibitions, productions, and corporate parties. 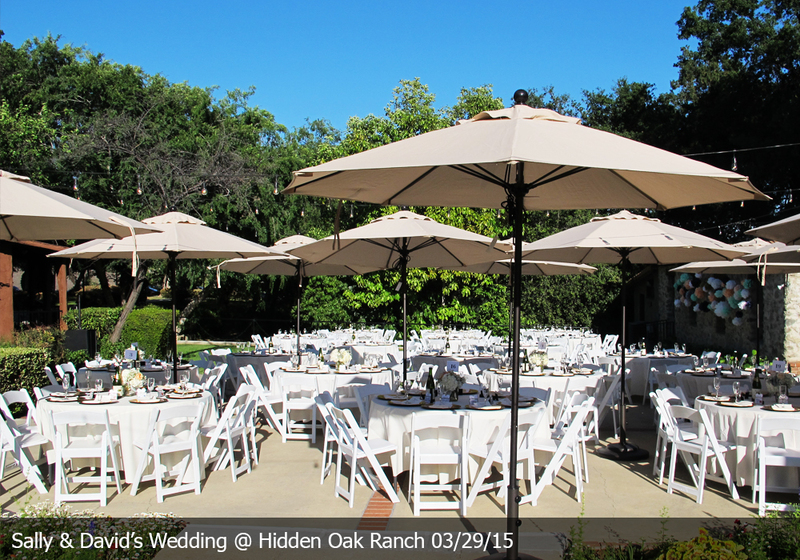 We definately enjoy its lush landscaping, modern glamour, and bold, rich colors. 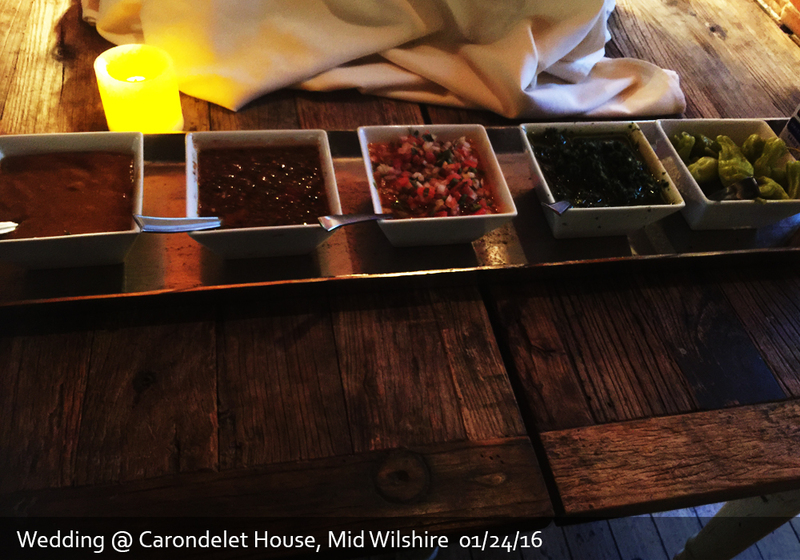 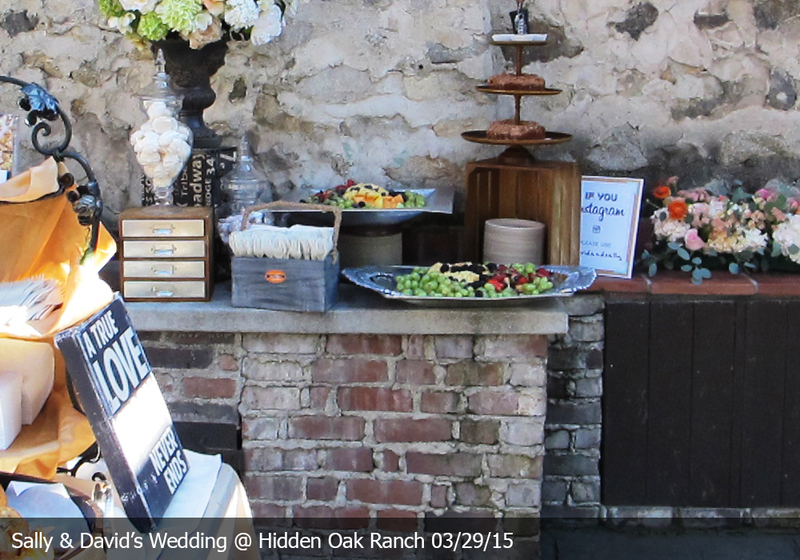 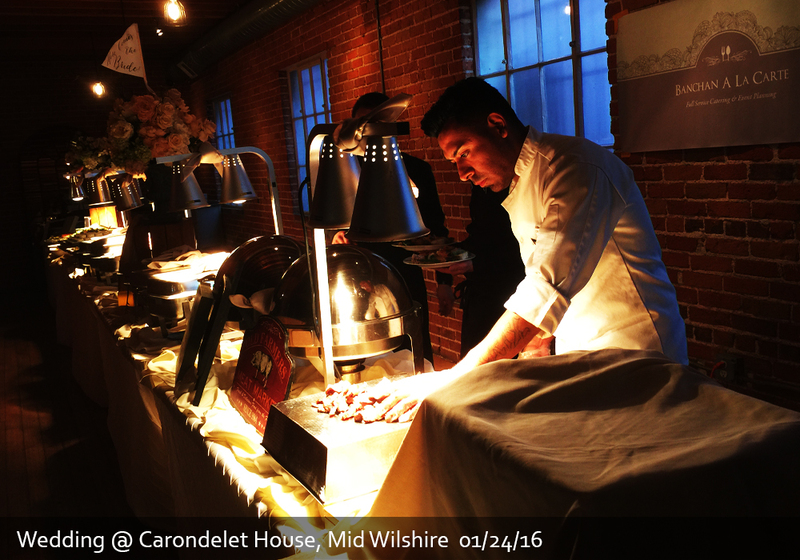 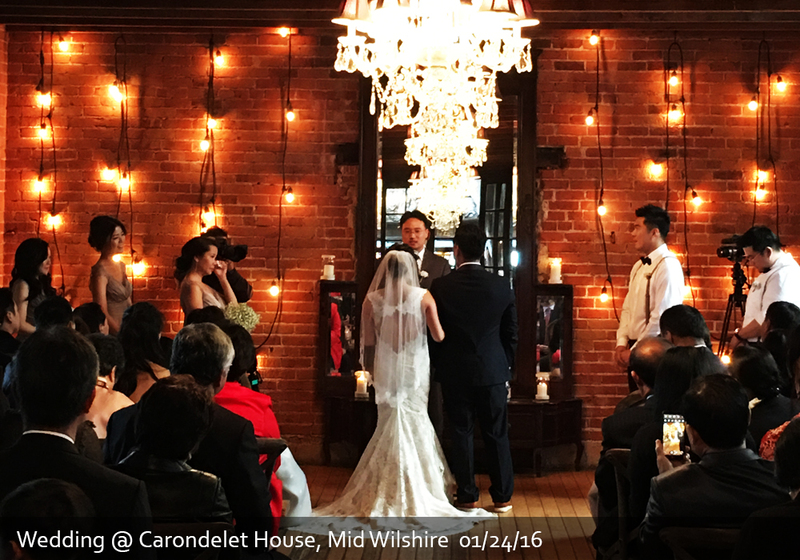 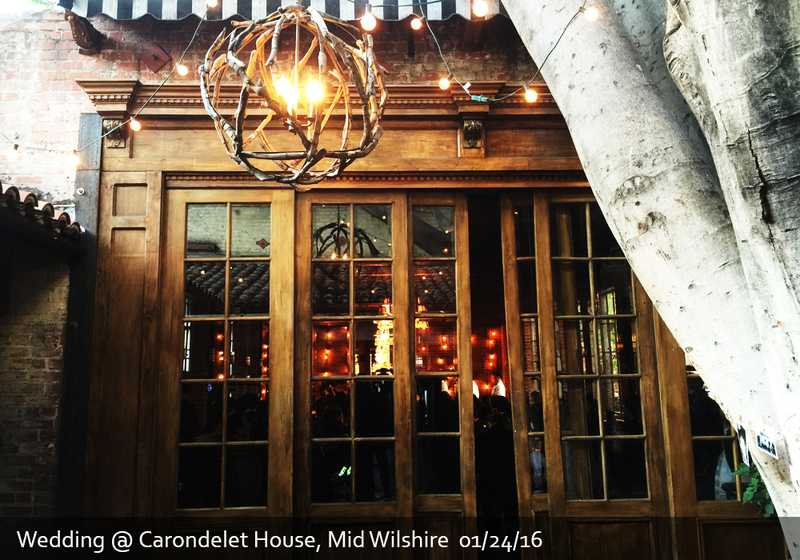 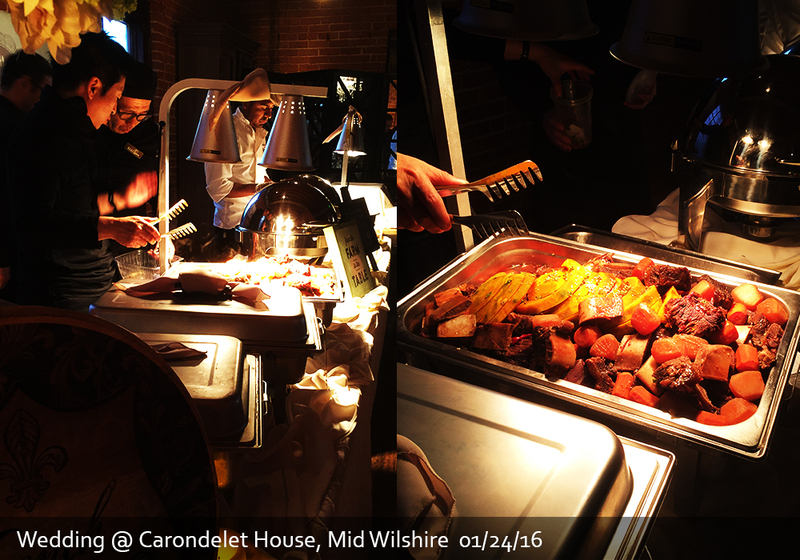 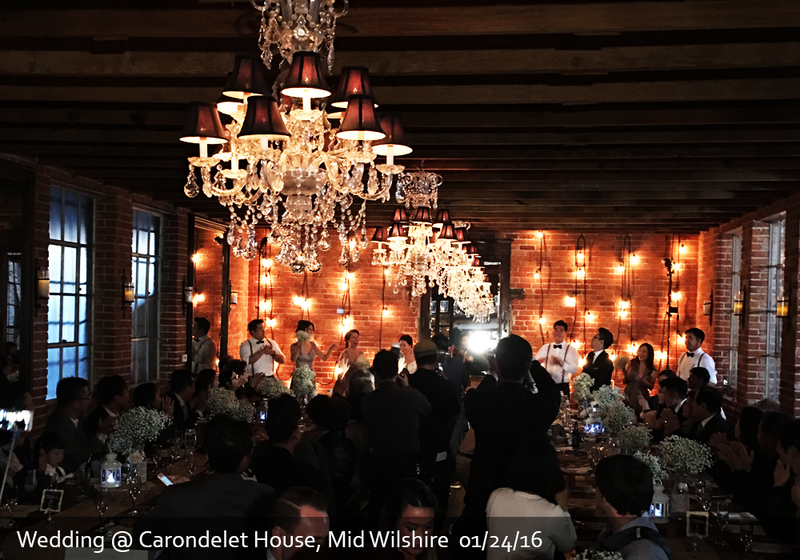 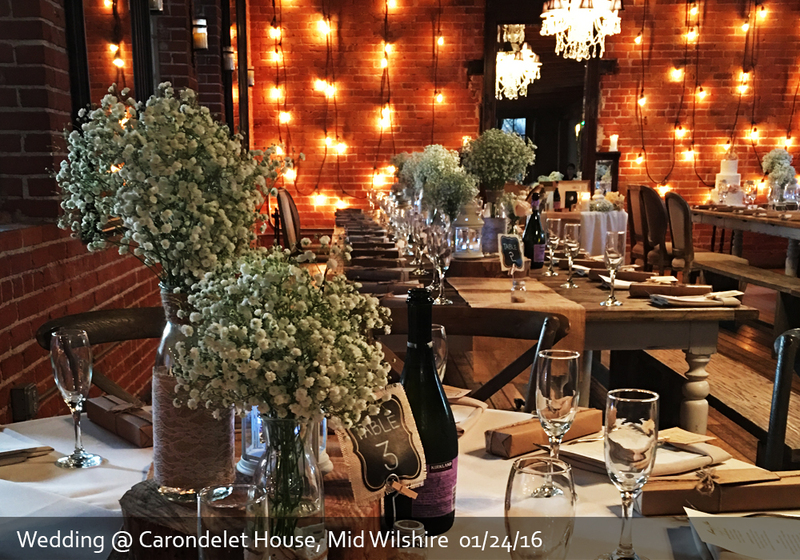 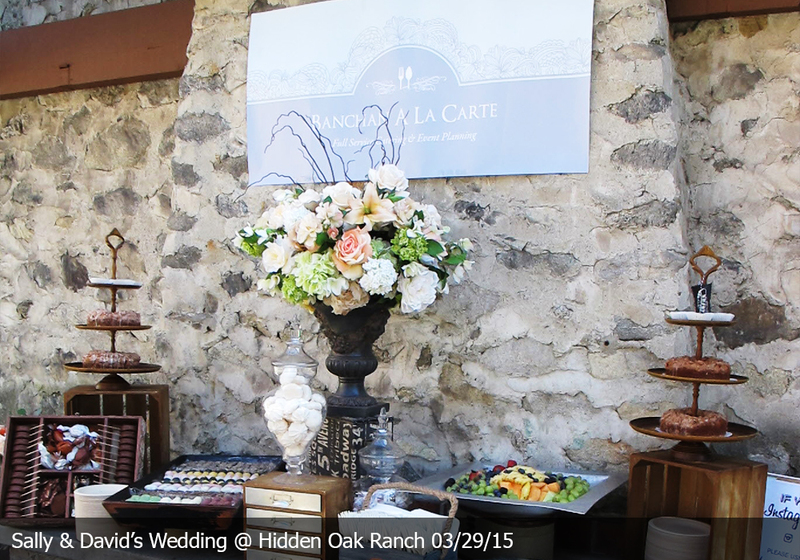 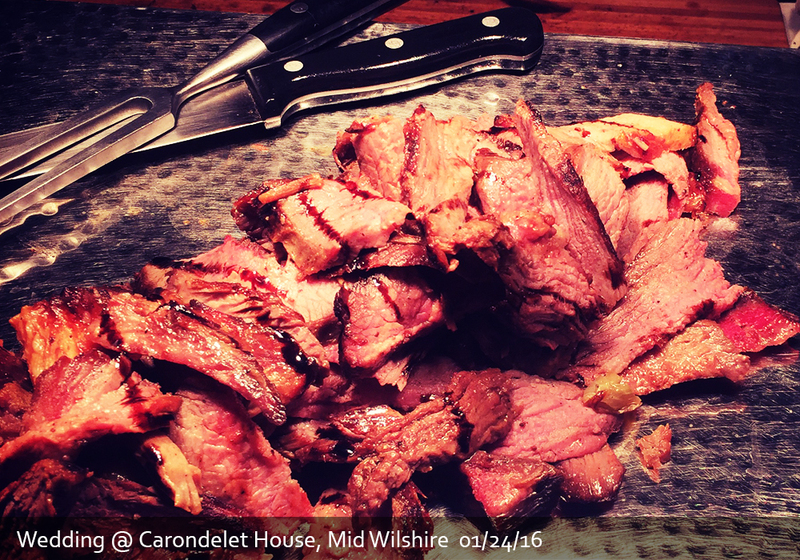 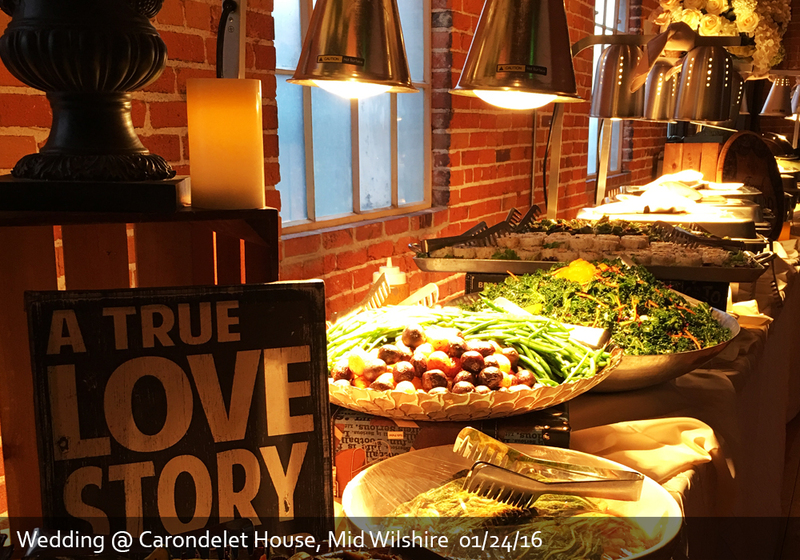 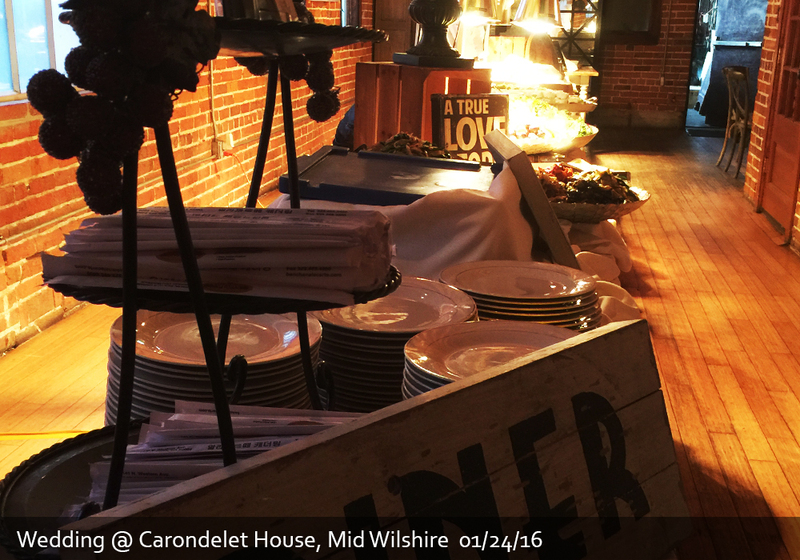 Our newly listed featured venue is Carondelet House in Los Angeles. 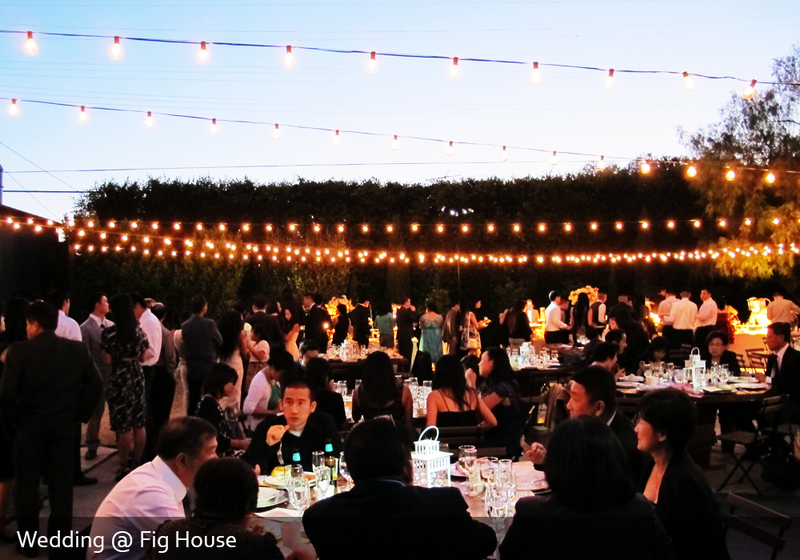 This one of the freshest and most unique event venues is constructed in 1928 as an Italian Villa with an urban flair. 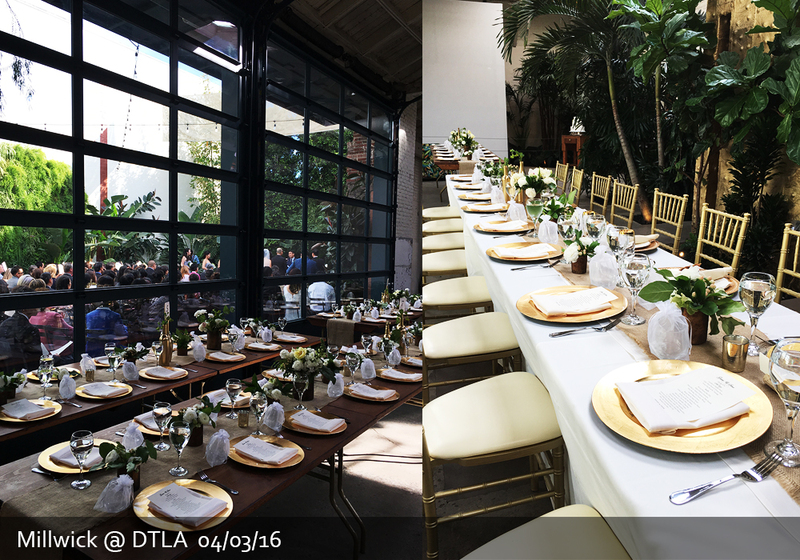 With fantastic natural light and incredible architectural detail, you can create exquisite ambiance for your special day. 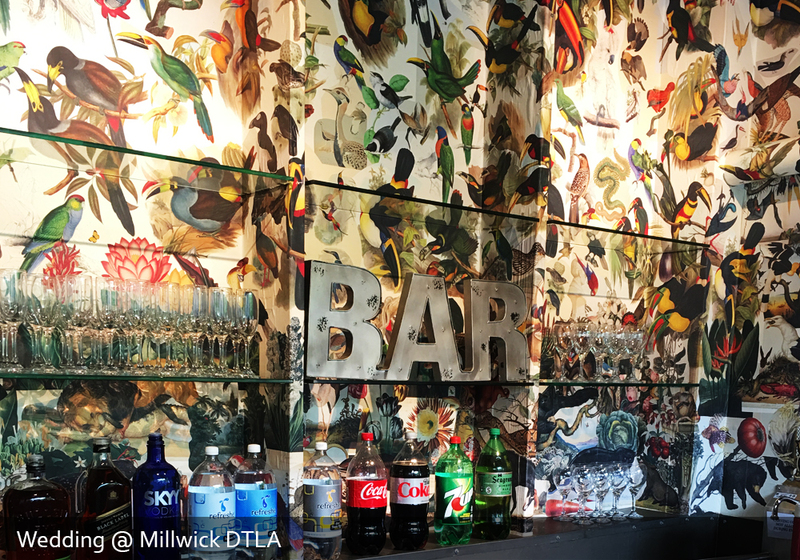 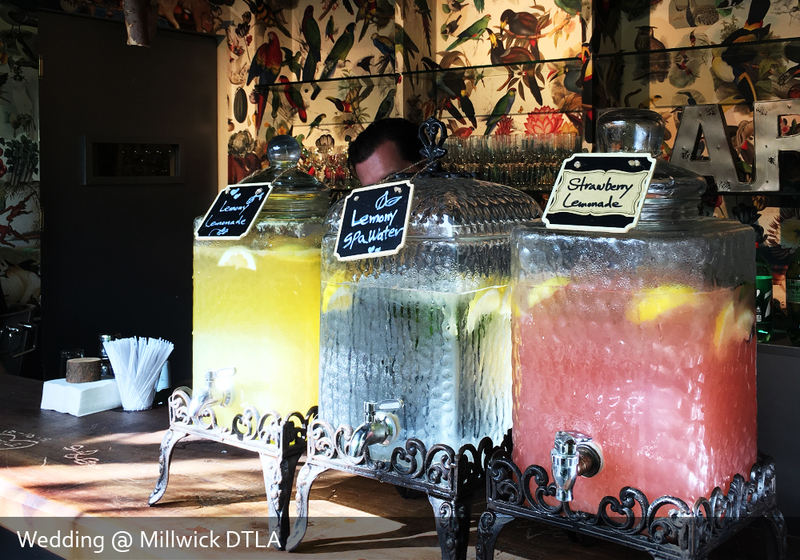 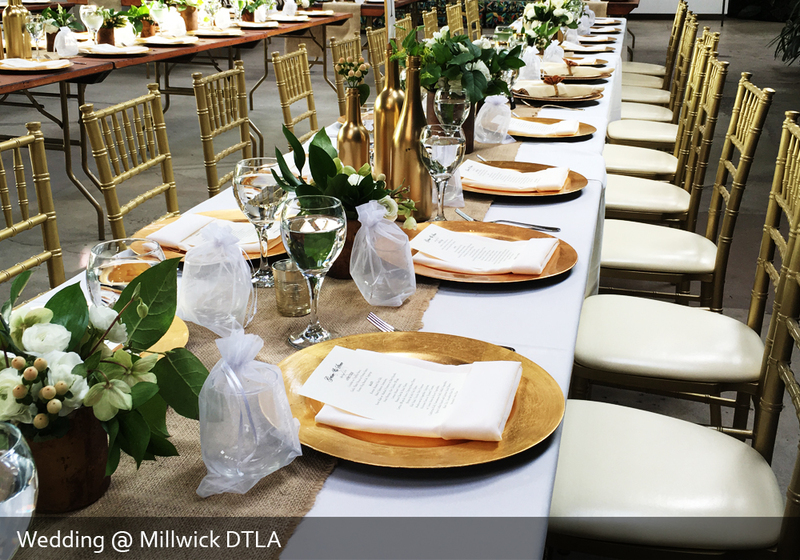 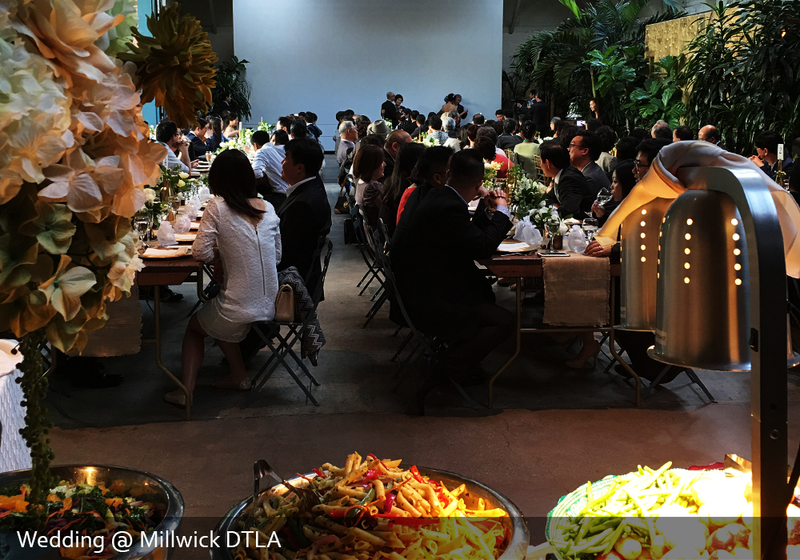 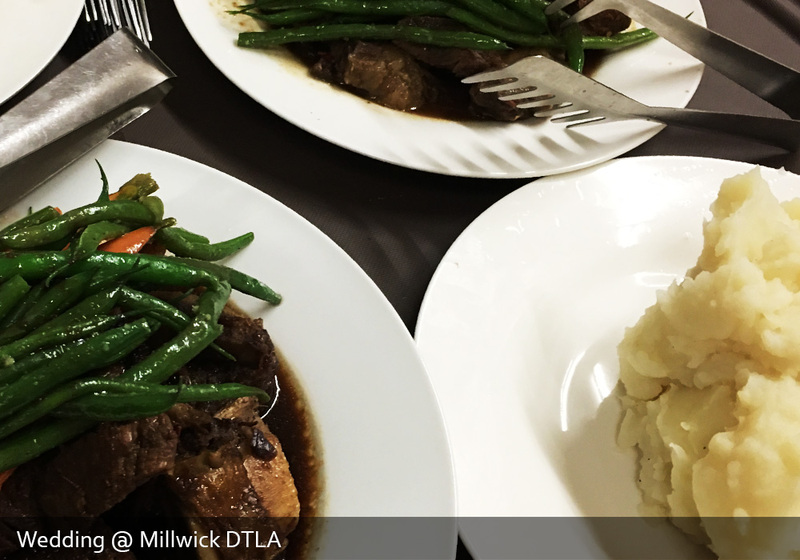 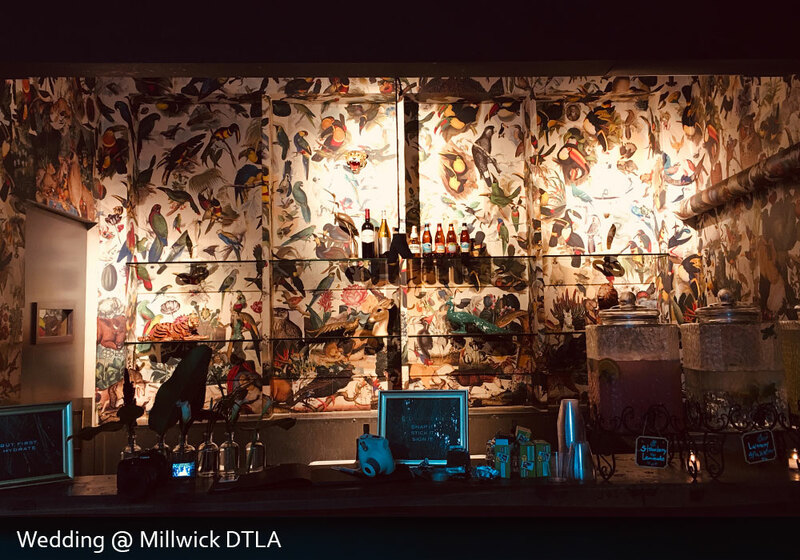 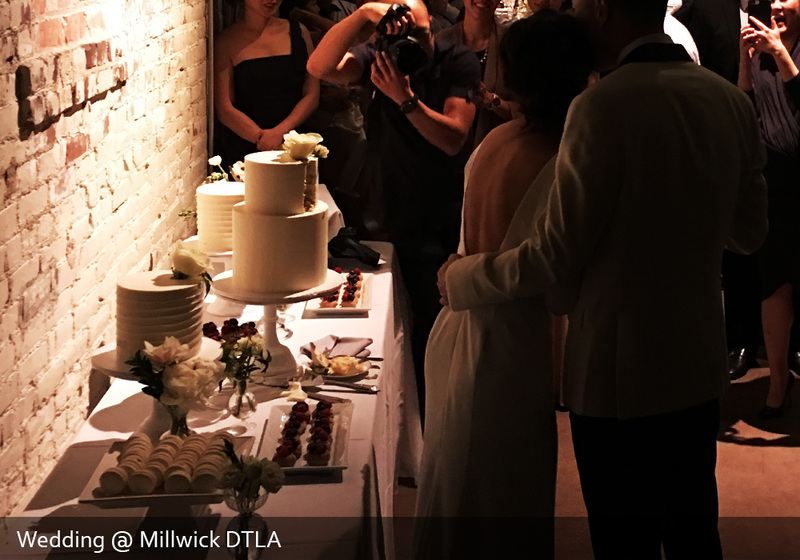 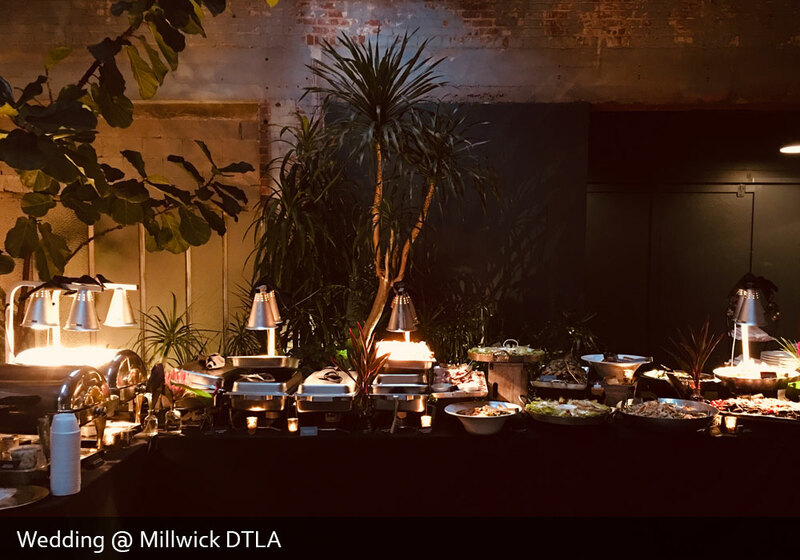 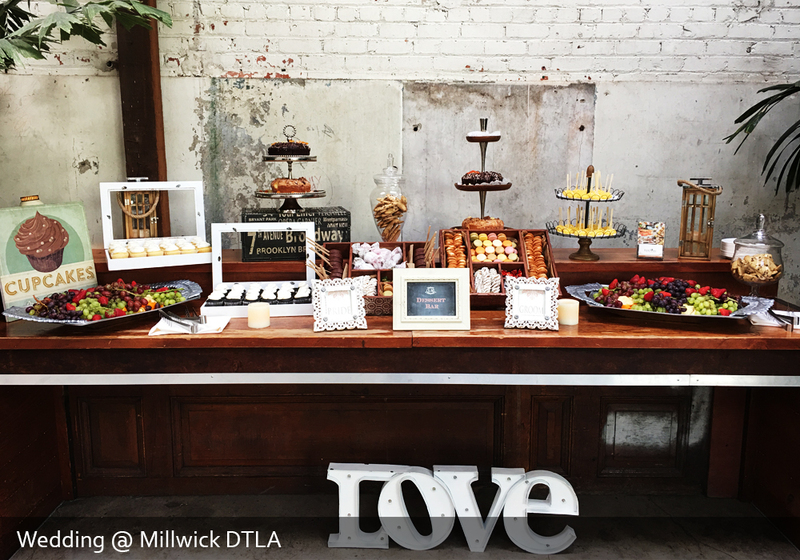 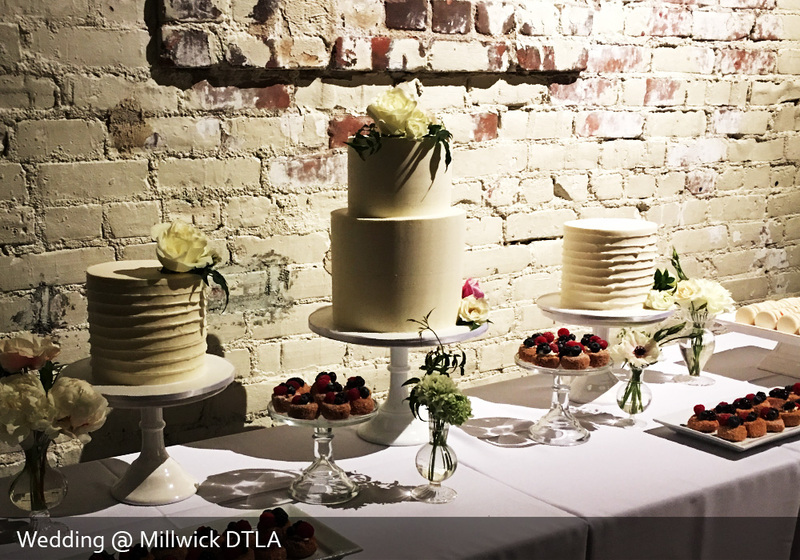 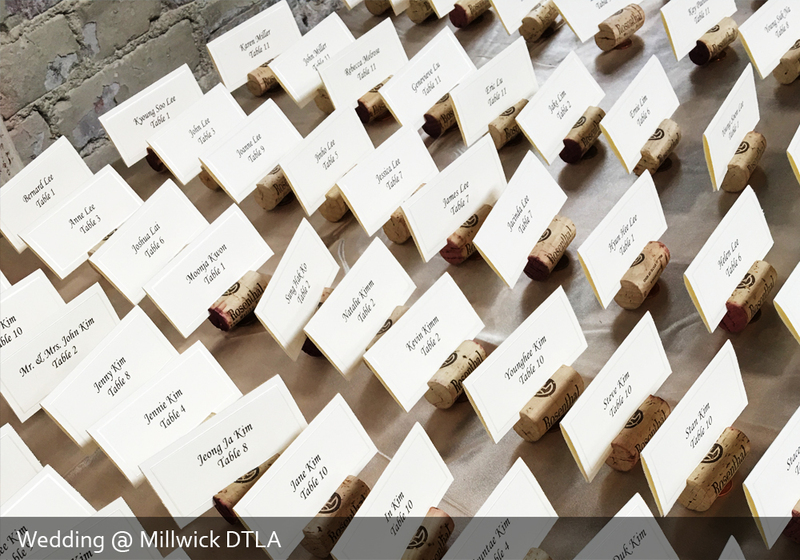 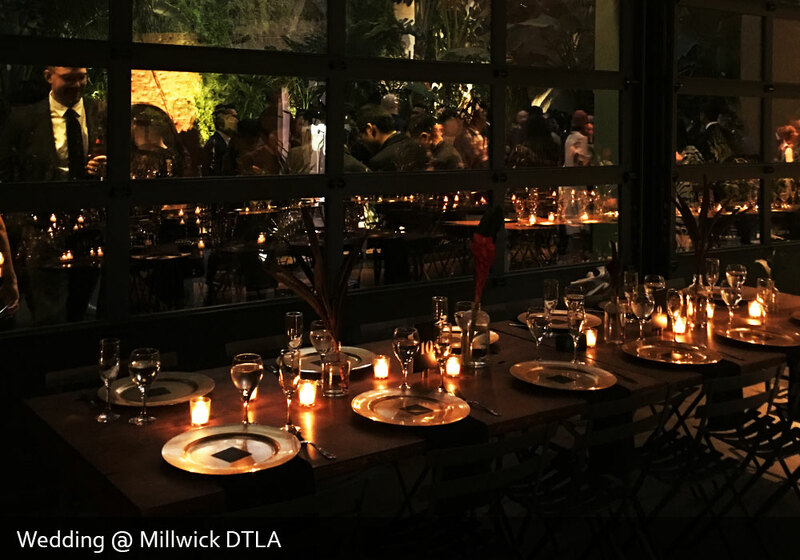 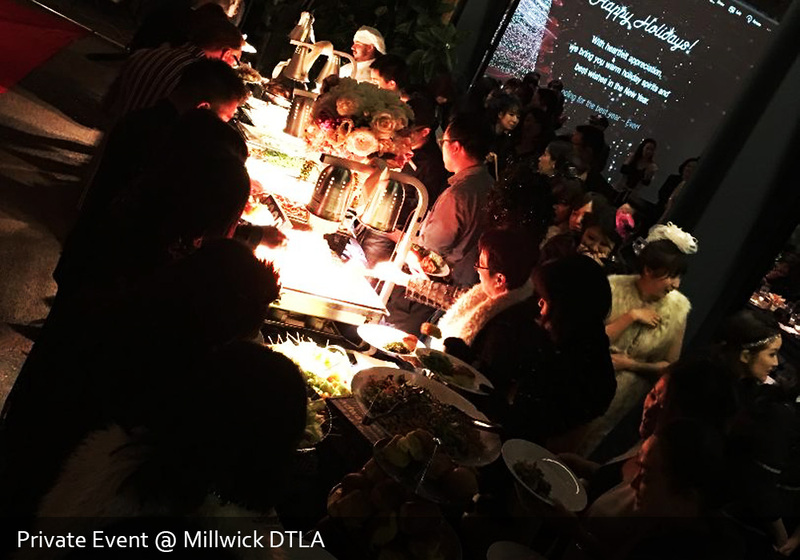 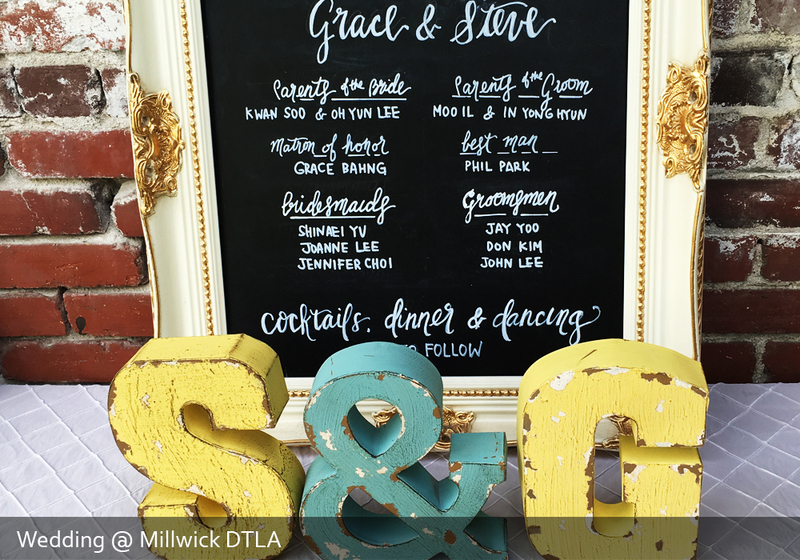 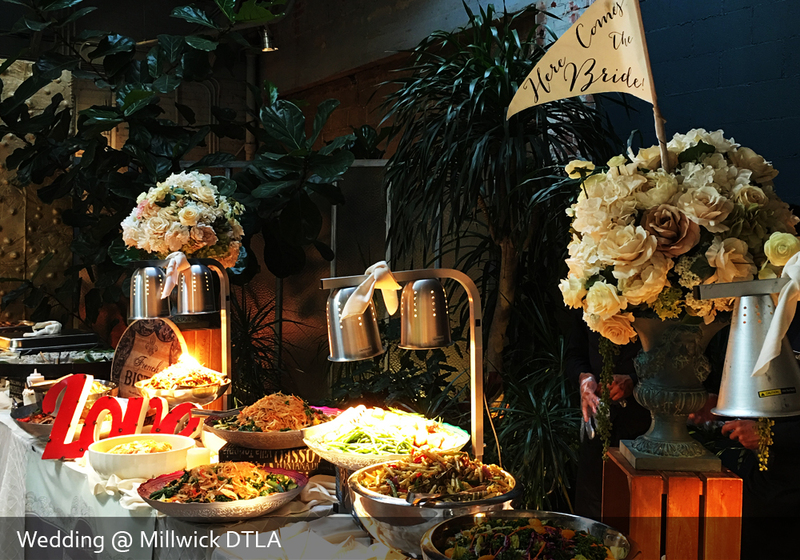 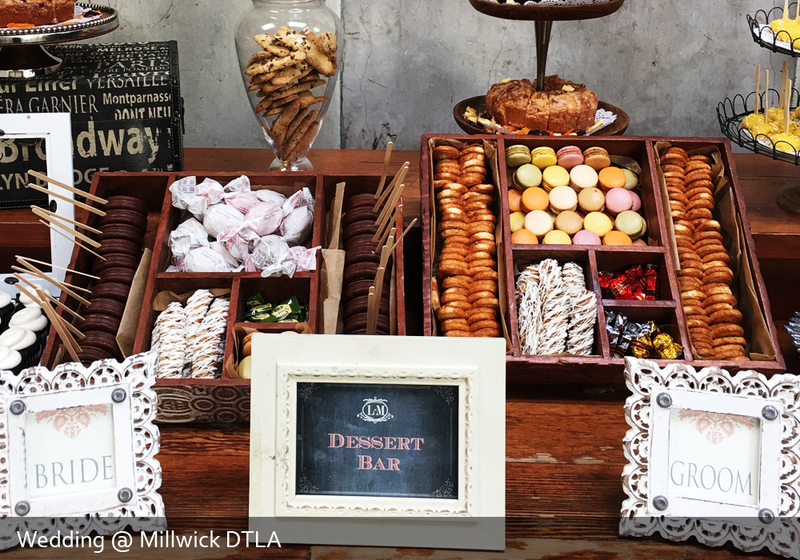 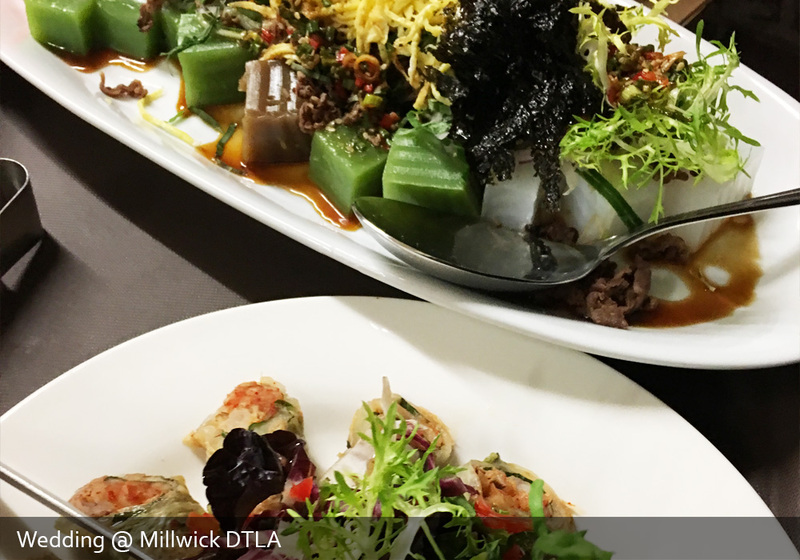 This newly opened wedding venue, Millwick, is a sister property to another one of the favorite LA wedding venues, the Smogshoppe, and we enjoy working with both venues. 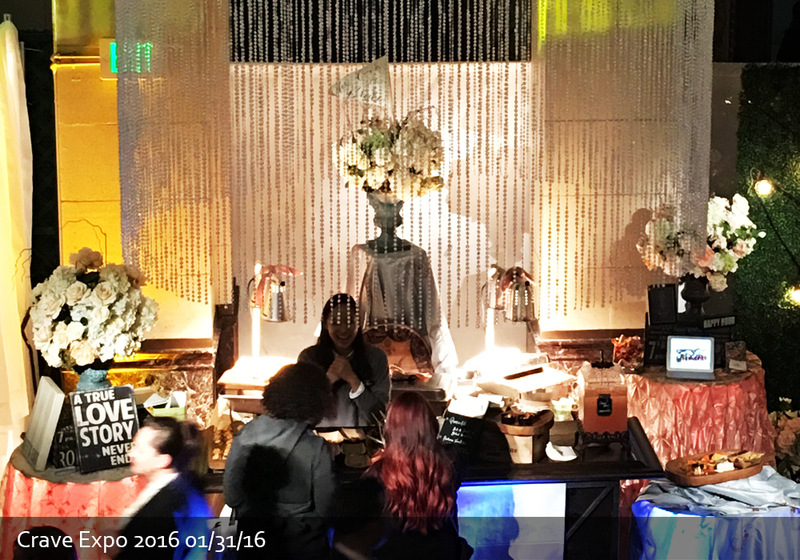 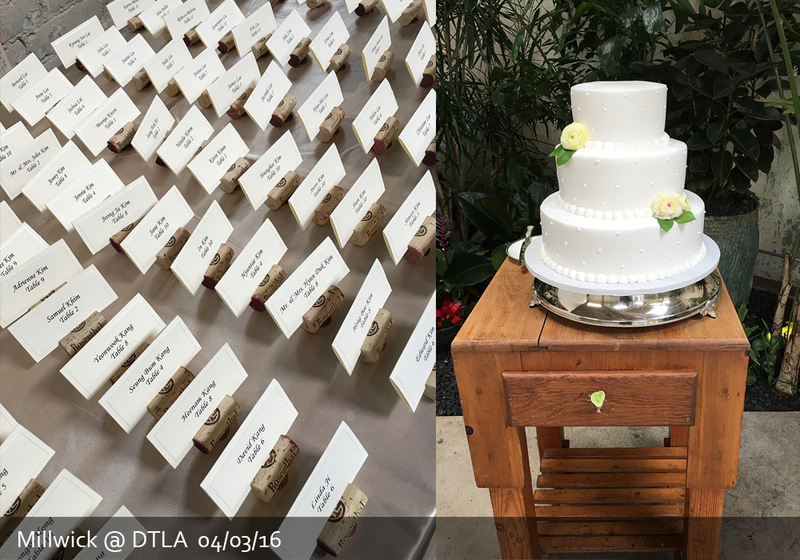 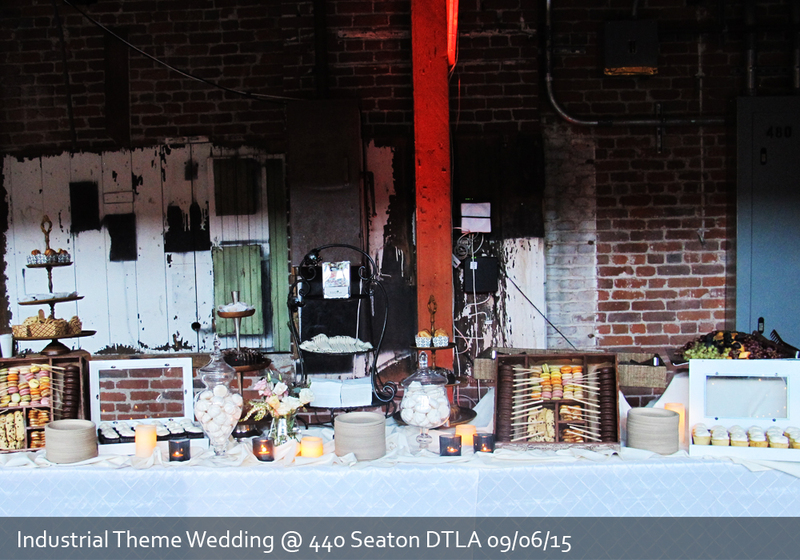 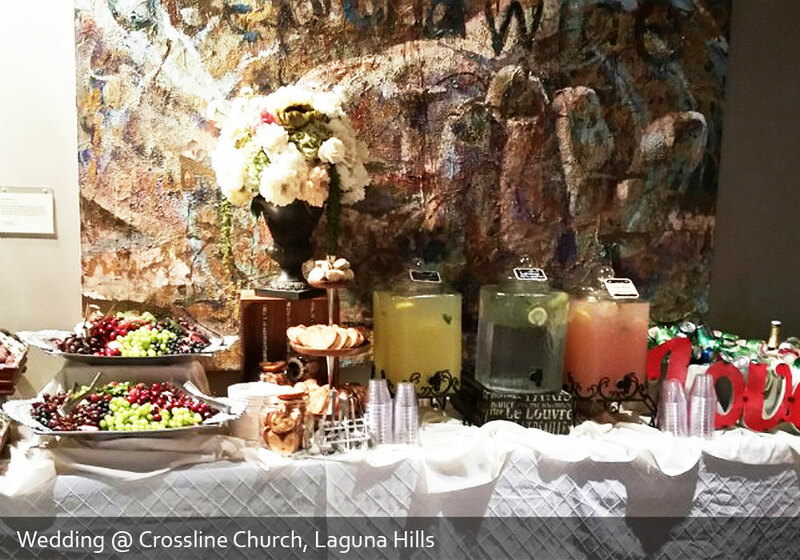 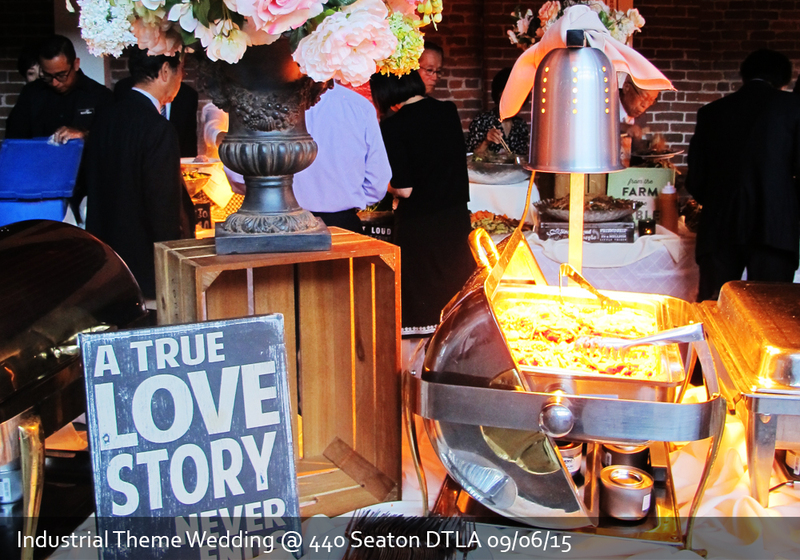 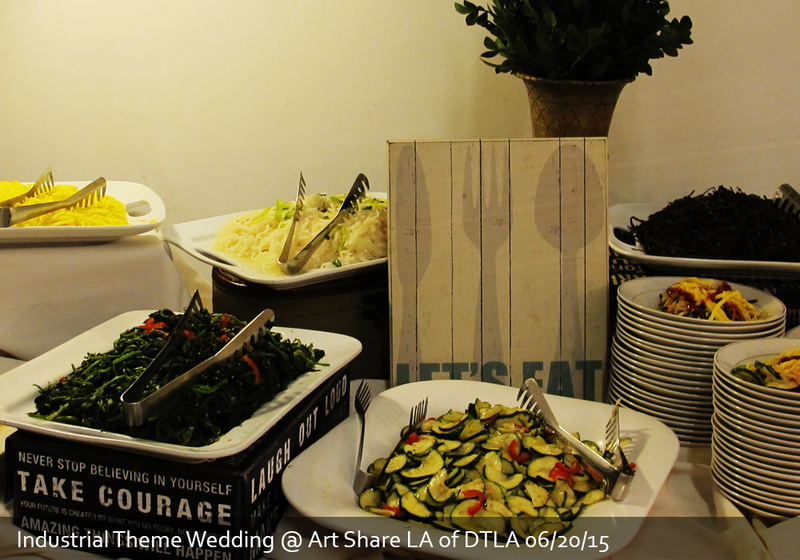 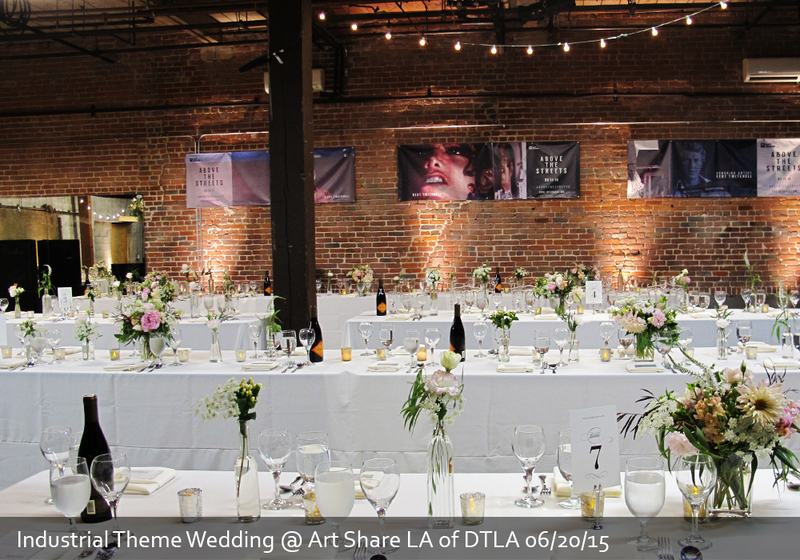 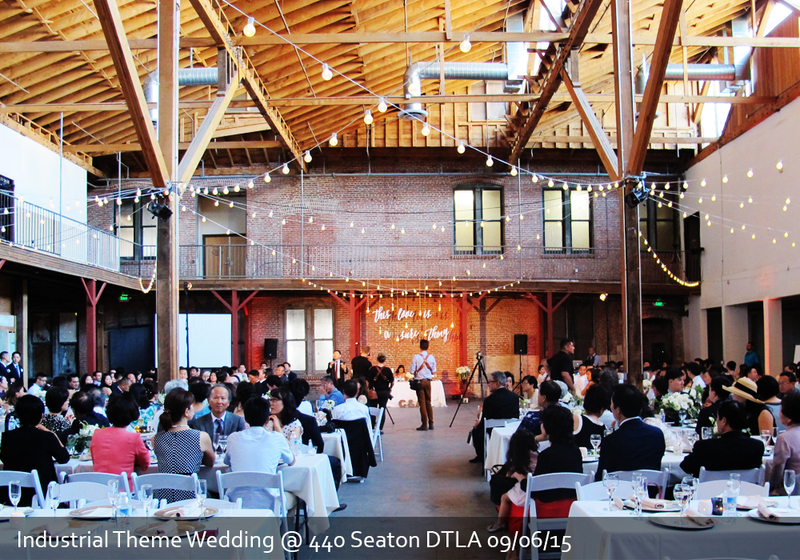 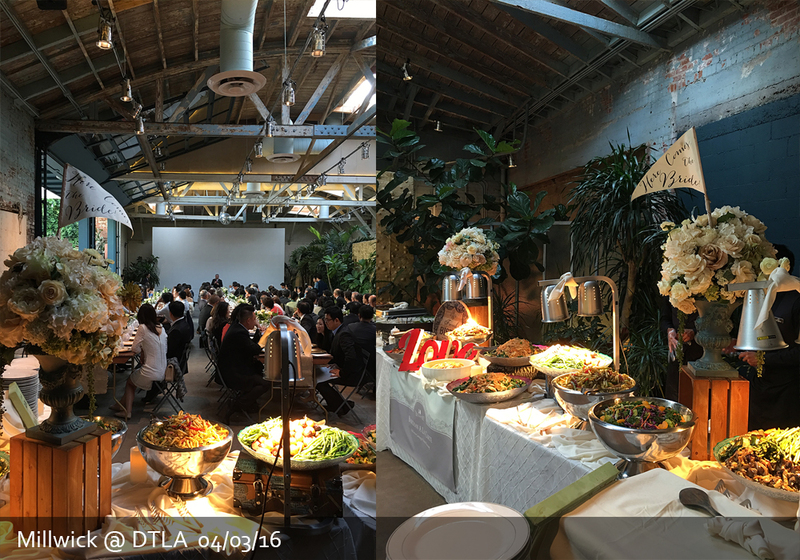 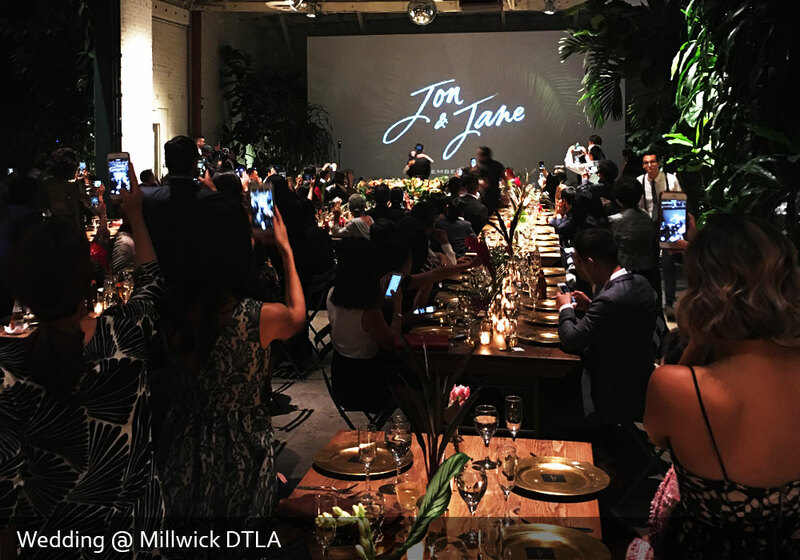 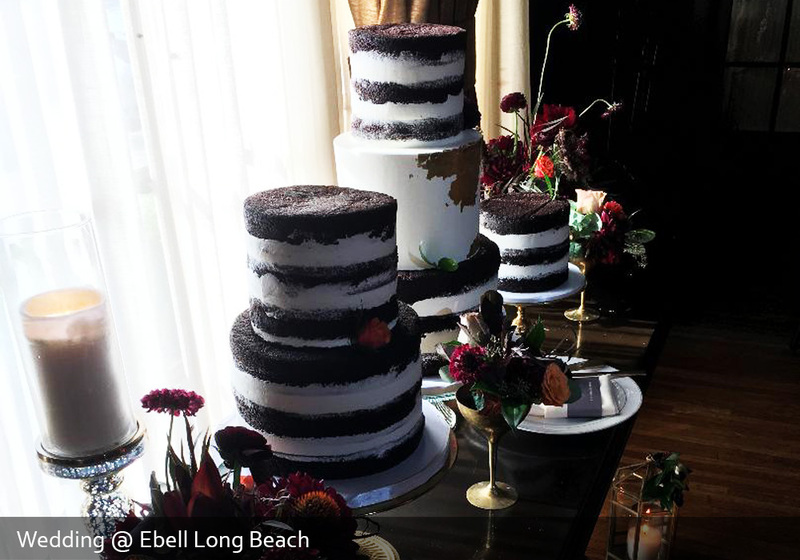 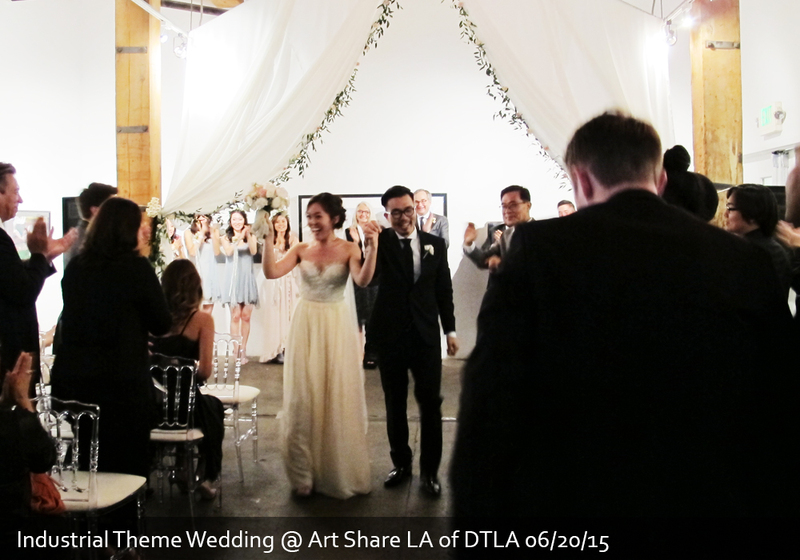 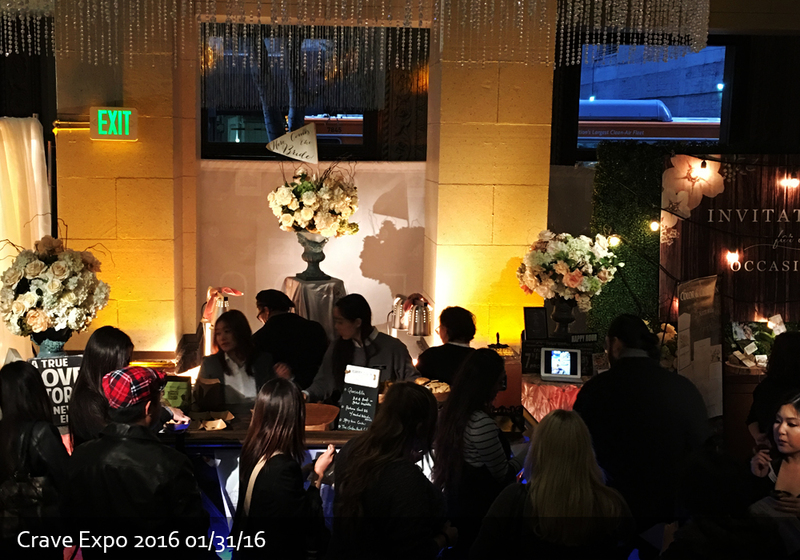 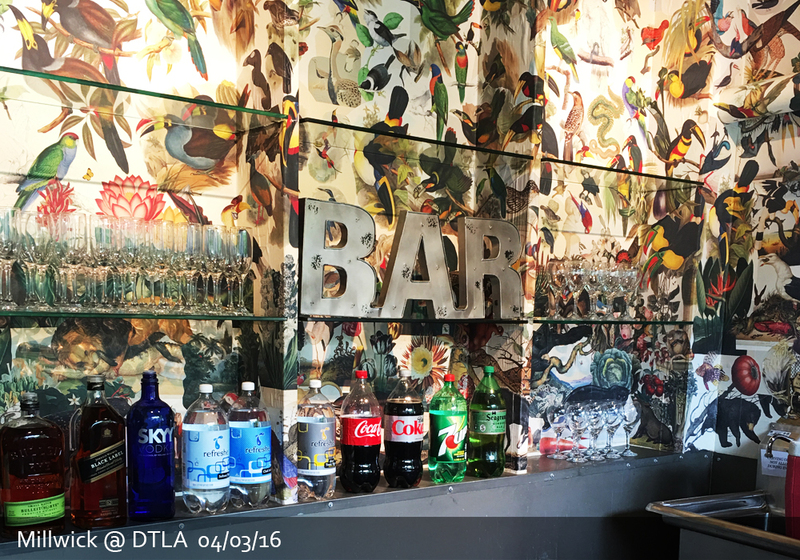 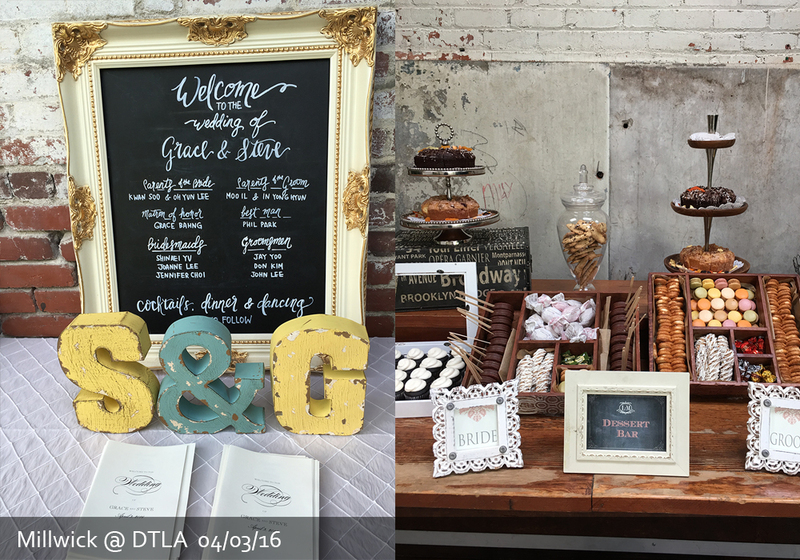 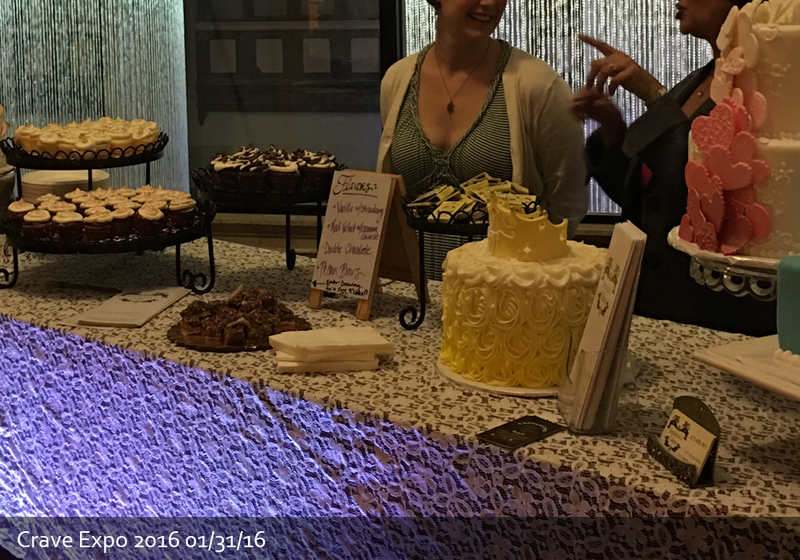 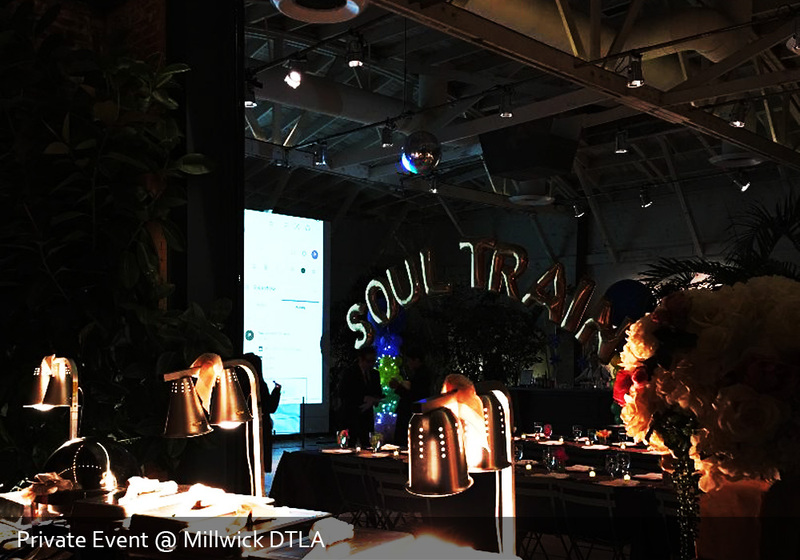 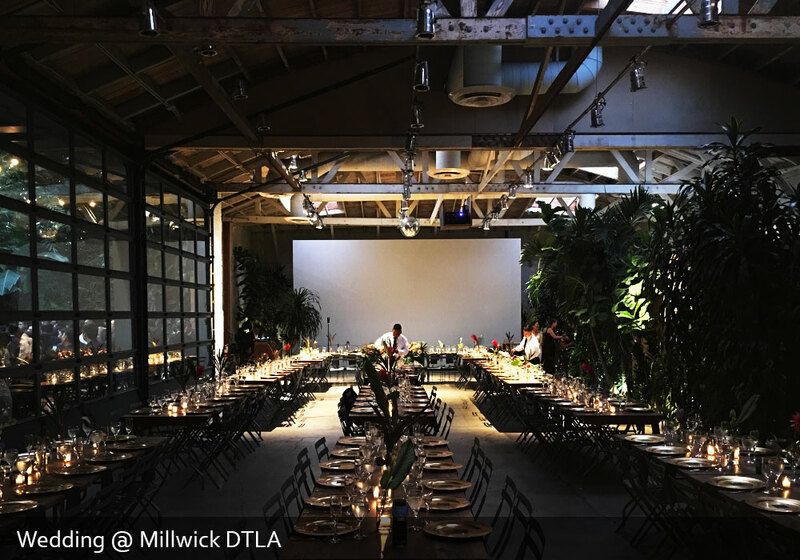 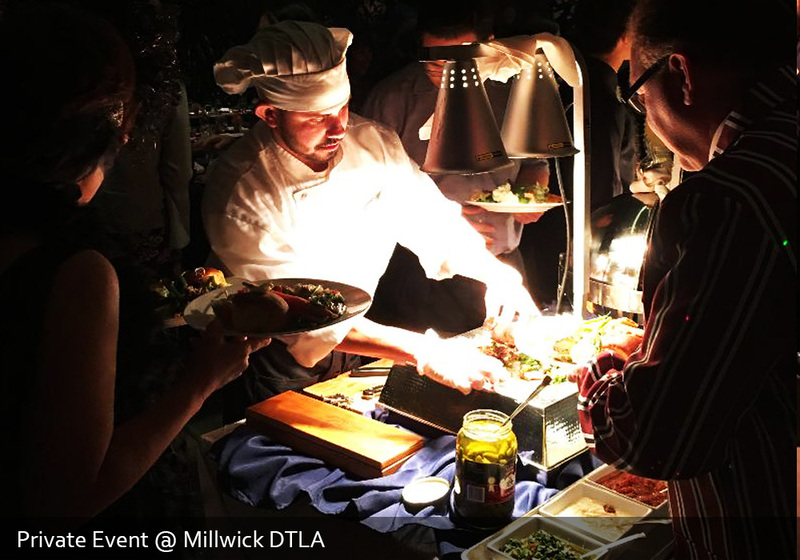 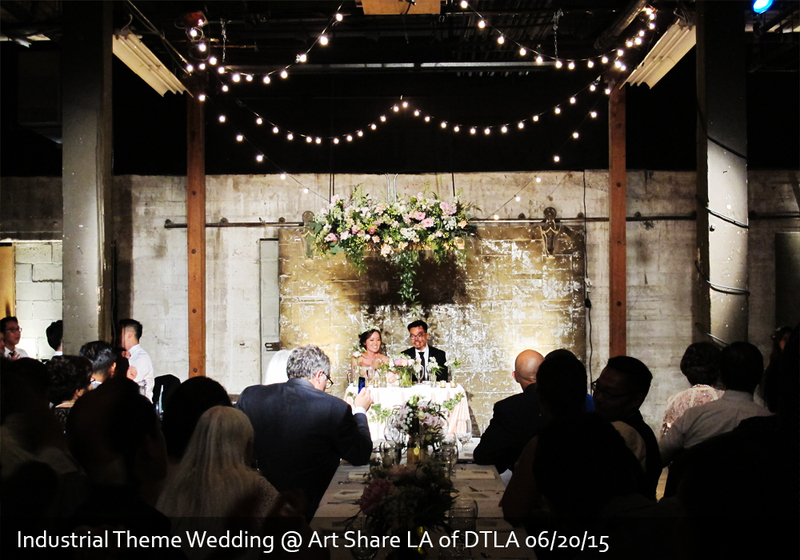 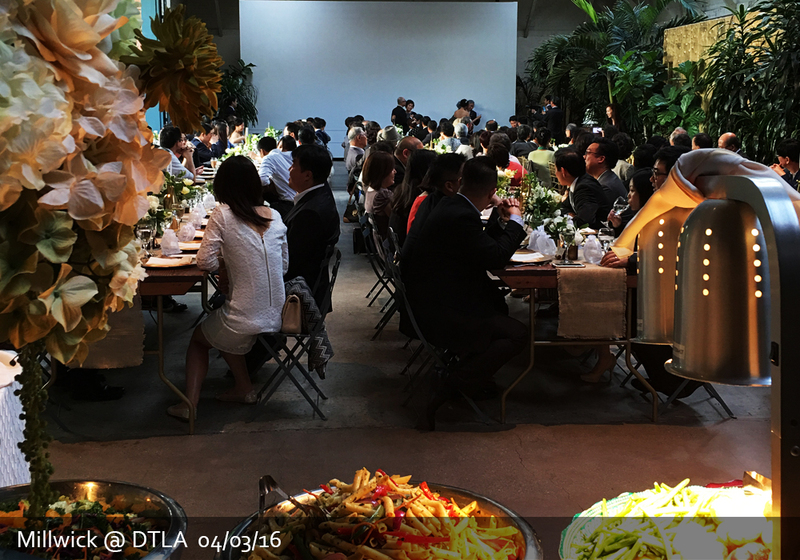 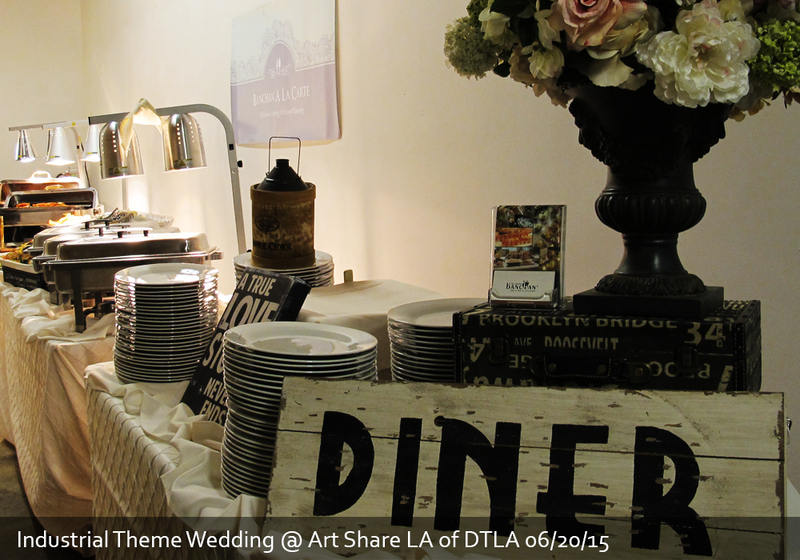 Located near Los Angeles Arts District, this industrial chic styled venue is perfect for beautiful, intimate event. 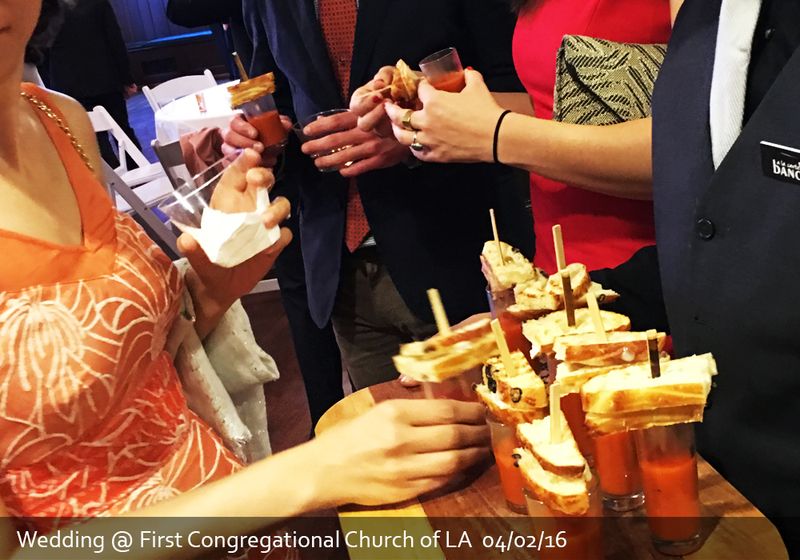 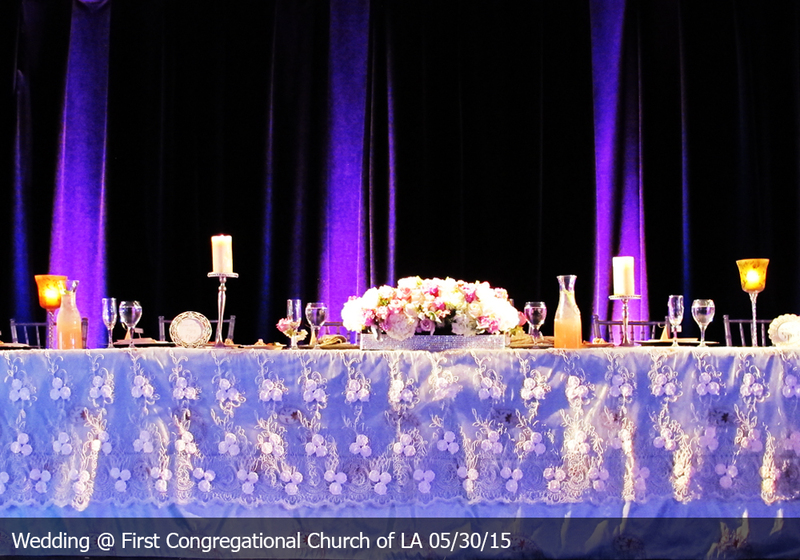 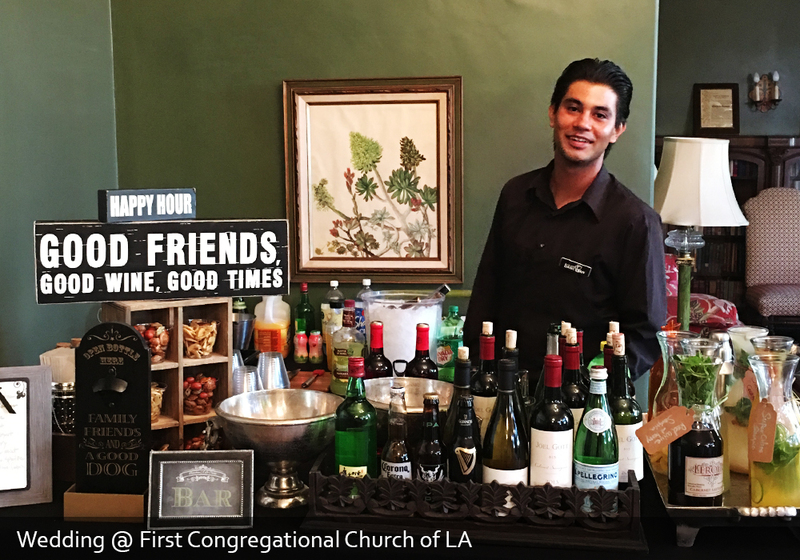 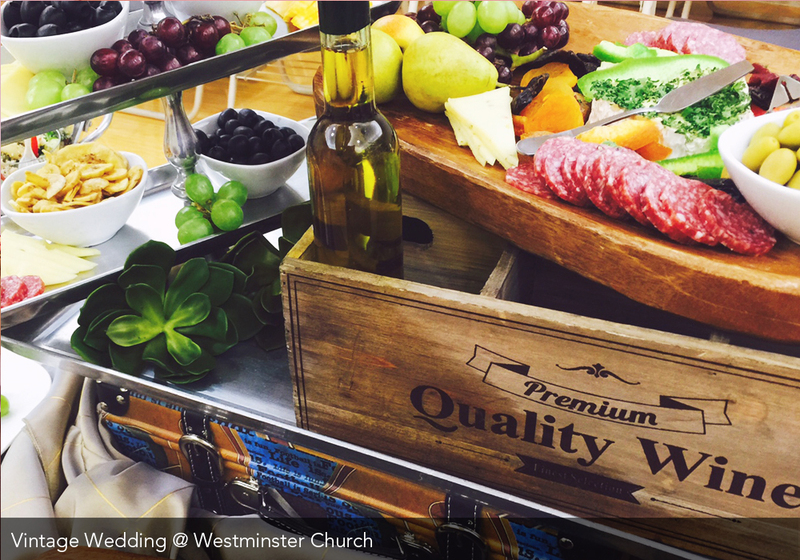 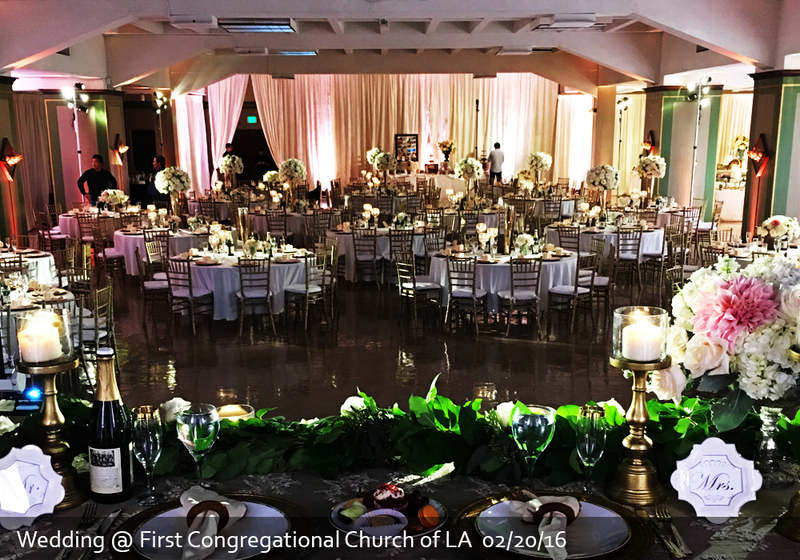 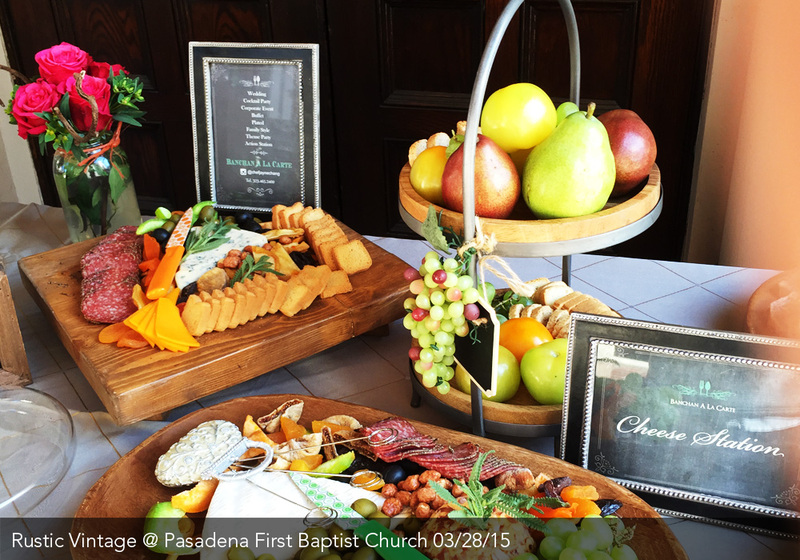 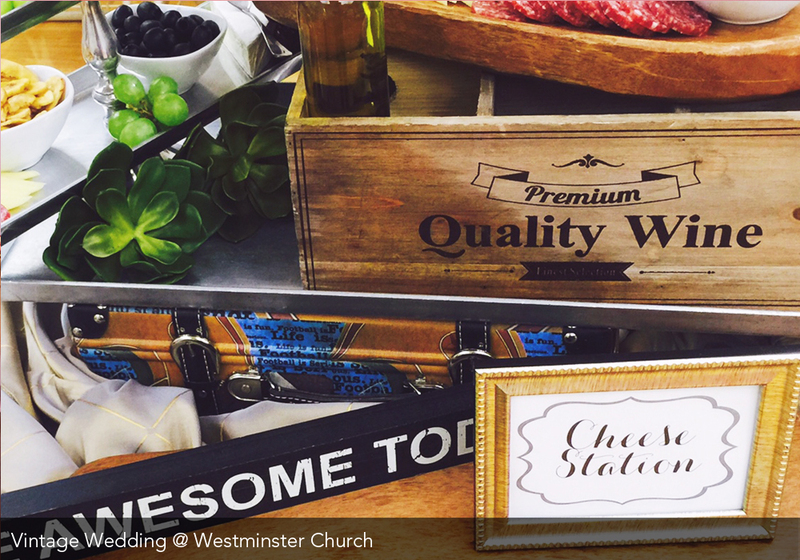 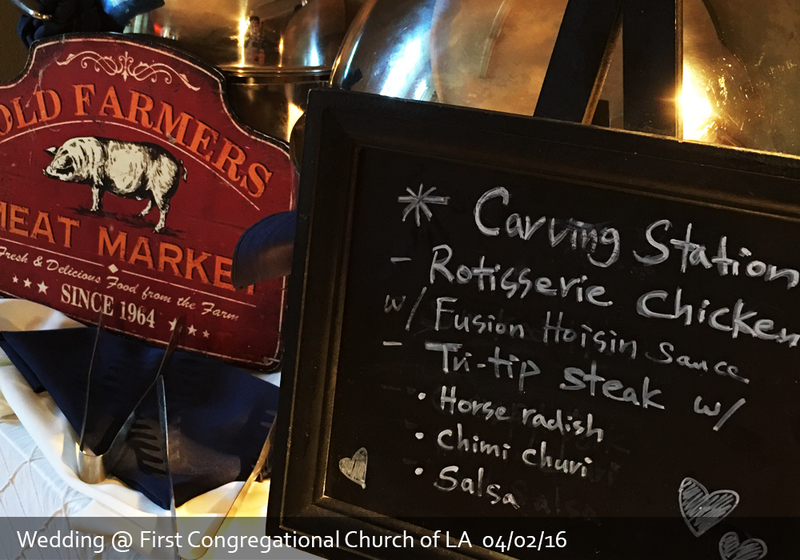 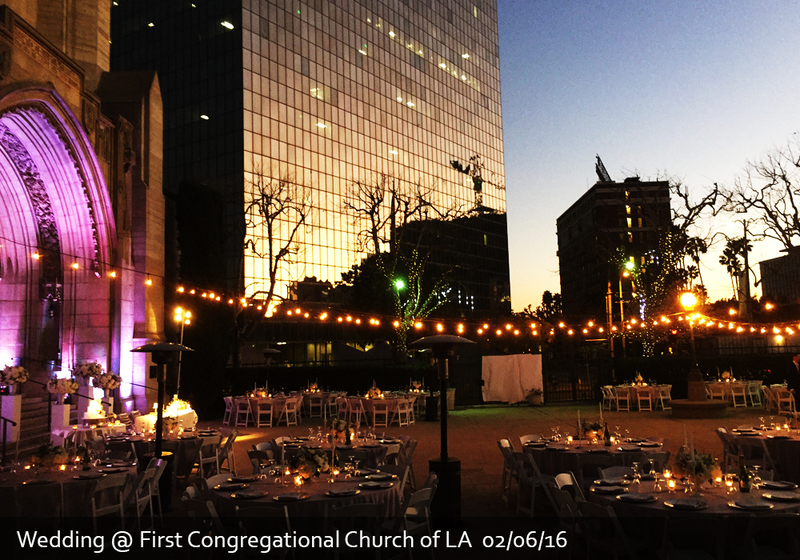 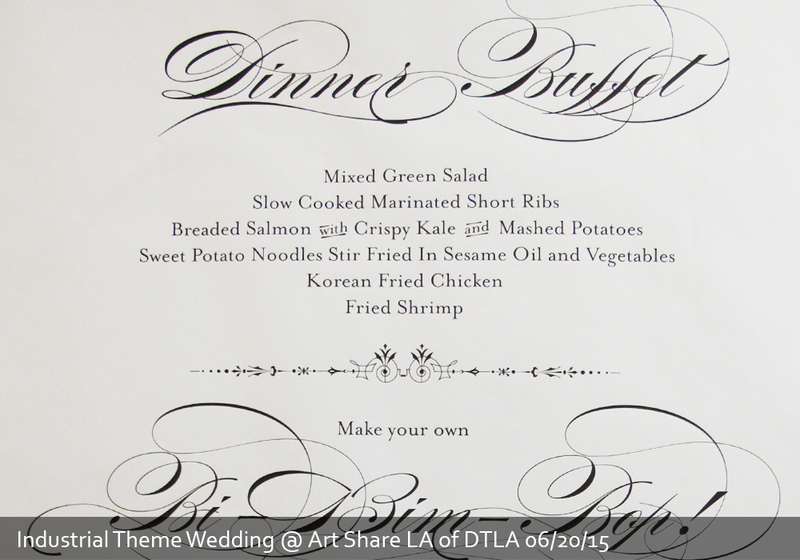 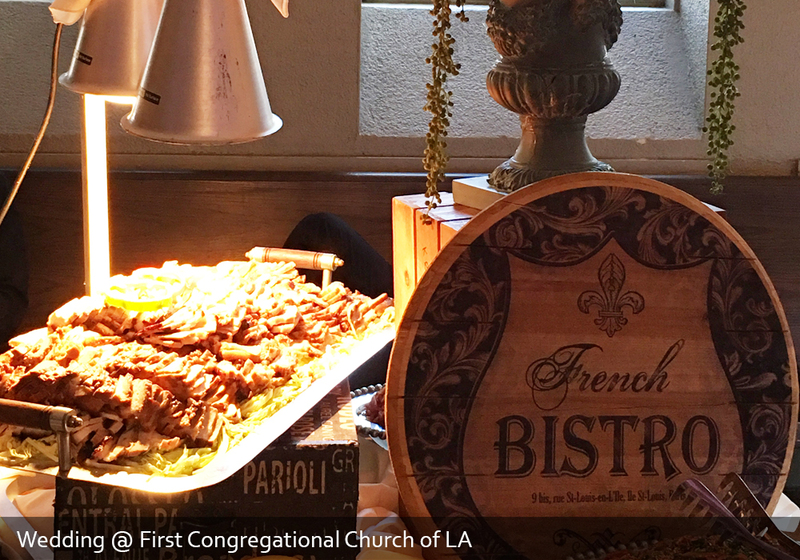 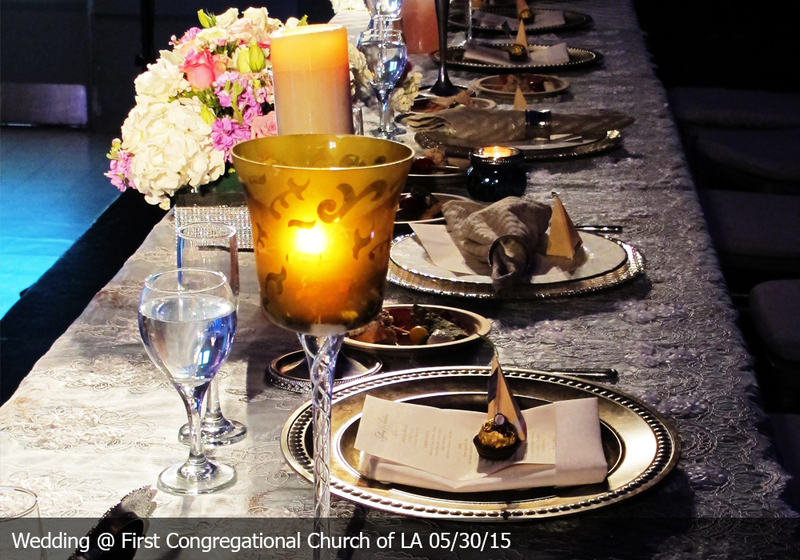 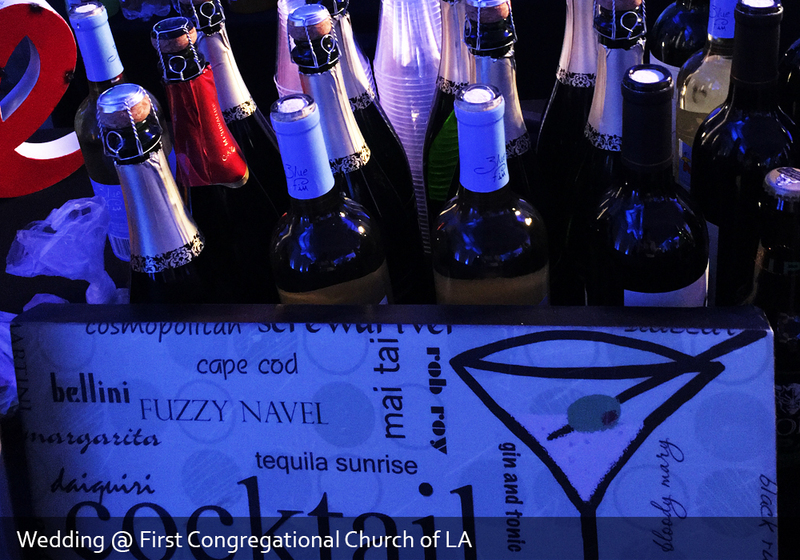 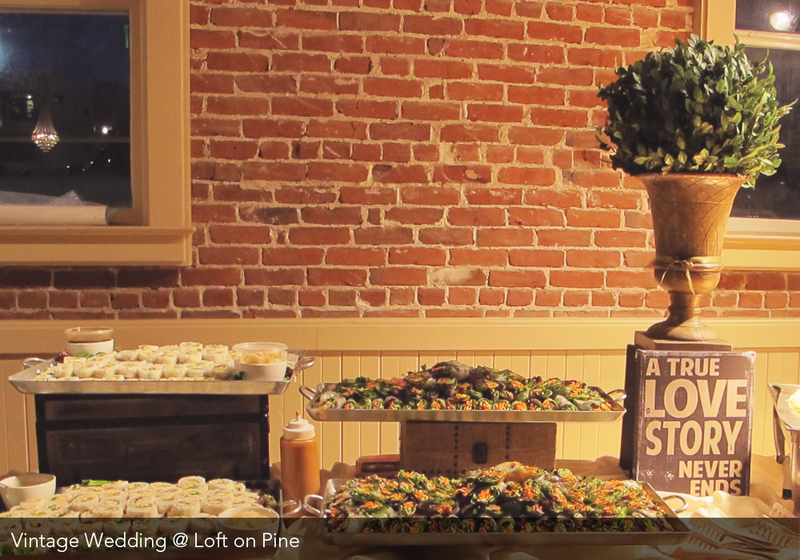 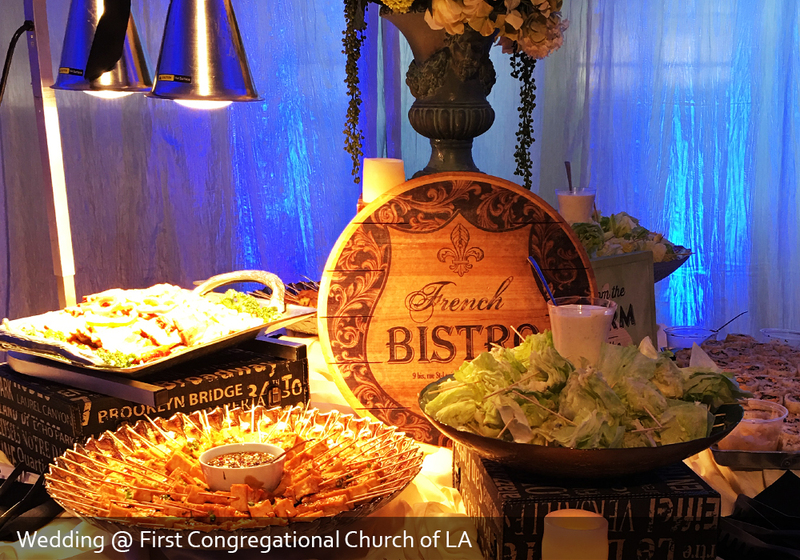 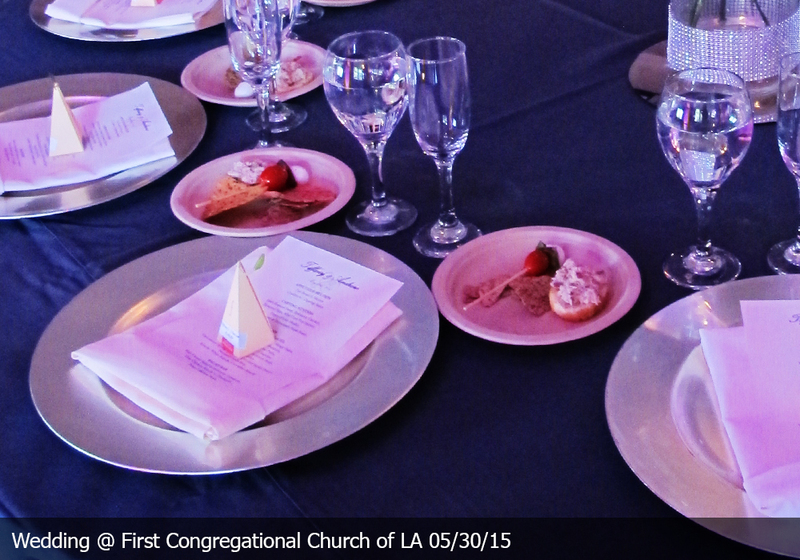 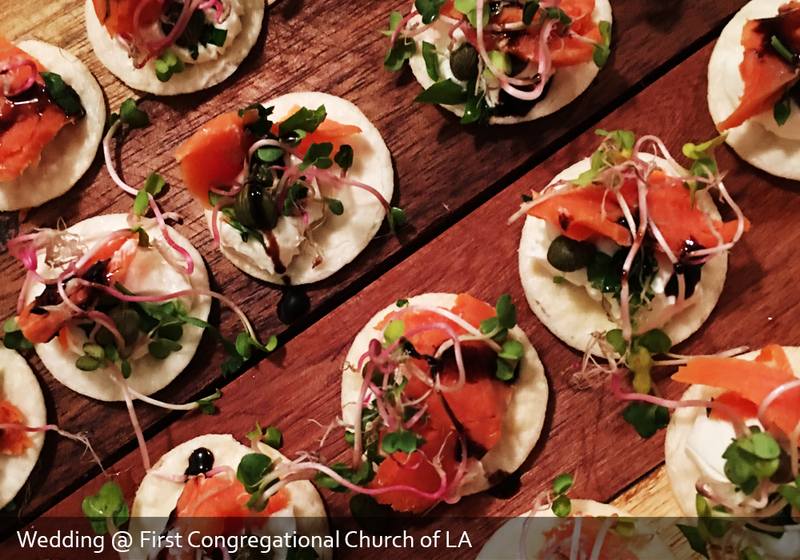 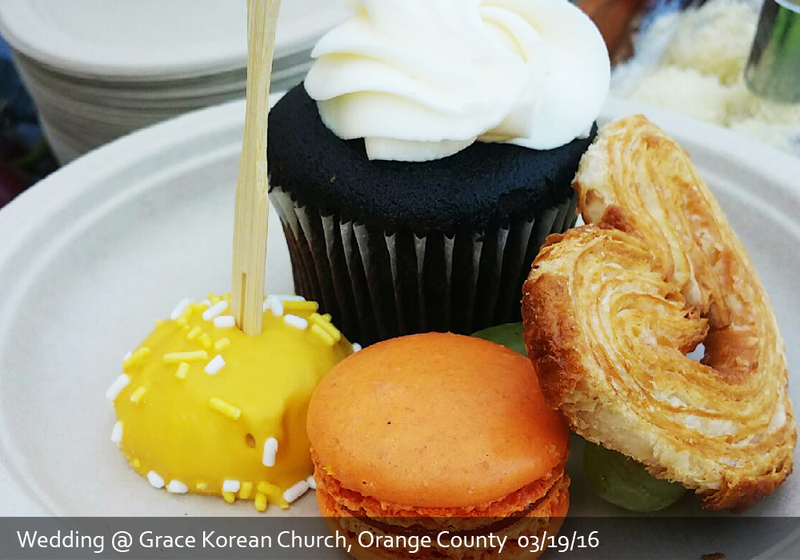 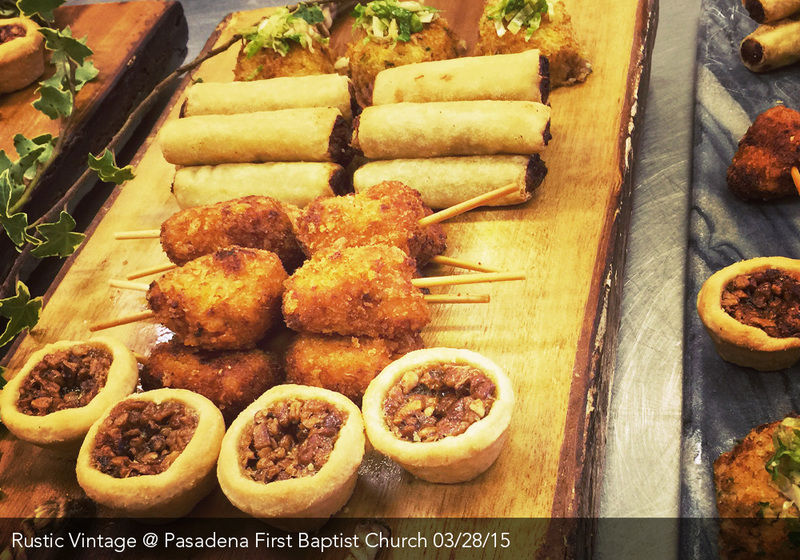 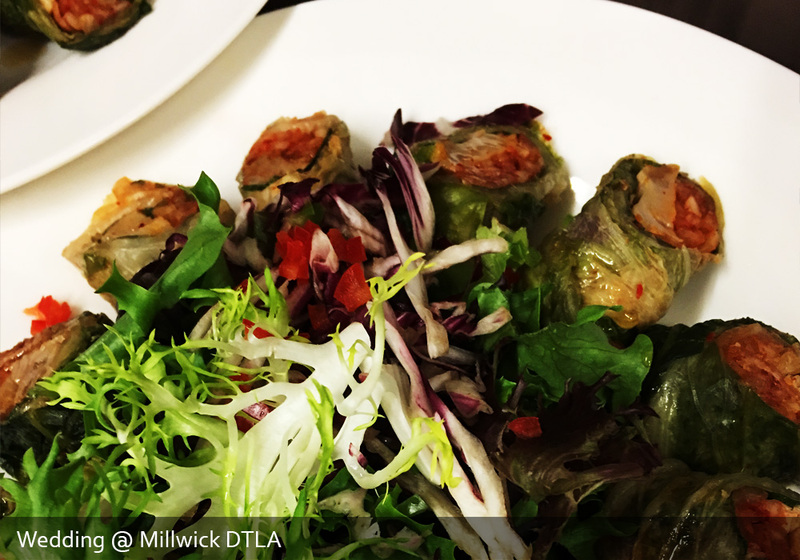 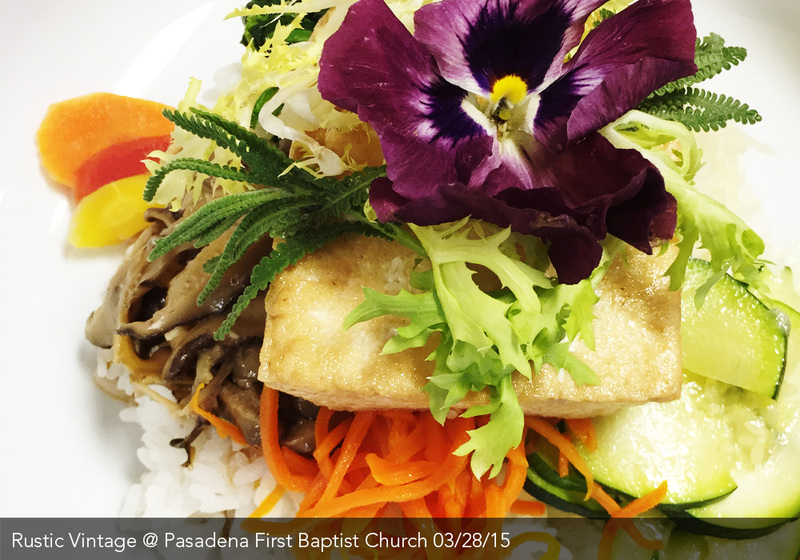 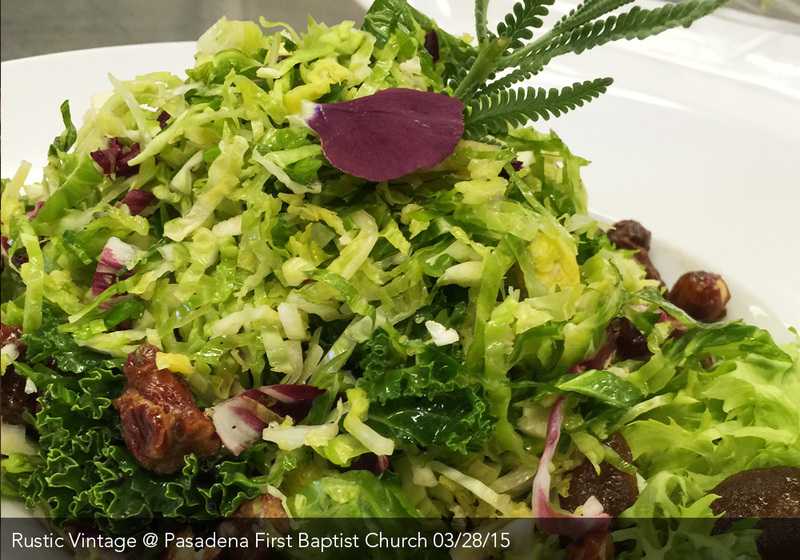 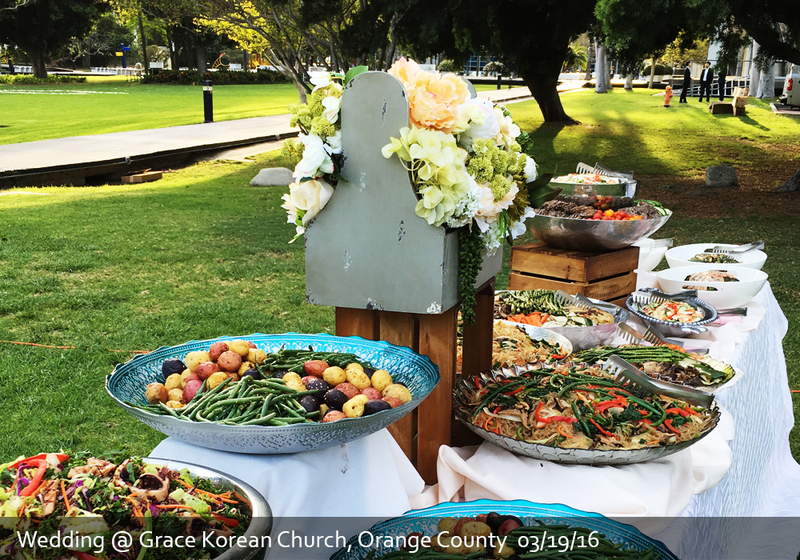 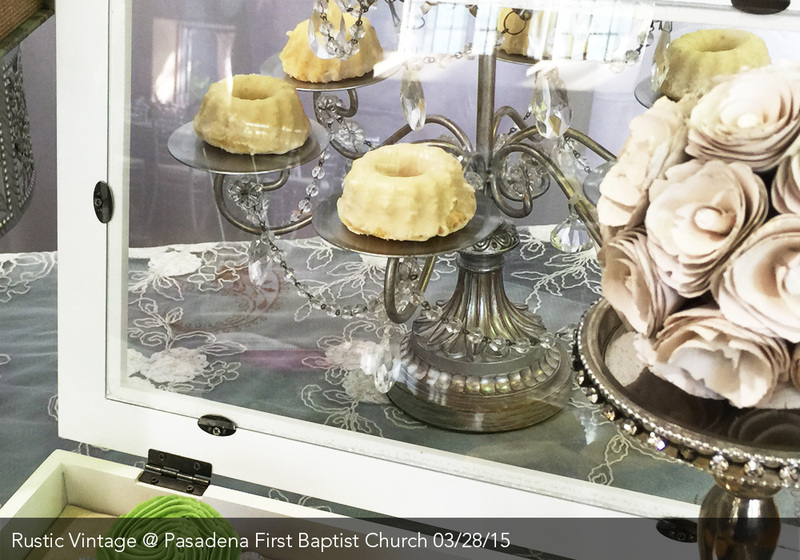 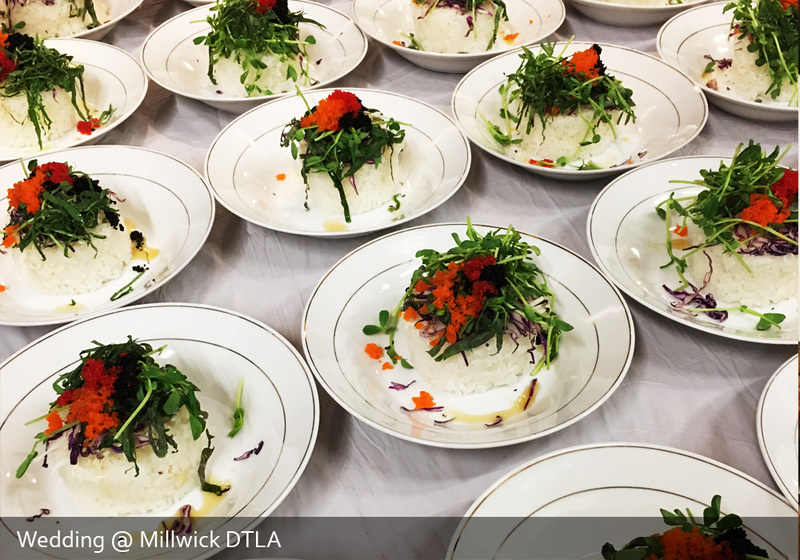 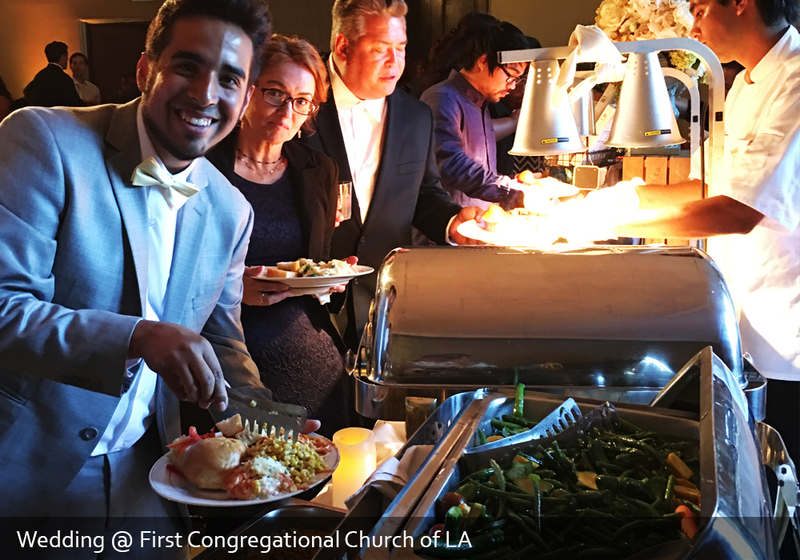 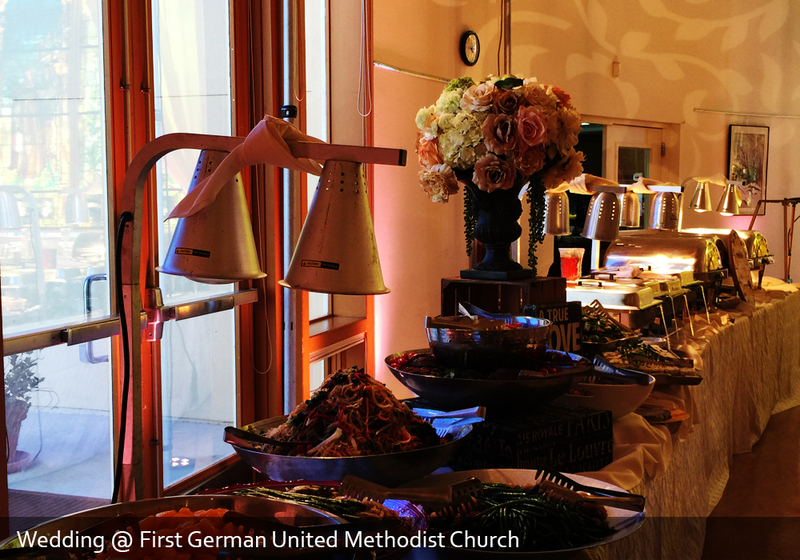 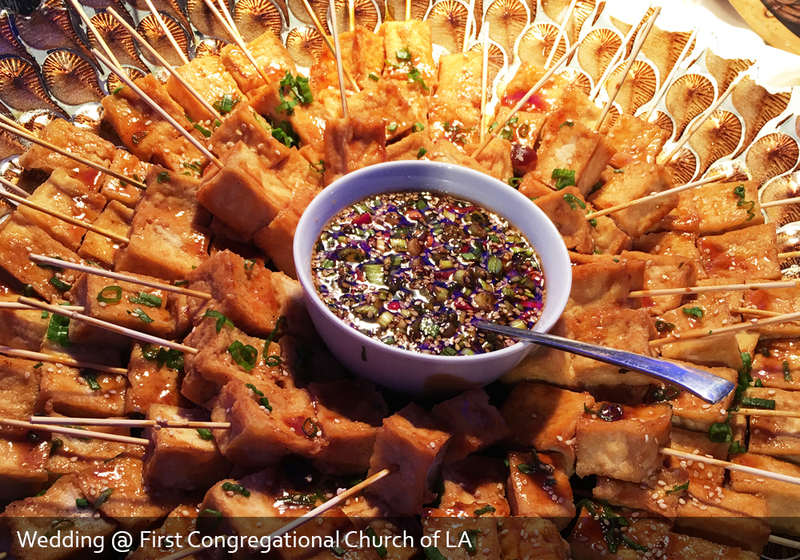 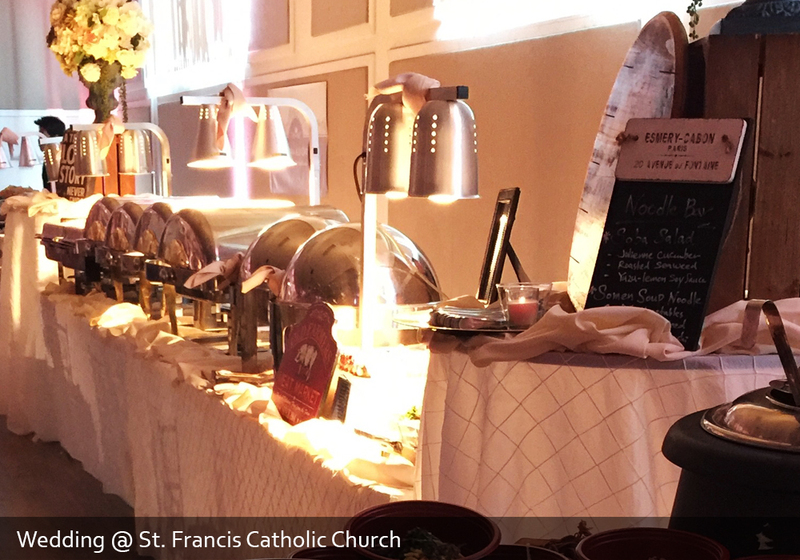 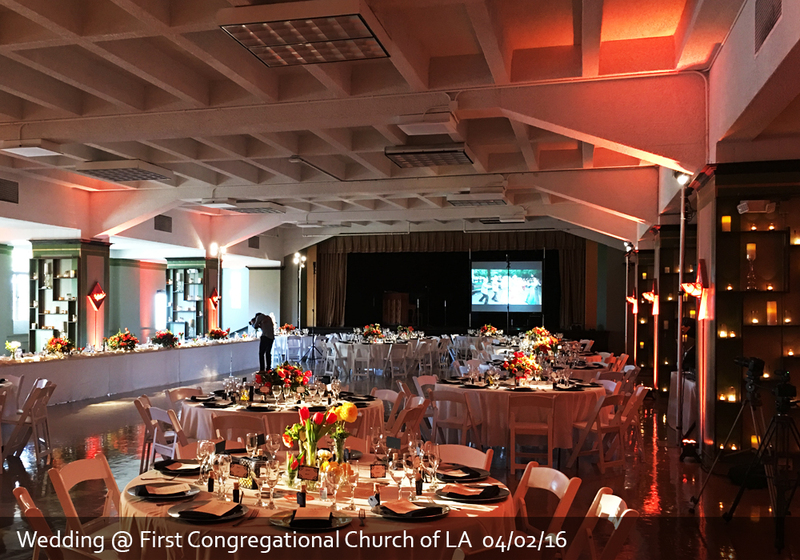 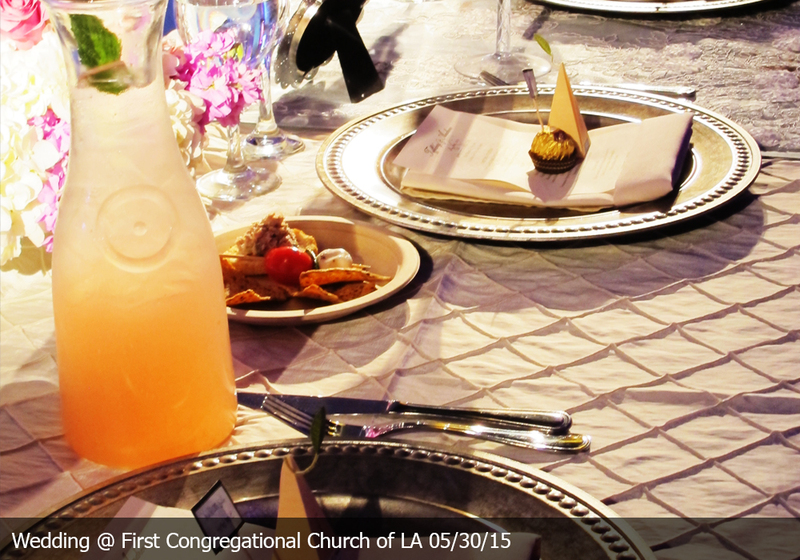 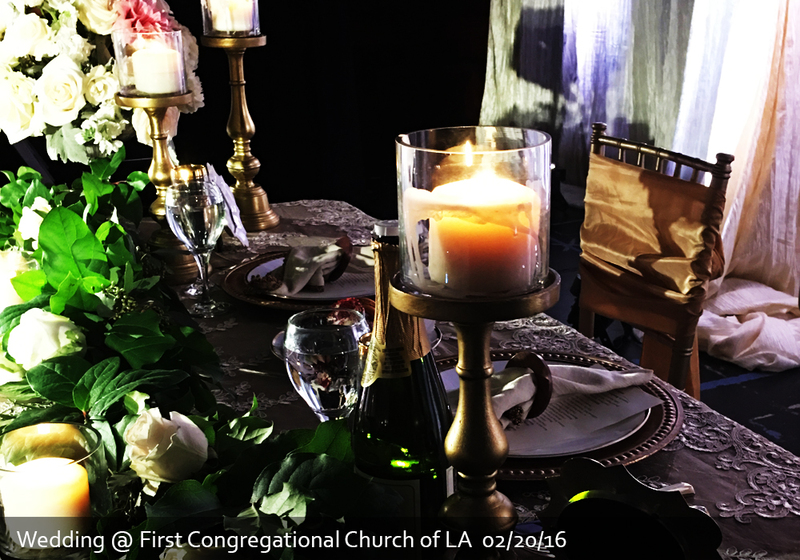 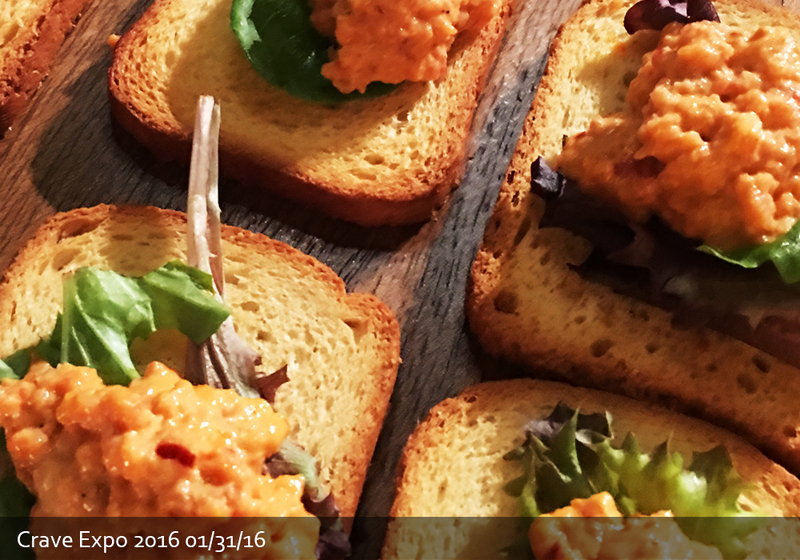 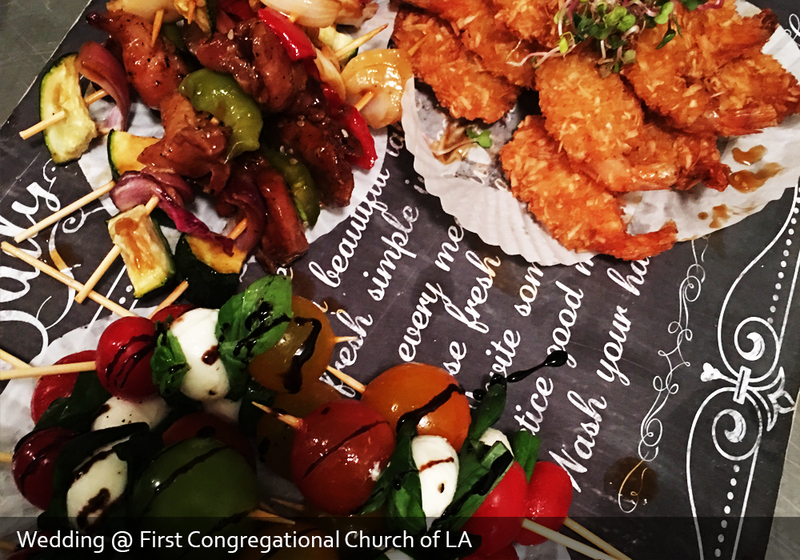 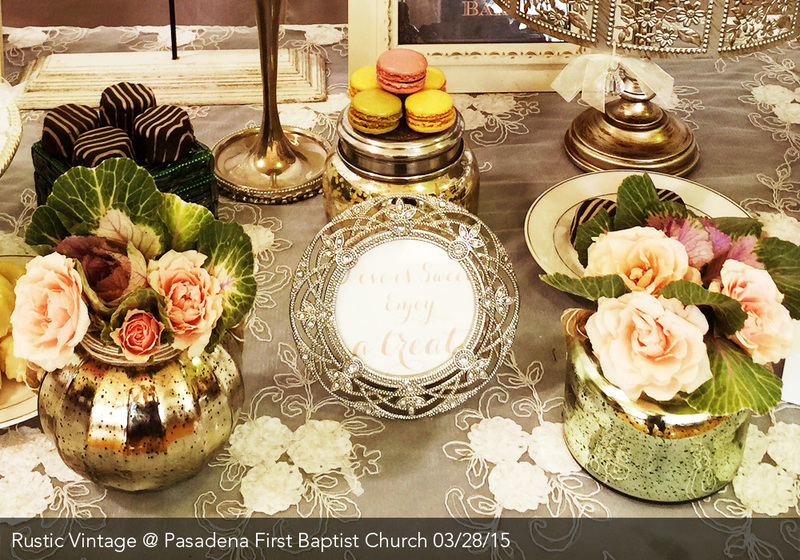 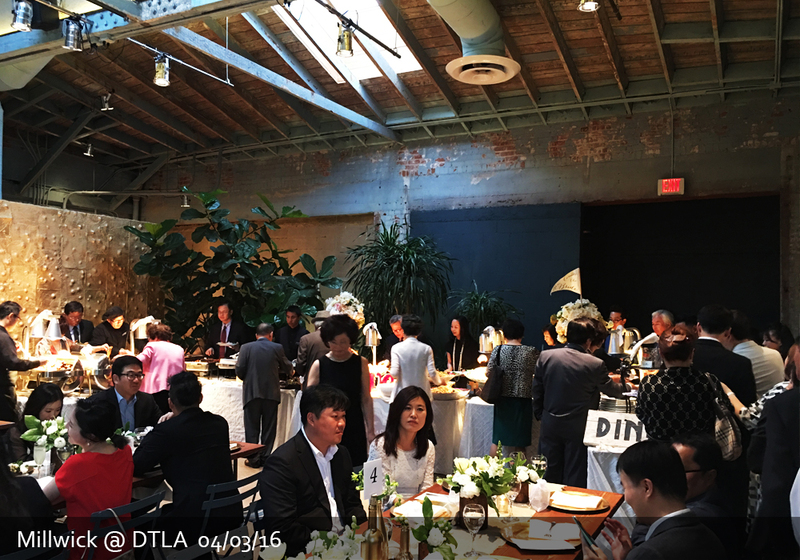 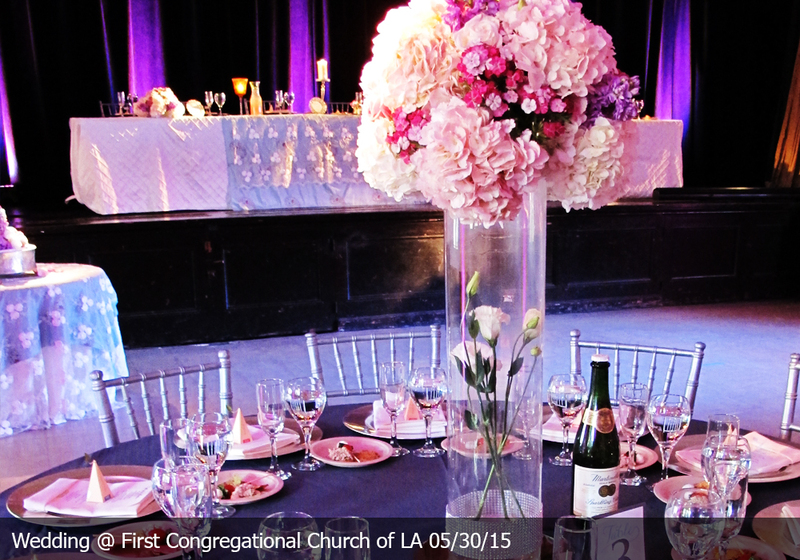 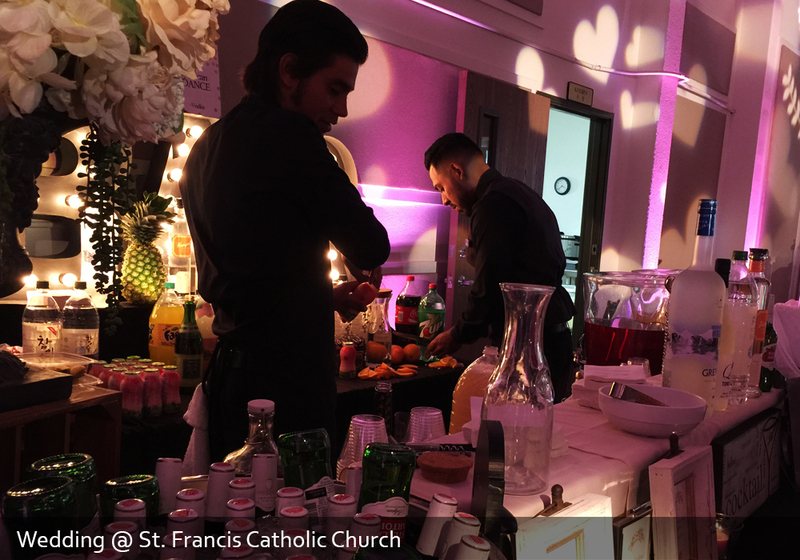 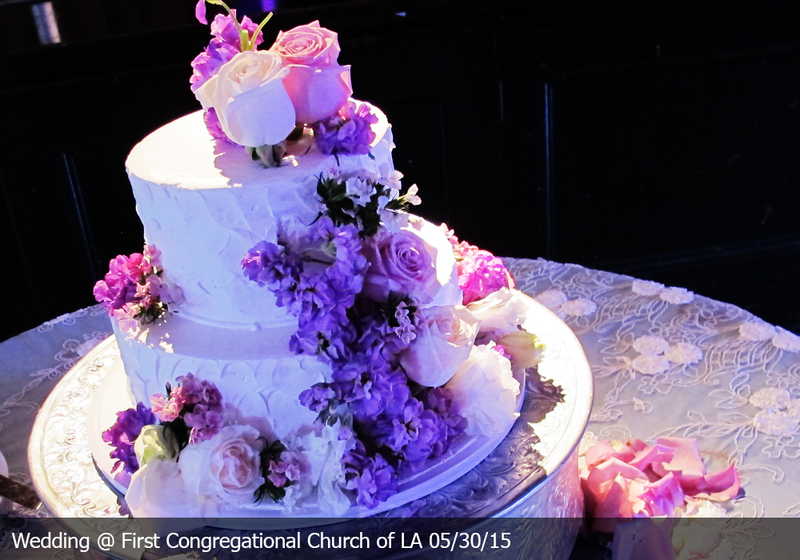 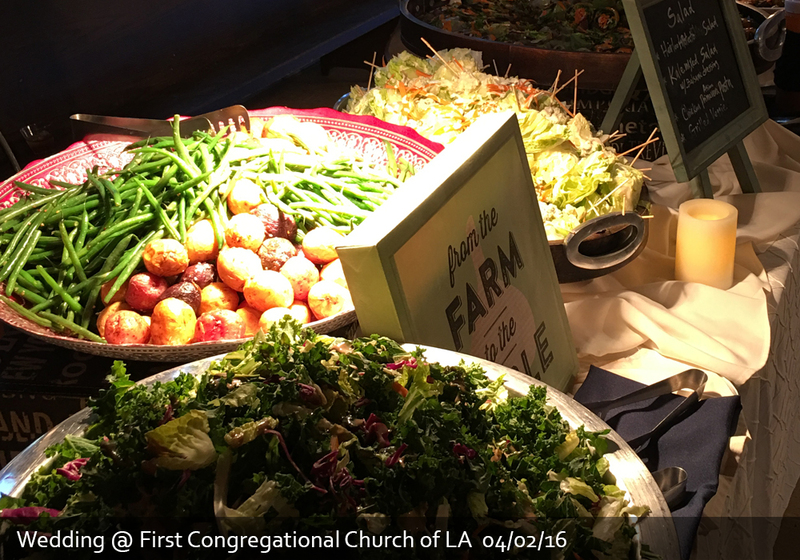 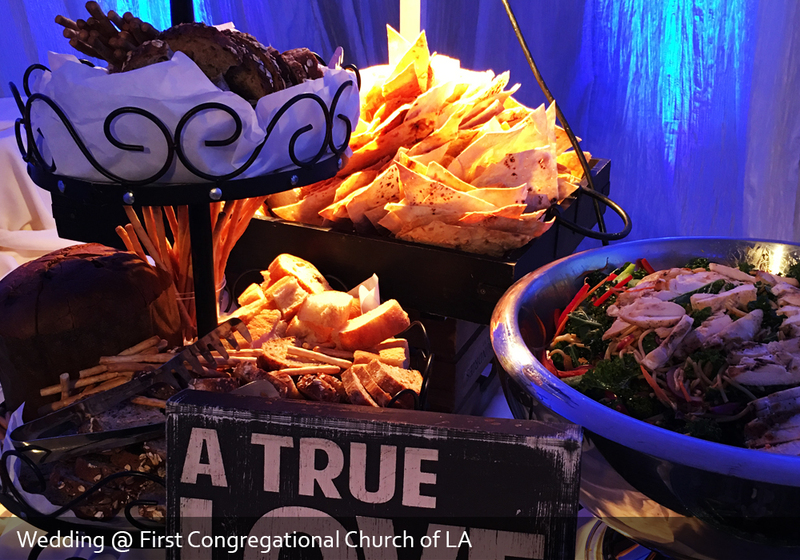 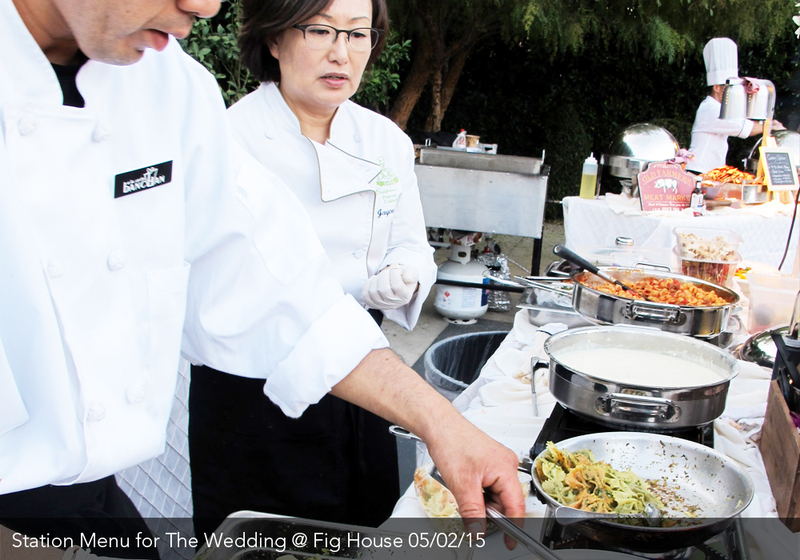 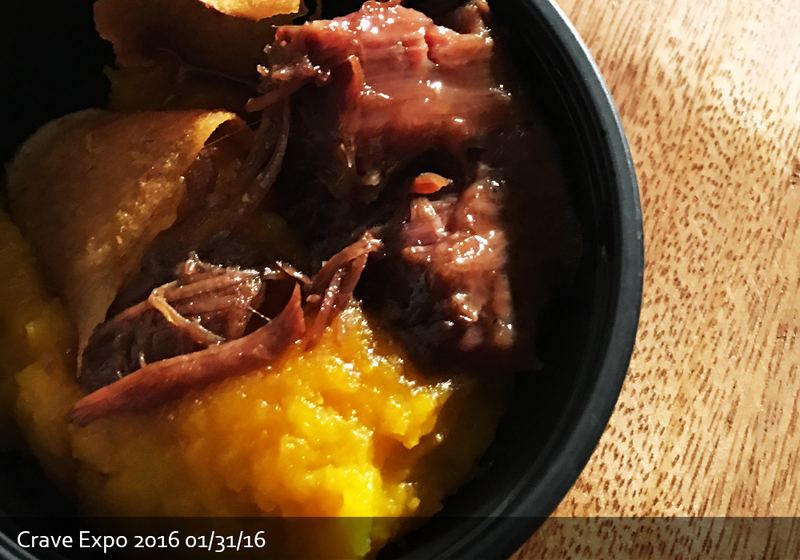 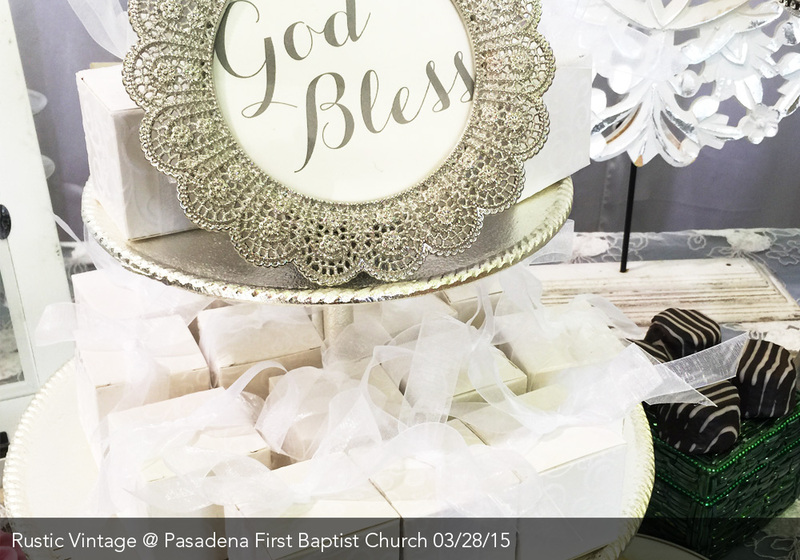 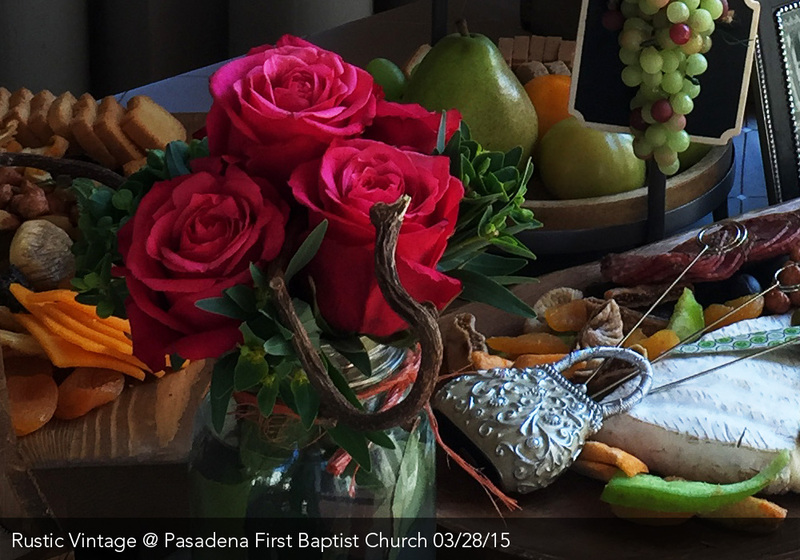 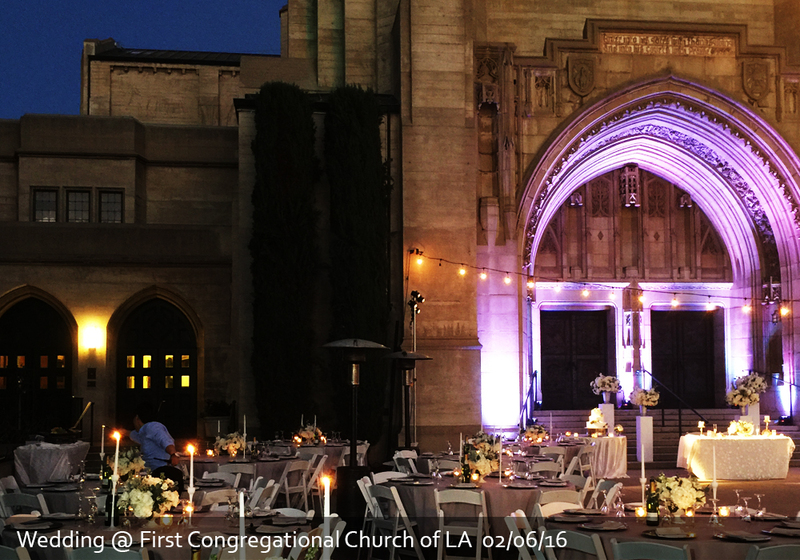 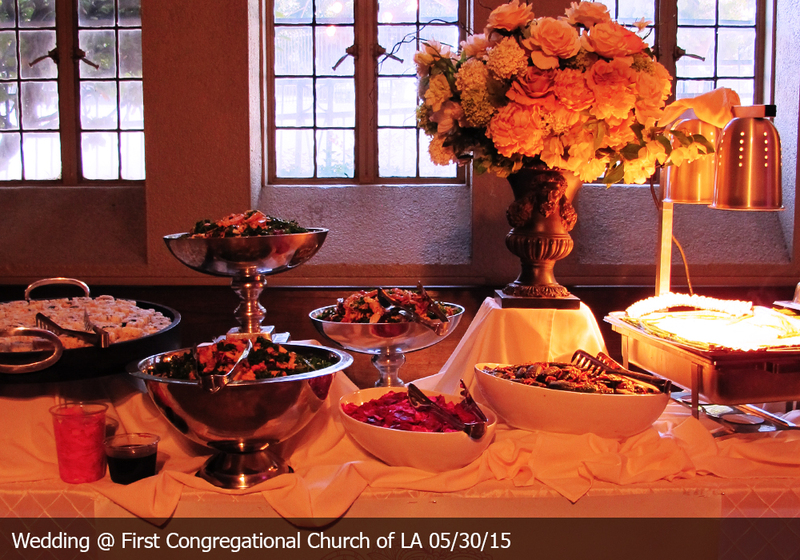 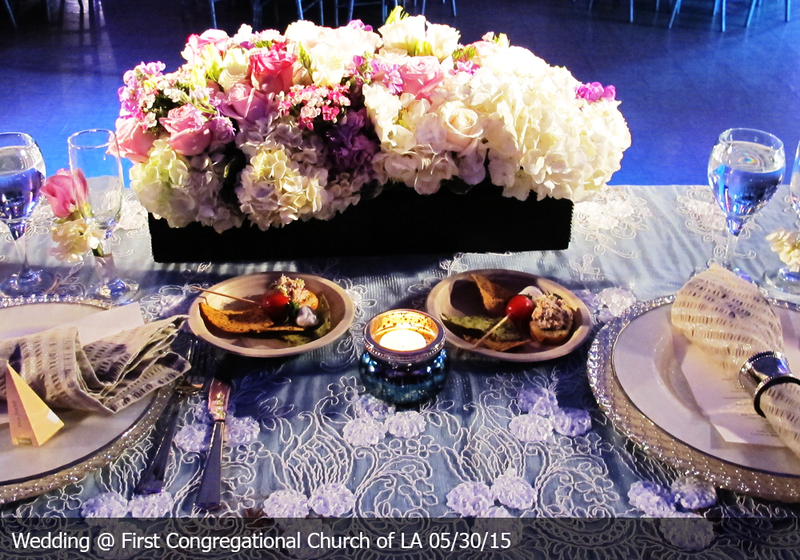 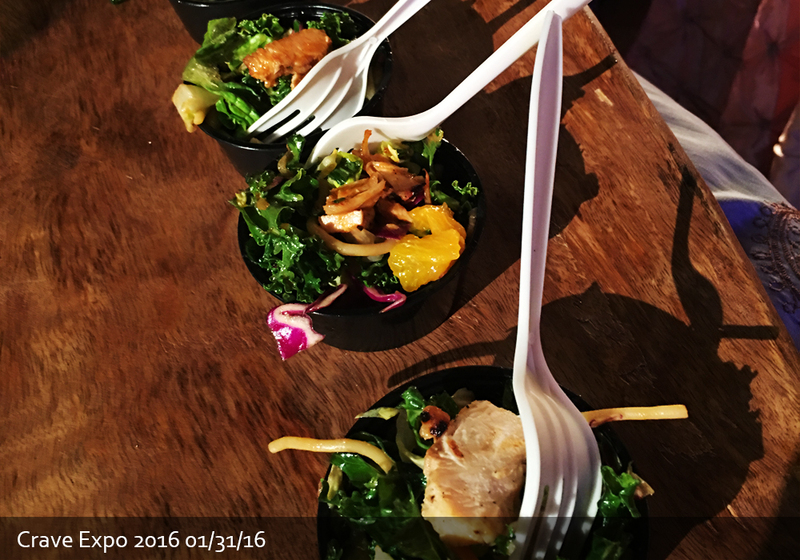 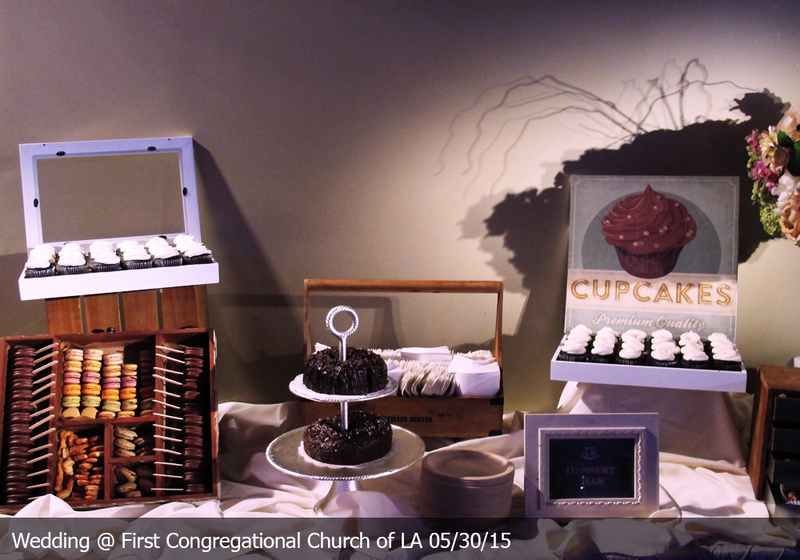 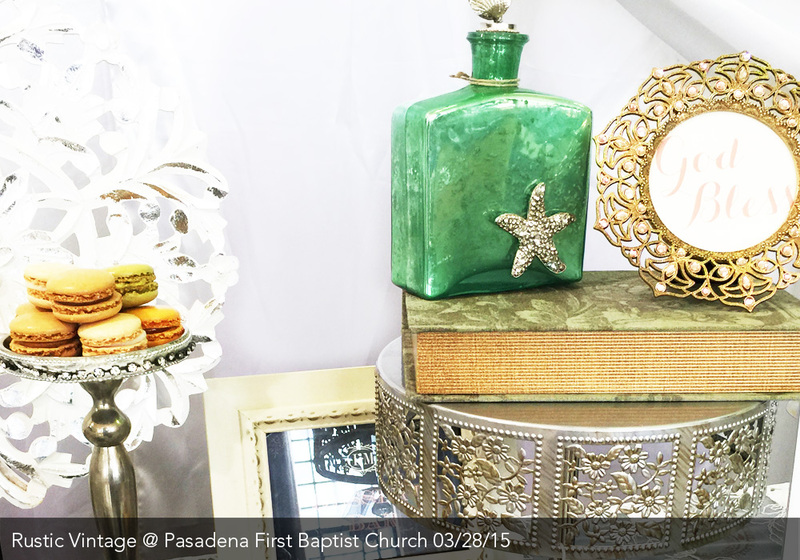 Banchan a la Carte is proudly listed as the preferred professional caterers for First Congregational Church of Los Angeles. 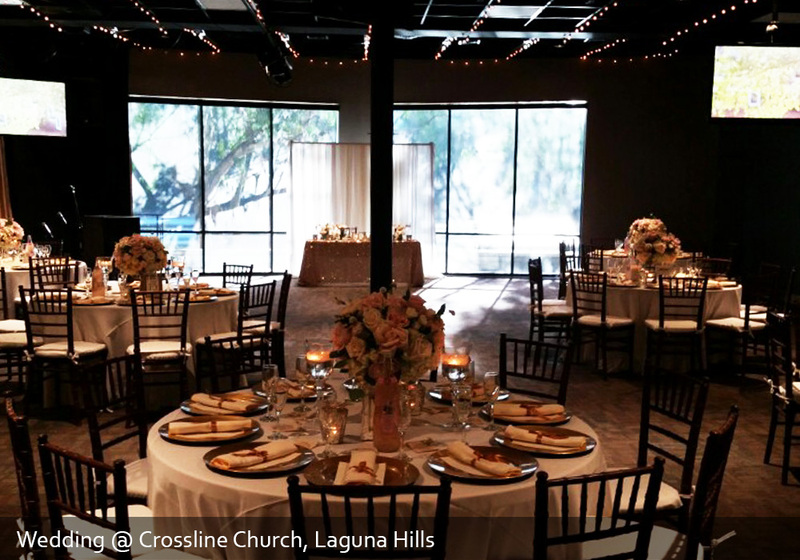 FCCLA has a variety of spaces suitable for indoor or outdoor receptions. 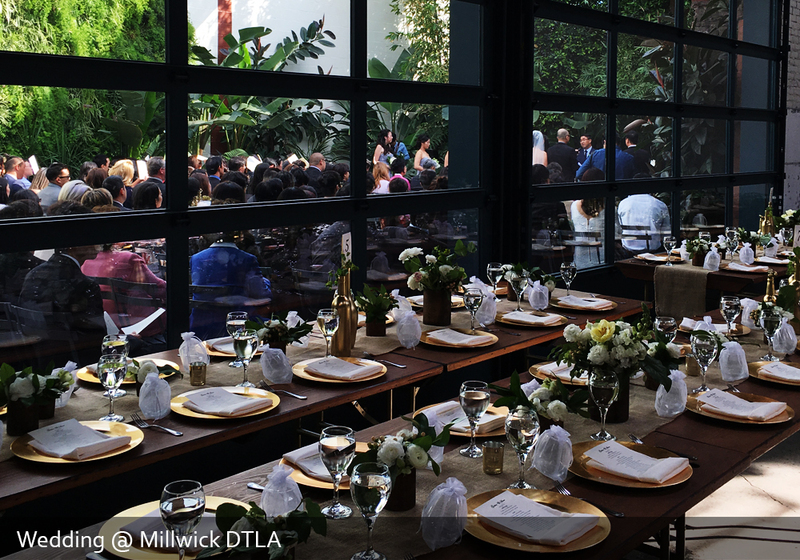 From intimate garden cocktails to formal dining for 300, this venue can be transformed to your unique style and vision. 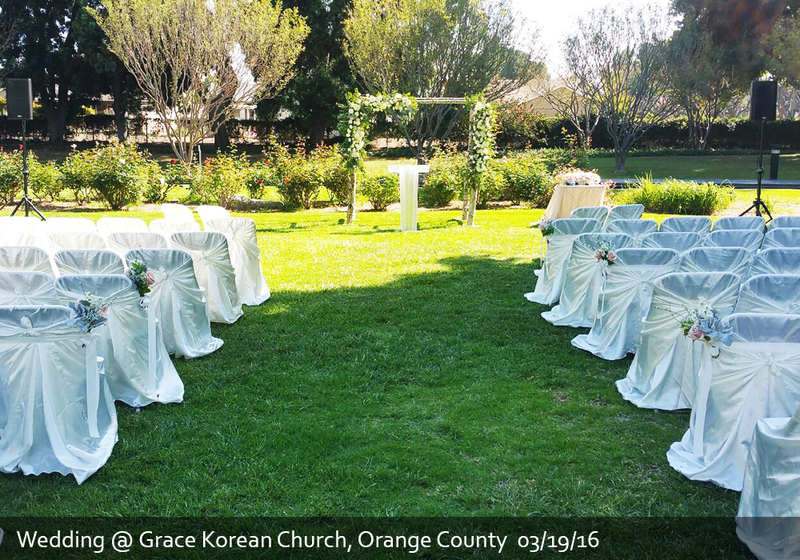 We appreciate to be a part of wedding ceremony at the church. 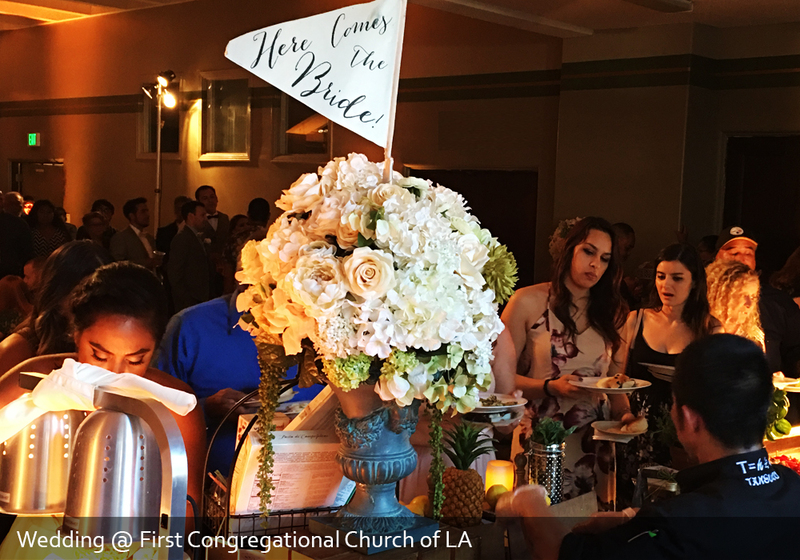 It is graceful to watch the whole church community celebrating and blessing the new couple on their very special moment. 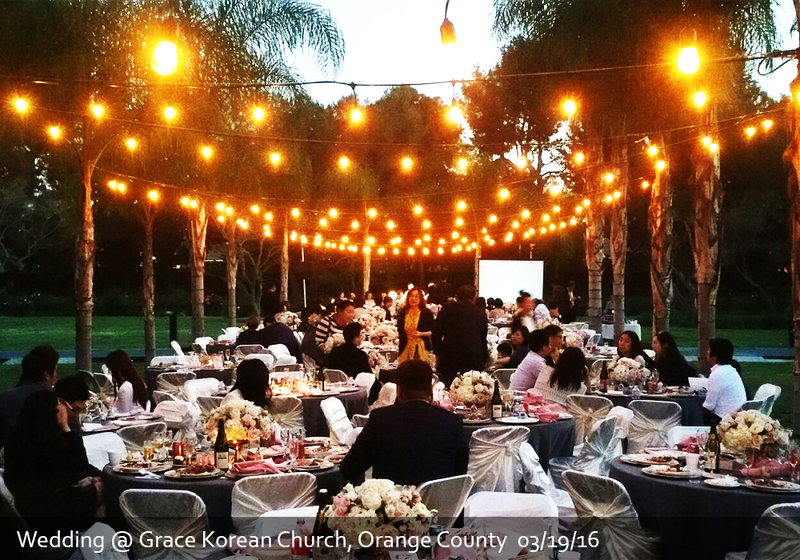 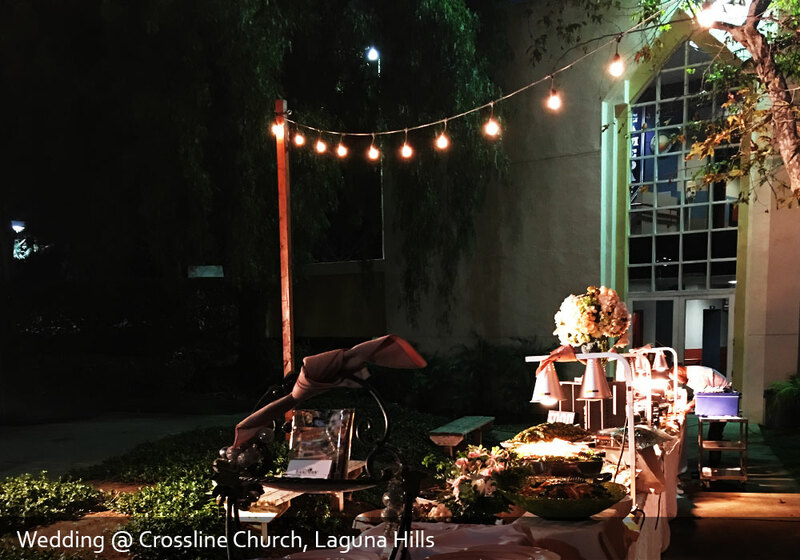 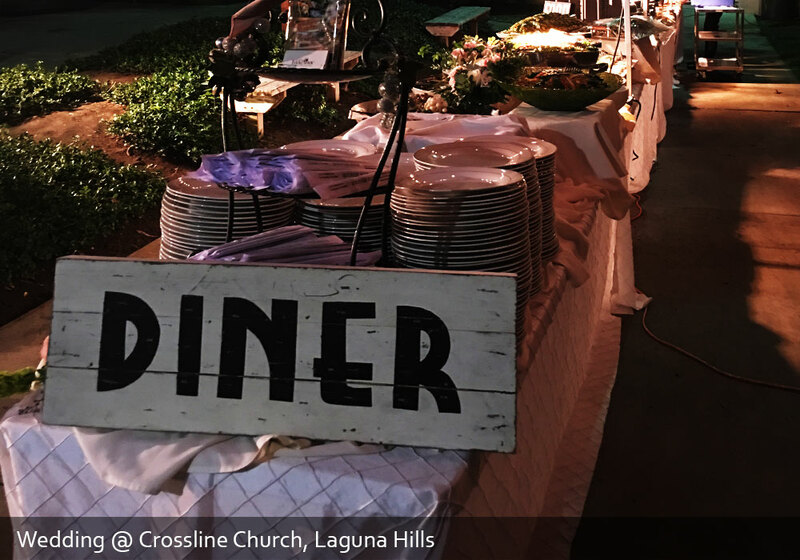 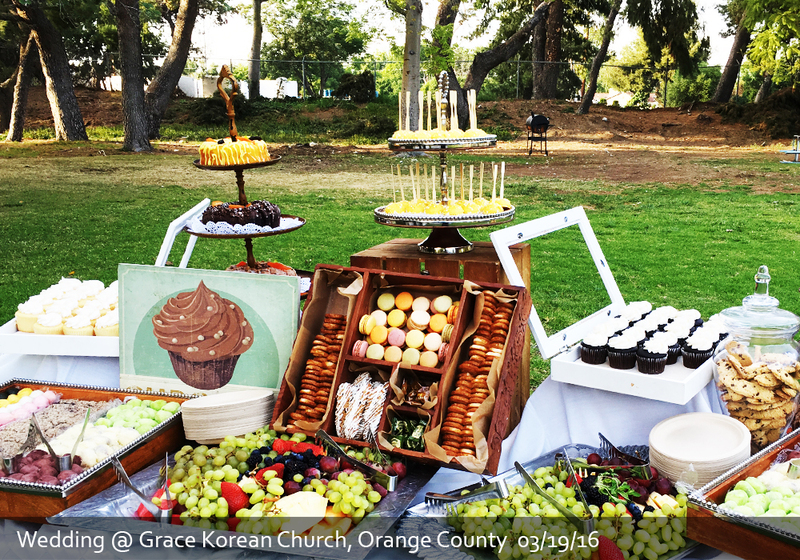 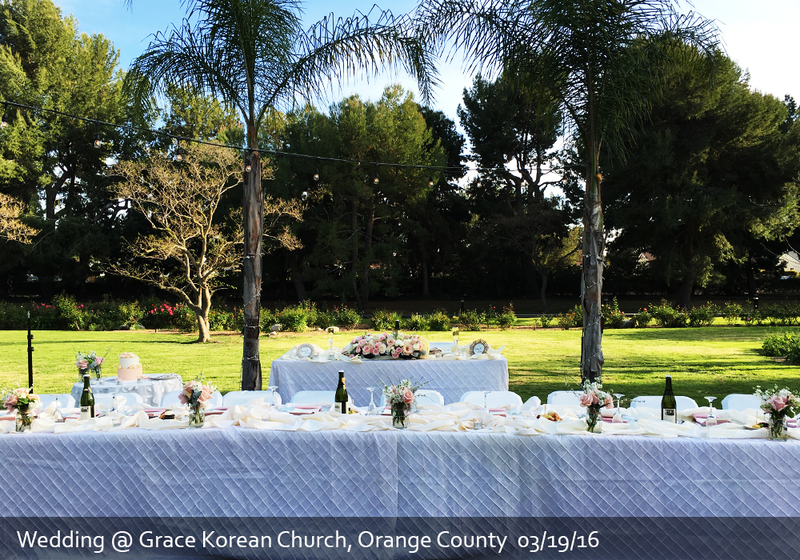 This intimate garden wedding at the Grace Korean Church in Orange County reminds us how we are united with neighbors and communities. 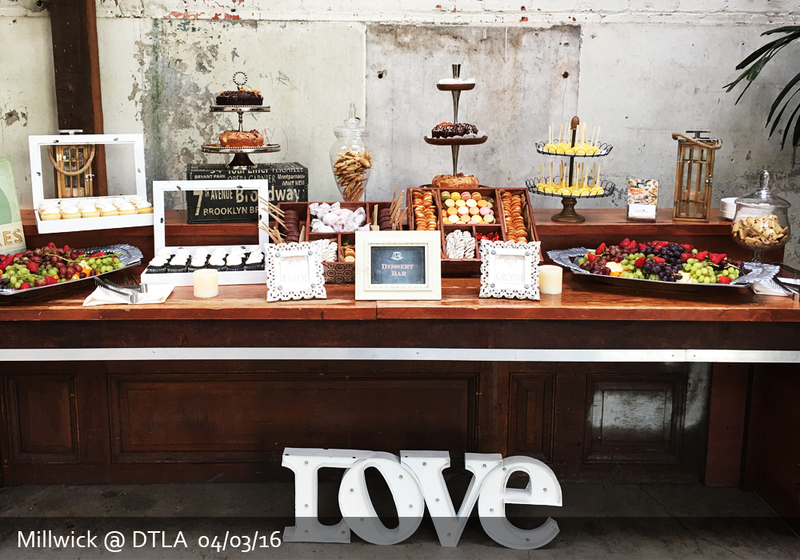 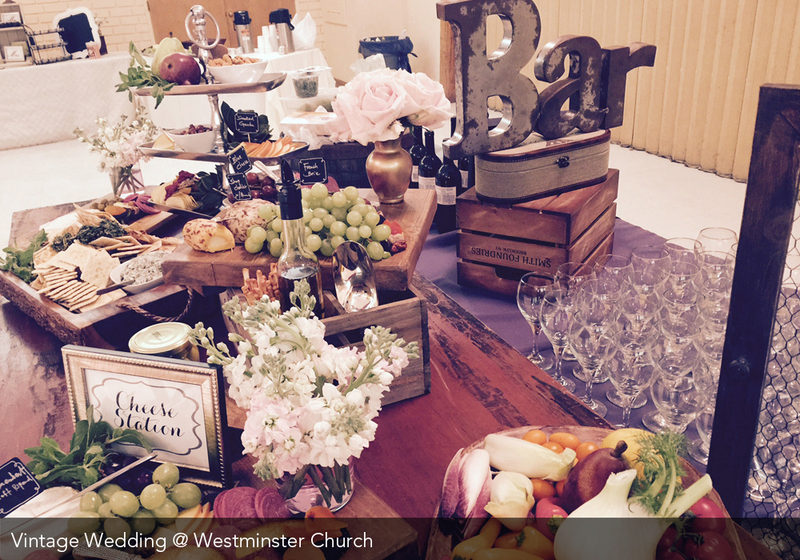 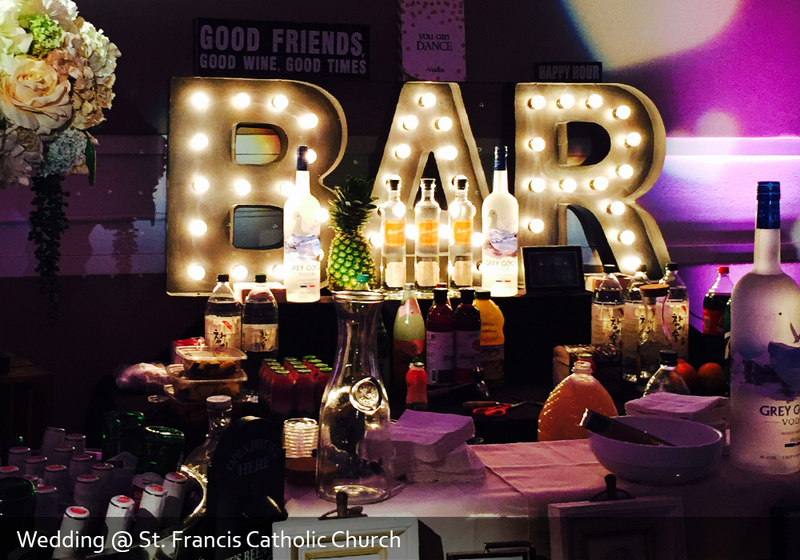 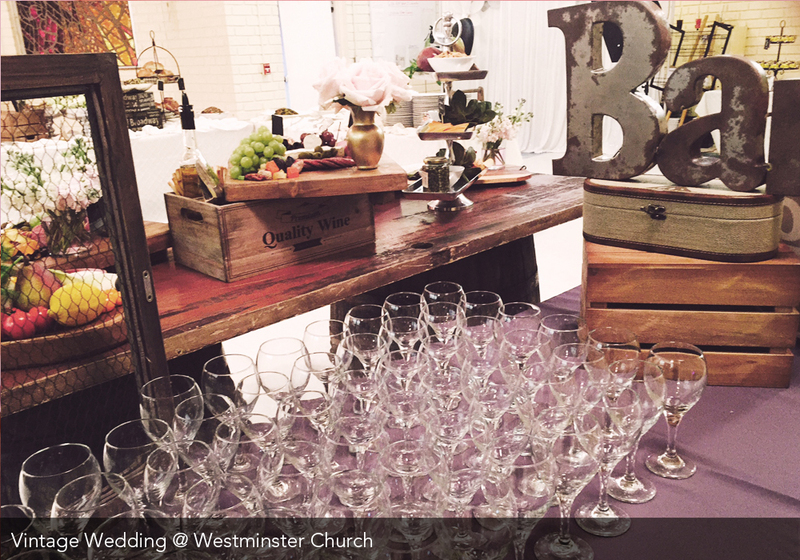 It is time to transform an industrial space into a rustic chic venue with personalised touches. 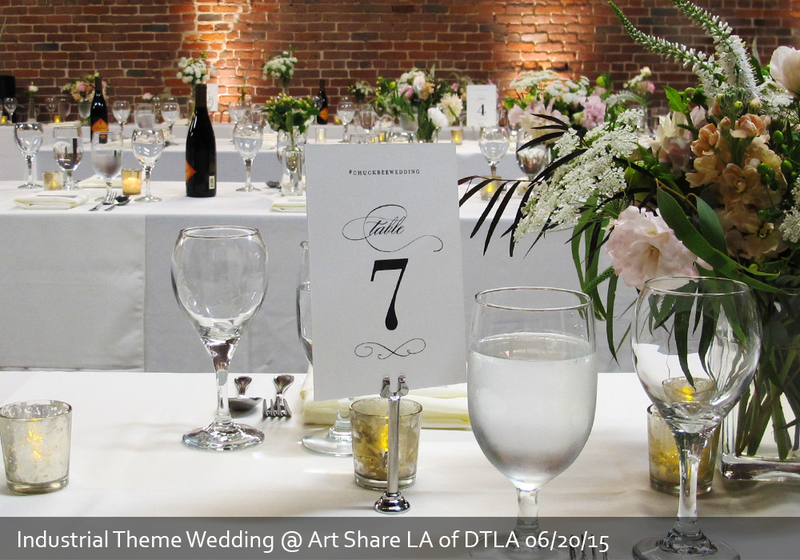 This casual but polished detailed style became the latest trend to hit the wedding scene. 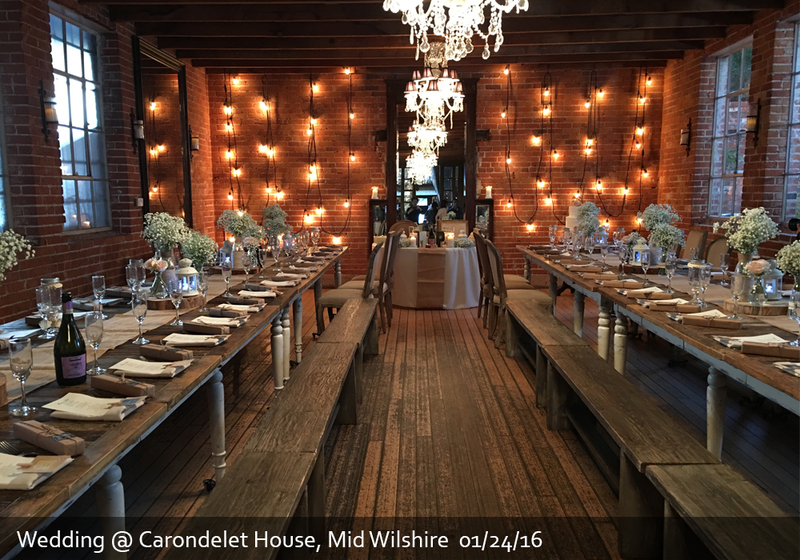 Set apart by its edgy, rough ambience, this unique style, which comes with rustic light bulbs and antique metal chairs, has gorgeous qualities to set the lastest hip mode. 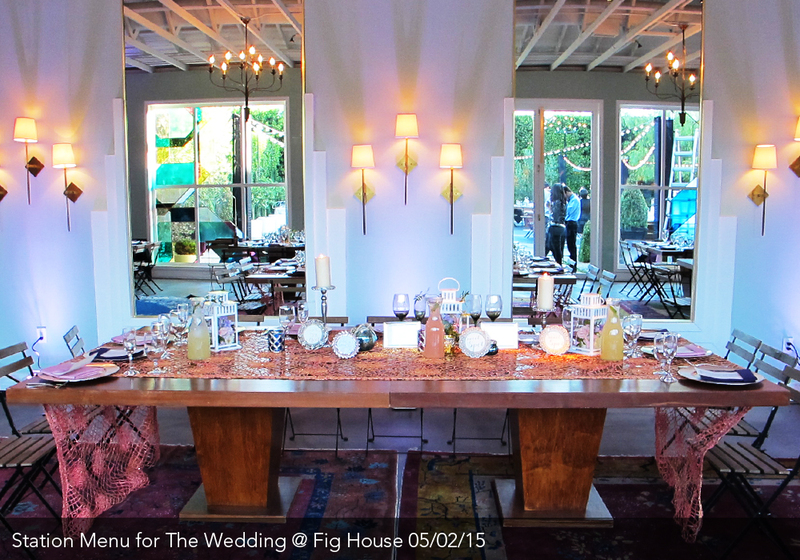 It is perfect for the couple who are looing for intage-inspired designs, yet with modern twist. 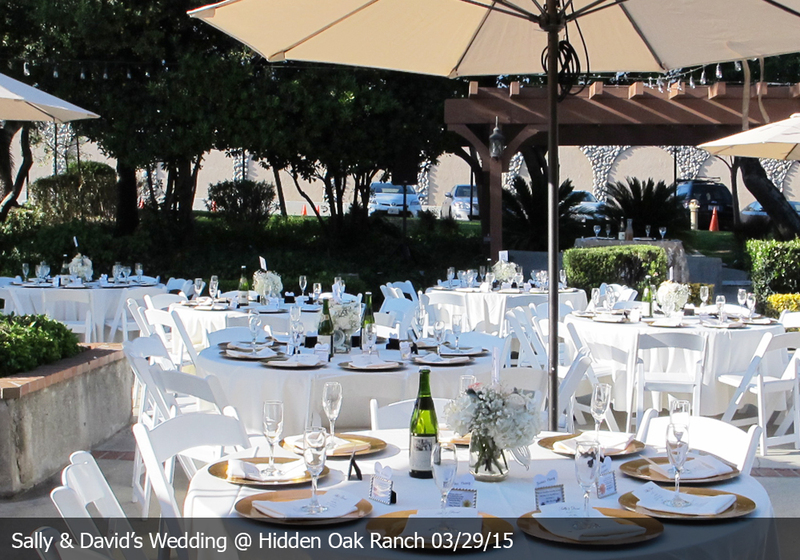 Outdoor wedding venues suit a natural-themed, fantastically romantic wedding. 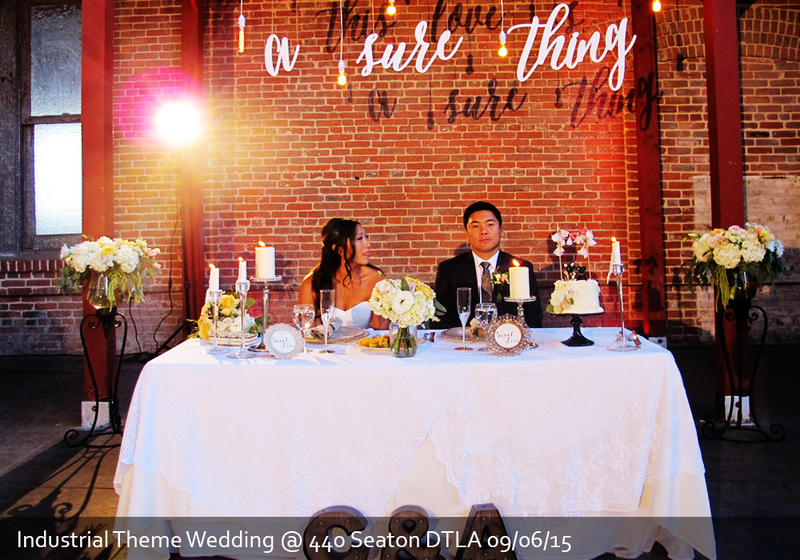 The scenery provides you with photographs that look just amazing and also help the bride save on money, as natural green will provide a lot of the decorations. 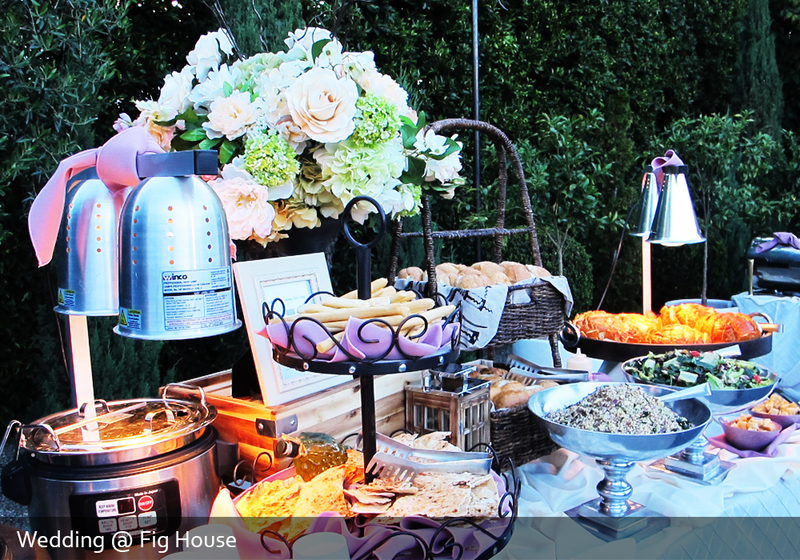 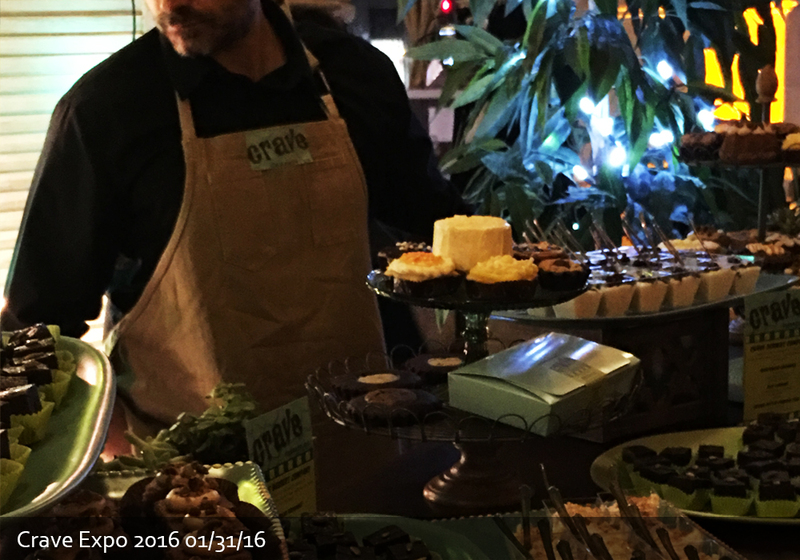 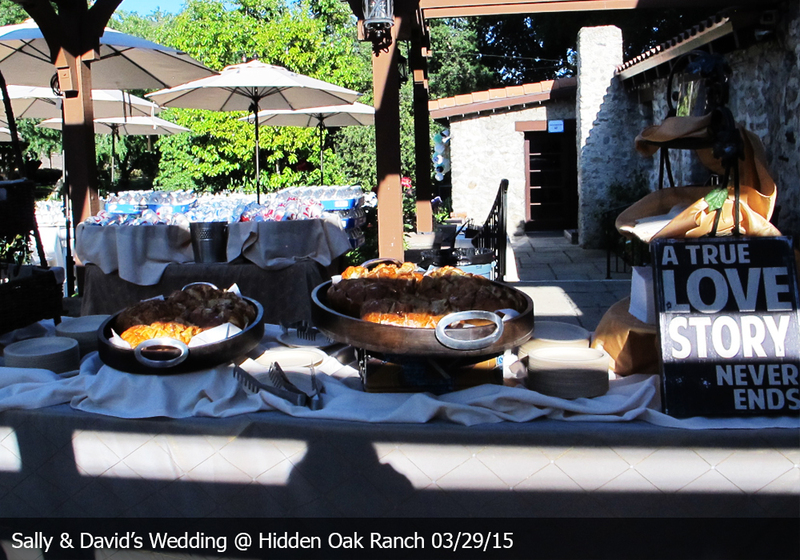 Having nearby building for catering station protect the succulent cuisine from the uninvited flying guests. 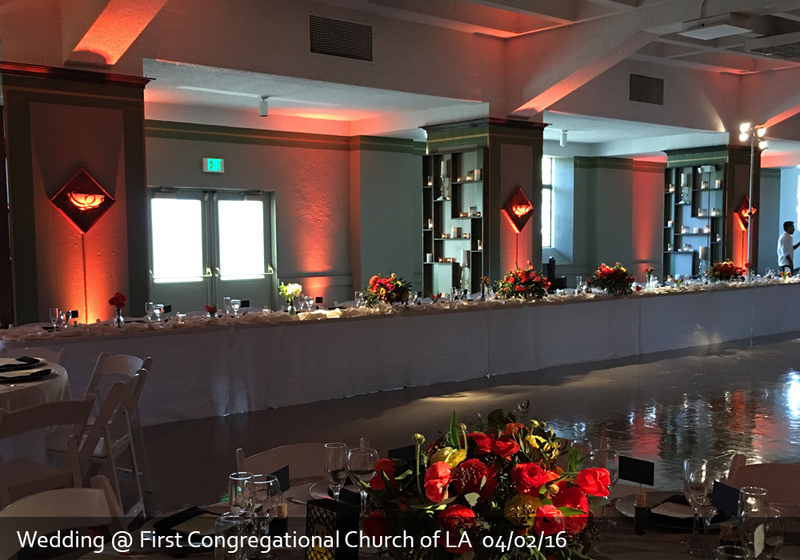 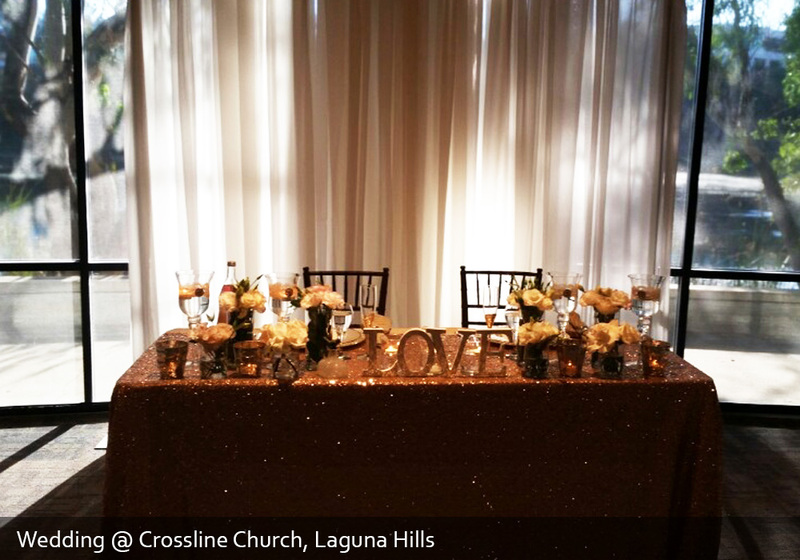 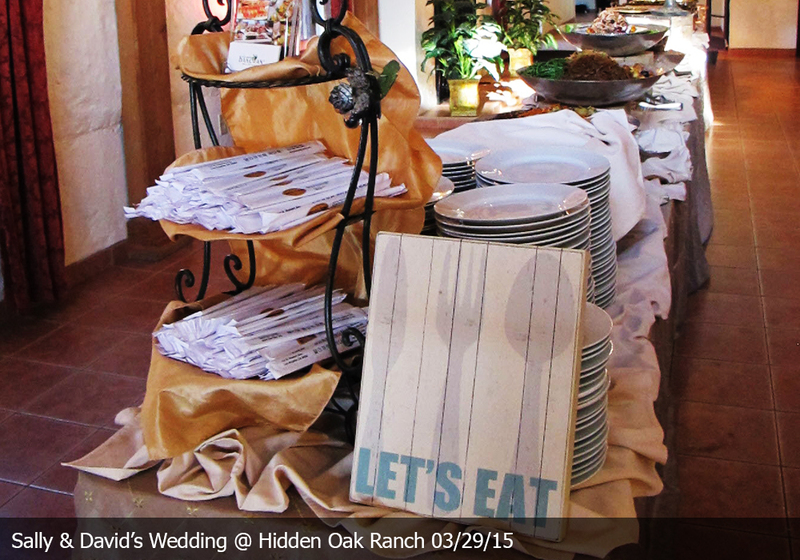 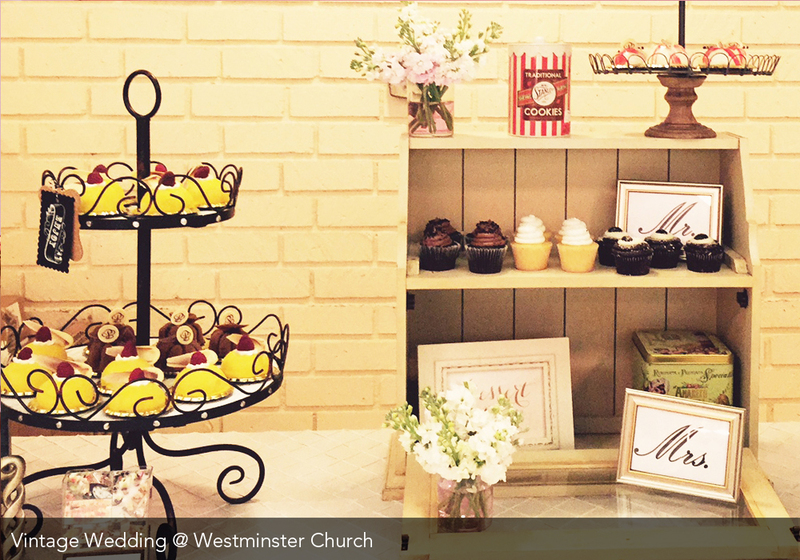 Station style is perfect for the guests with variety style and background. 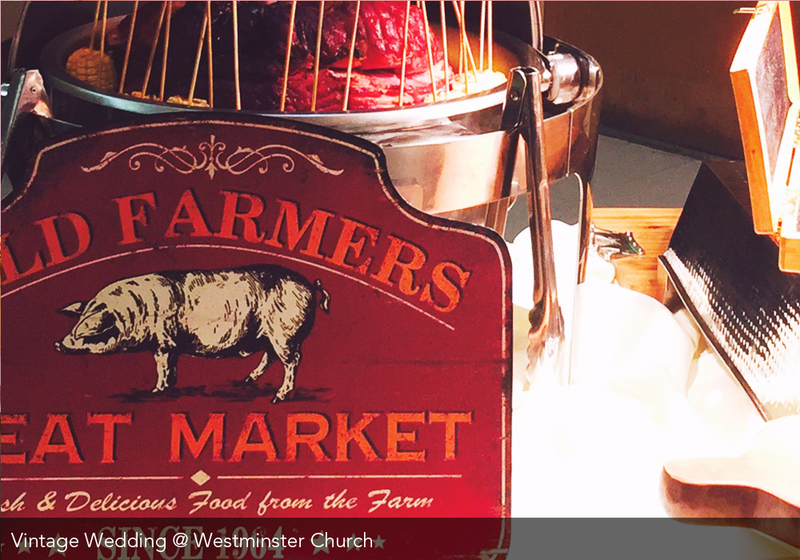 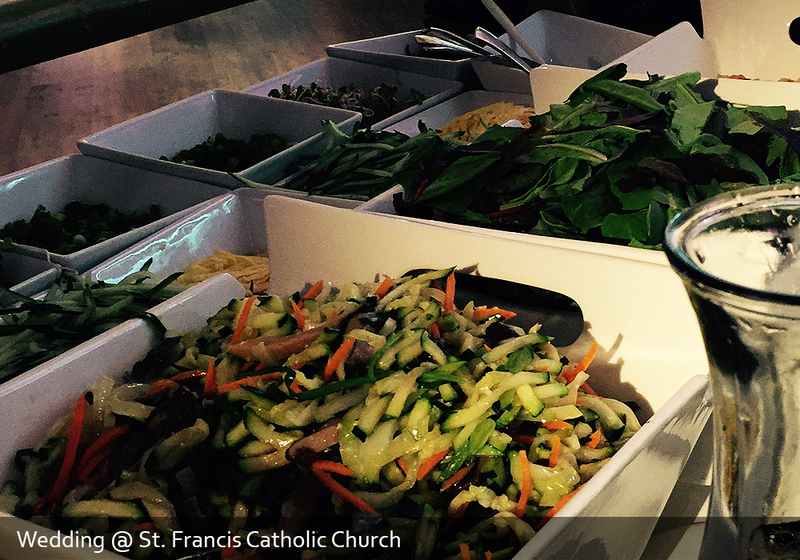 Whether you want eastern, western, full of meat, raw fish, or fresh vegetables; each station will satisfy all tangs. 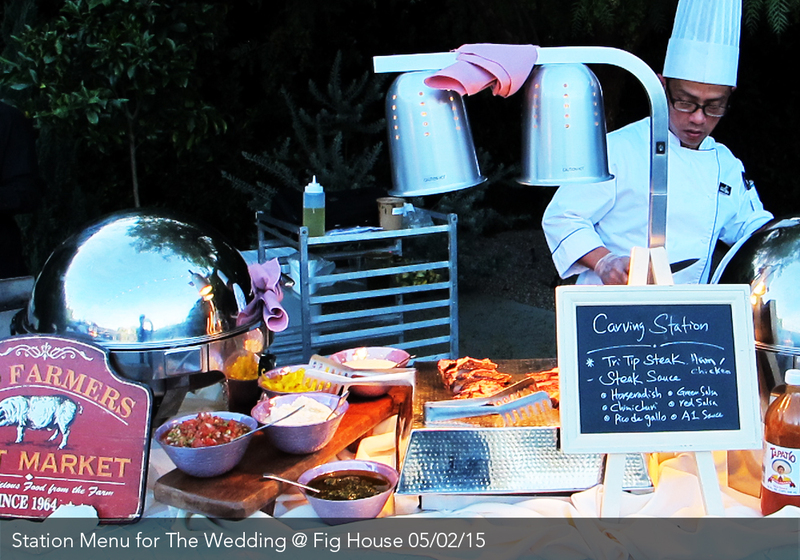 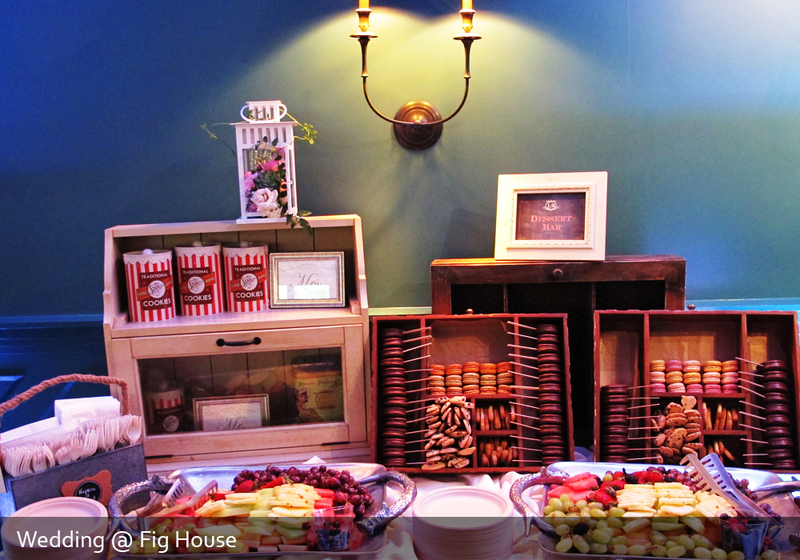 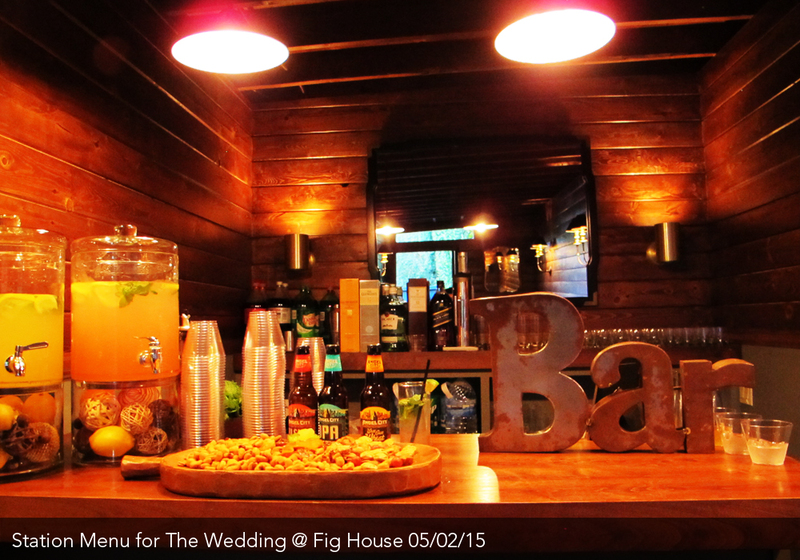 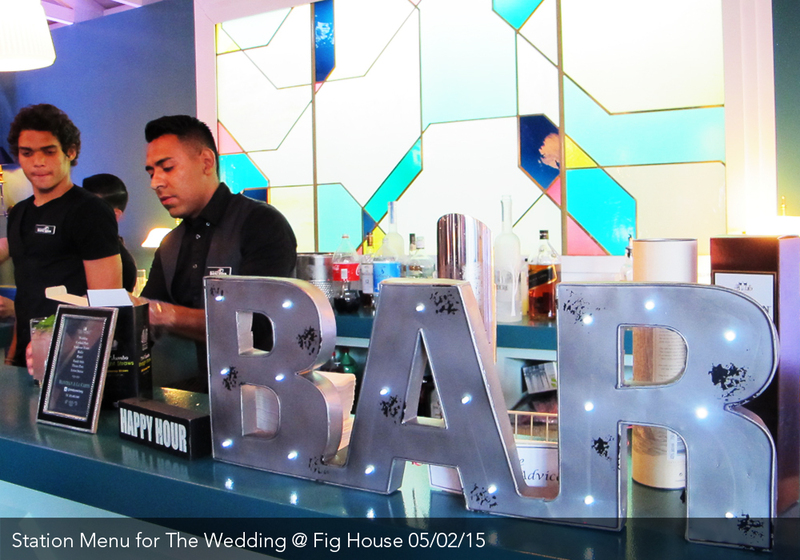 It sure worked for the wedding at Fig House. 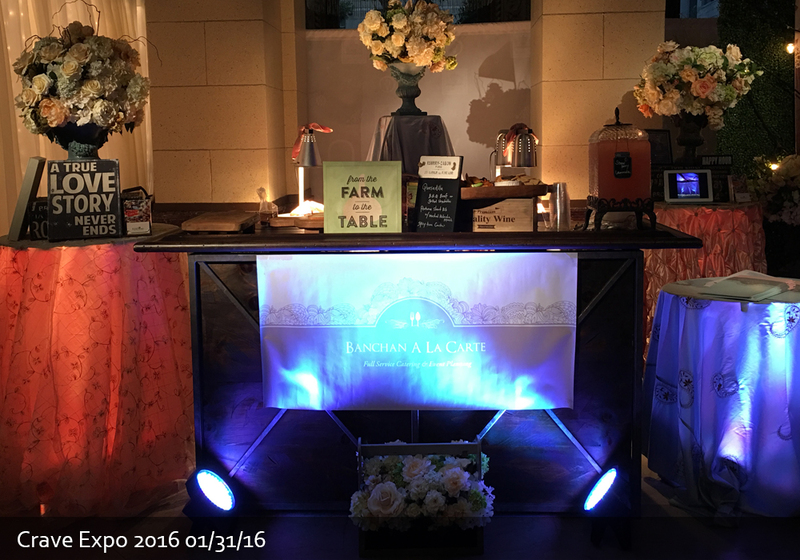 It was filled with natural rustic elements in shade of Earth and antique silver accents that upraised the mood glamorously. 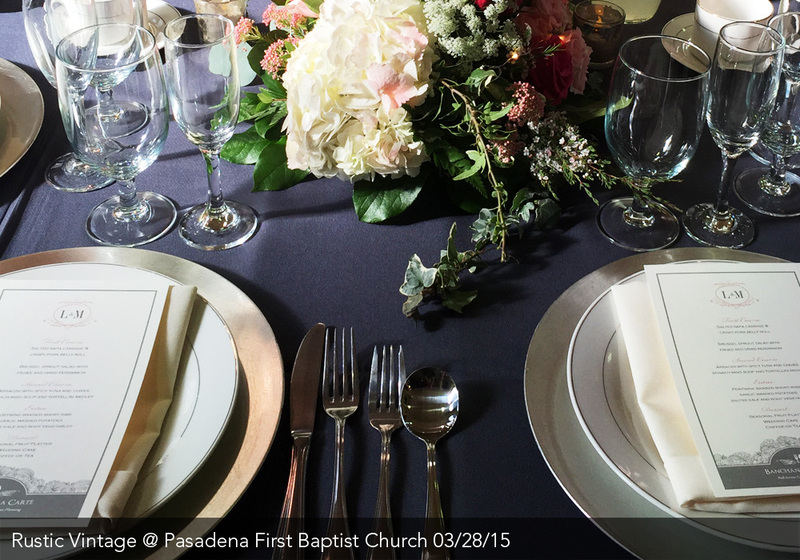 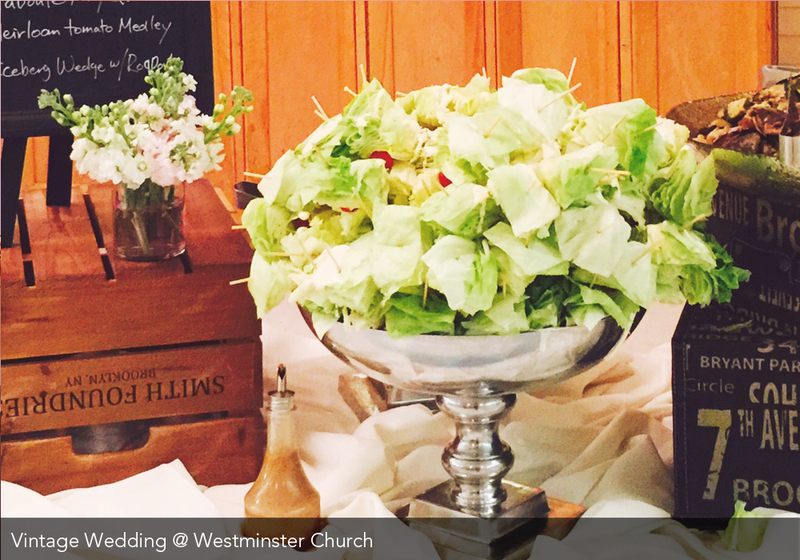 Fresh greens, flowers, vintage plating details abounded to this beautiful wedding. 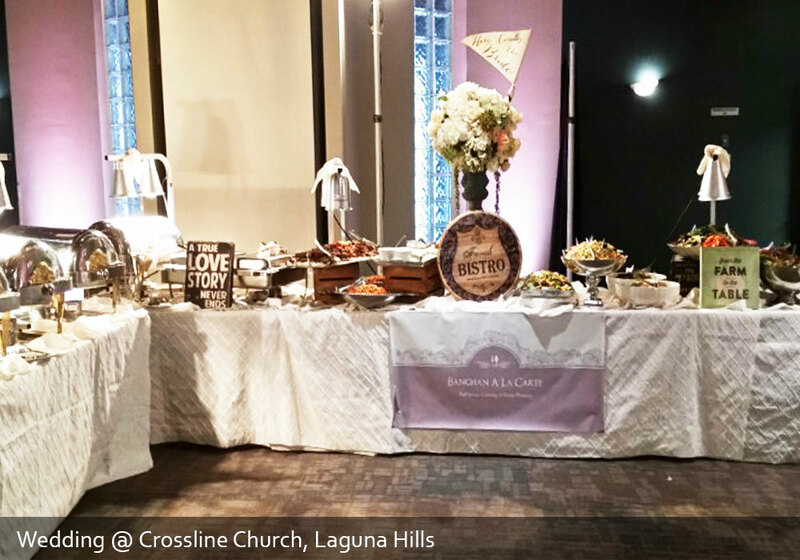 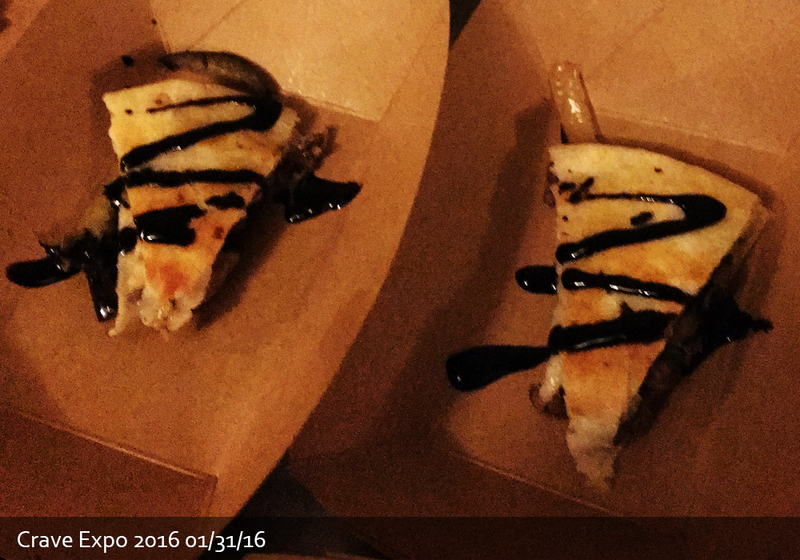 We are proud to be part of Crave Expo, AGAIN! 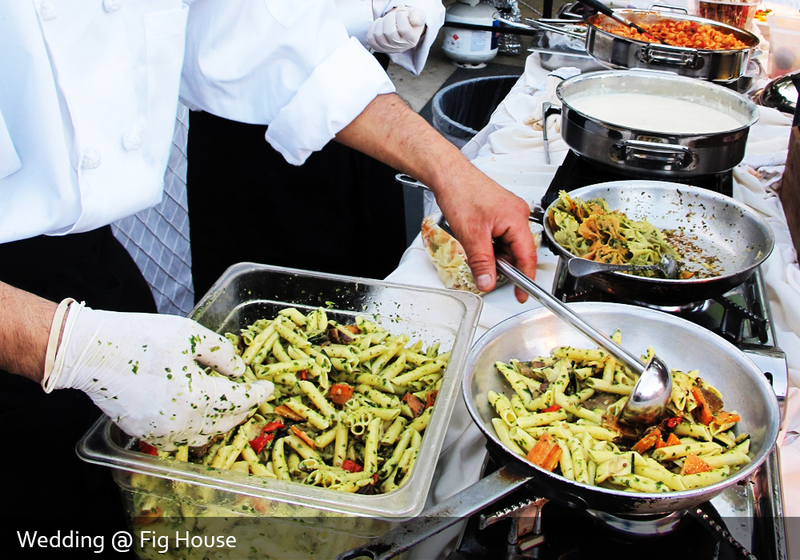 The best food expo where exclusively exhibits the food industry and gathers the most influential event professionals, corporate offices, film productions, and media outlets. 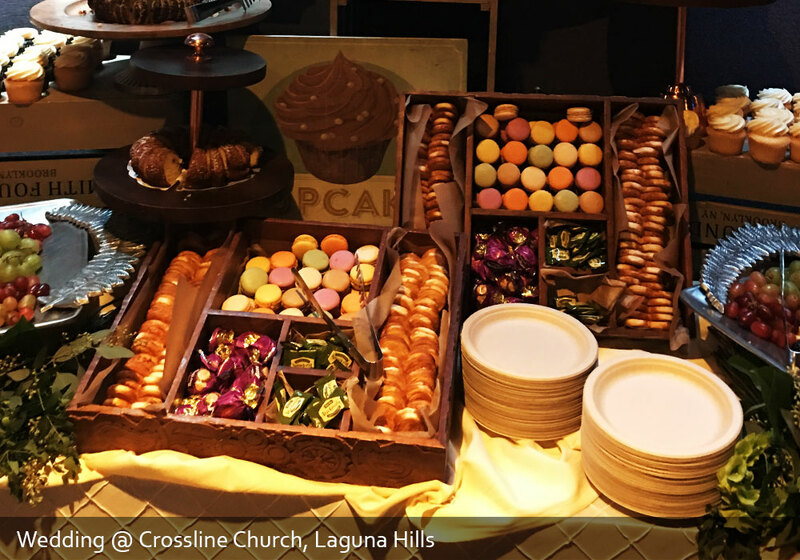 It was our second time exhibited with Crave Expo, connecting and inspirting with more than 1,000 professionals in attendance. 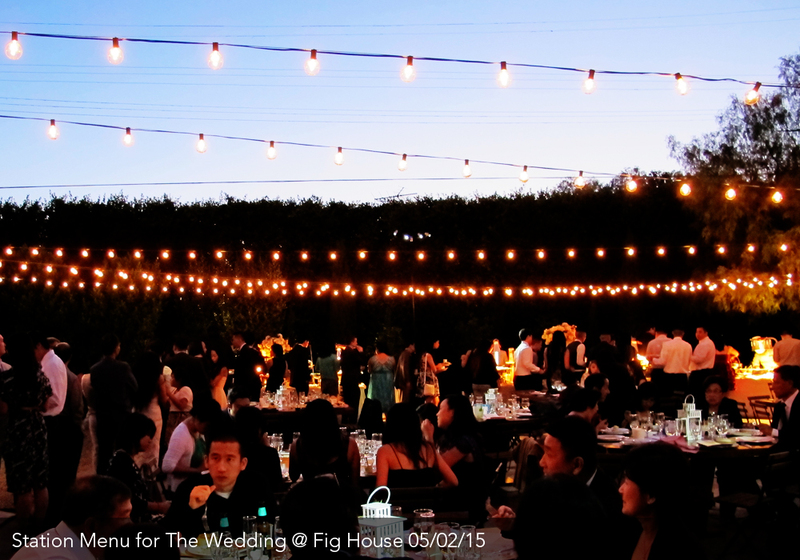 Vintage weddings never go out of fashion and you cannot go wrong. 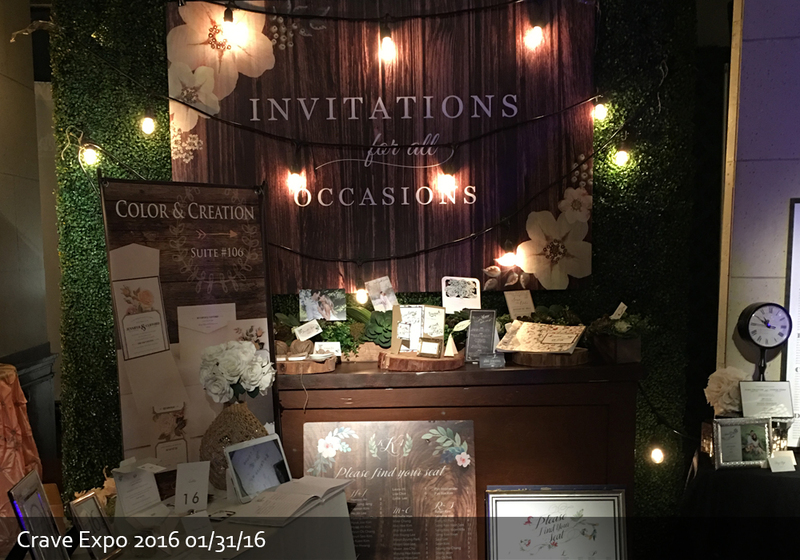 We are prepare to elevate your mood by bringing different decor elements together to achieve an overall vintage effect that just works!